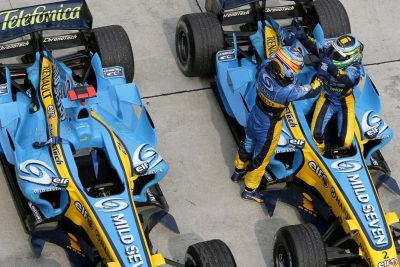 Bored, bored, bored. 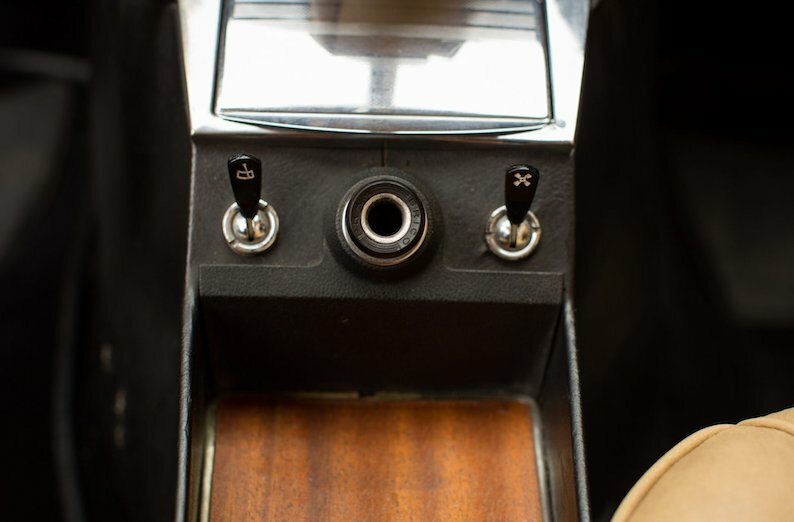 Right after walking on the moon, in one of the first electrical cars ever (although not the first), we enter a period of dull engineering improvements. 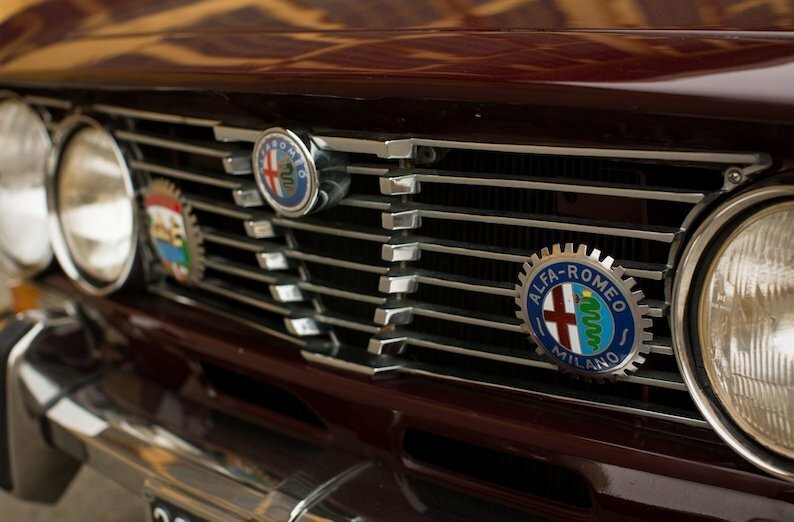 VW started introducing robots into their production, but what marked the decade was the OPEC oil embargo. 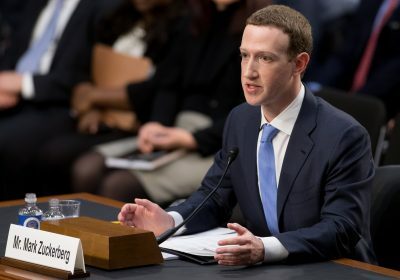 In response to aids to Israel. 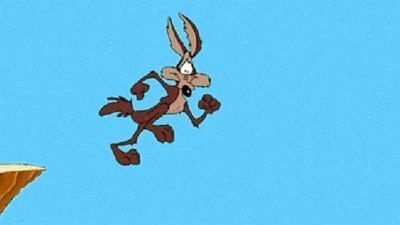 Think twice about the global consequences of US politics. 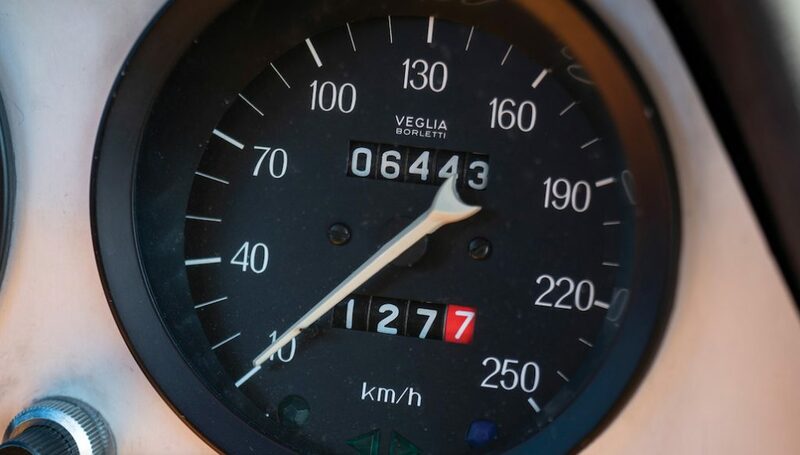 Engines became smaller, and the 90KPH speed limit appeared. 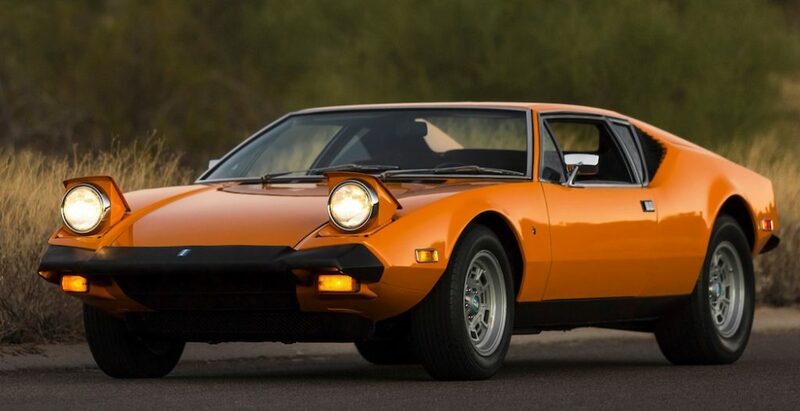 Sure, it has after turned into a government money making scheme, but it was in this time when it was implemented. 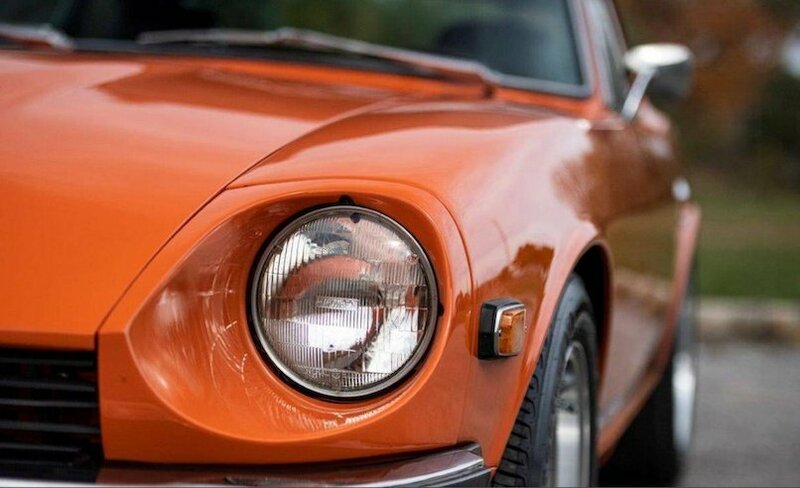 Imagine a decade when the Fiat 124 and the Citroen CX made it to Car of the Year. 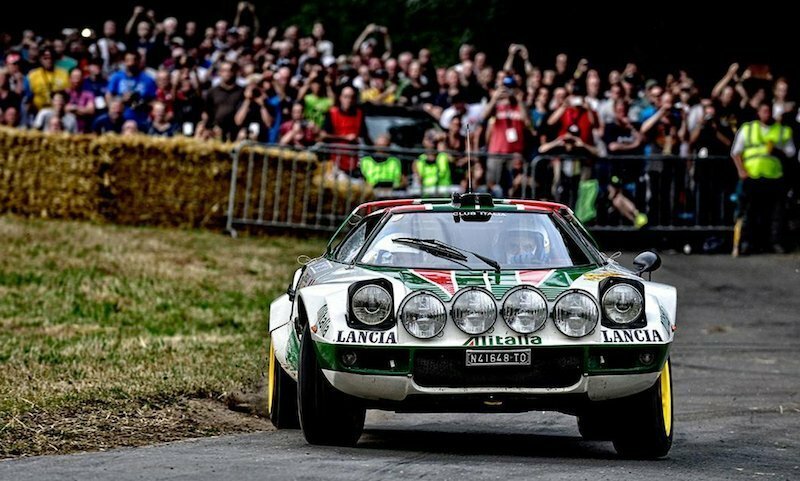 Still, glimpses of passion, genius and rubber burning did make into production. 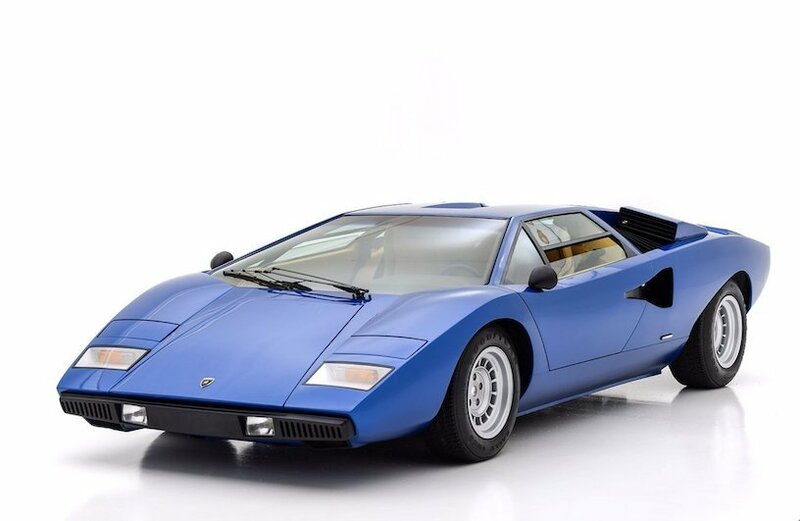 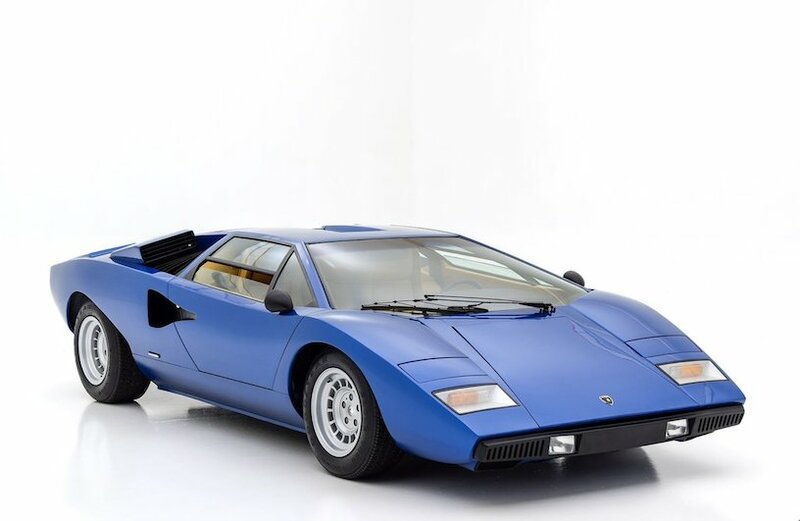 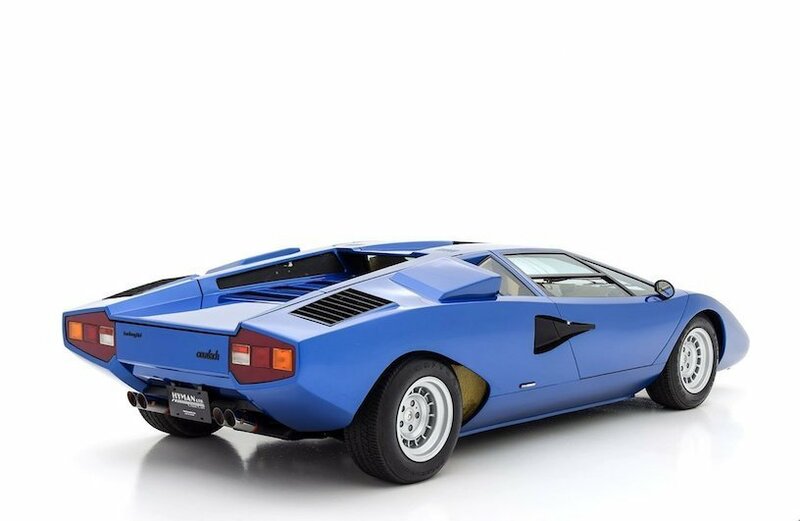 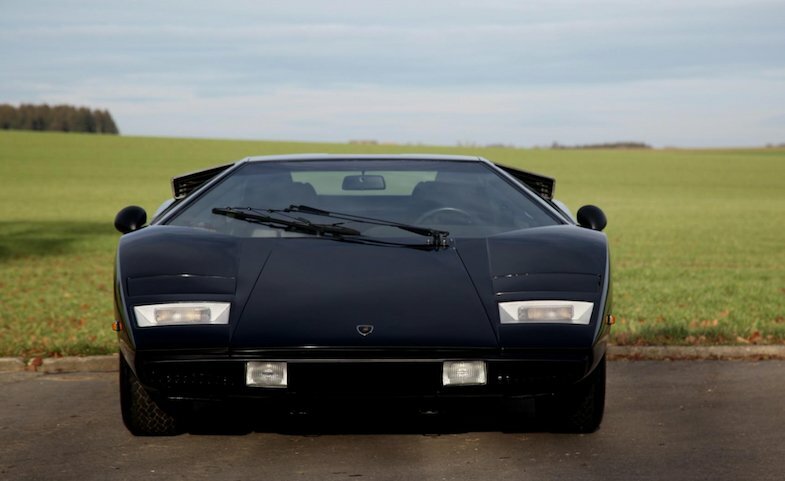 Lambo went bankrupt for the first time, yes, and it was the first time they didn’t name a car after a Bull. 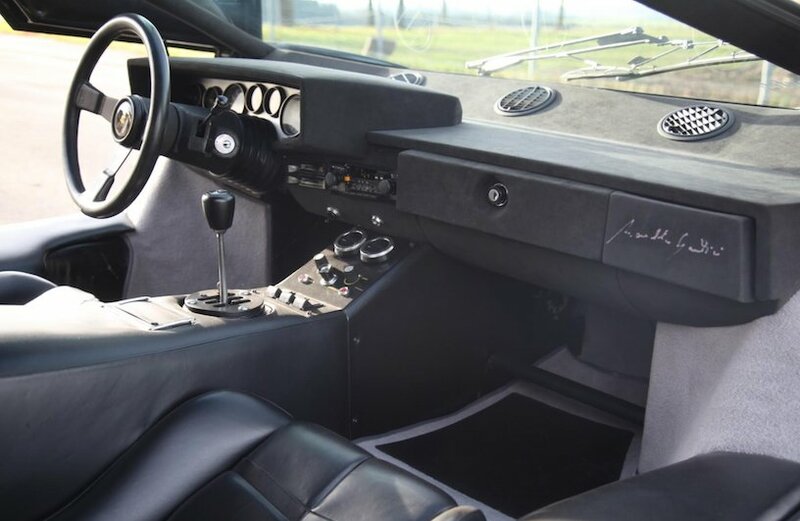 The second bankruptcy came with the LM002. 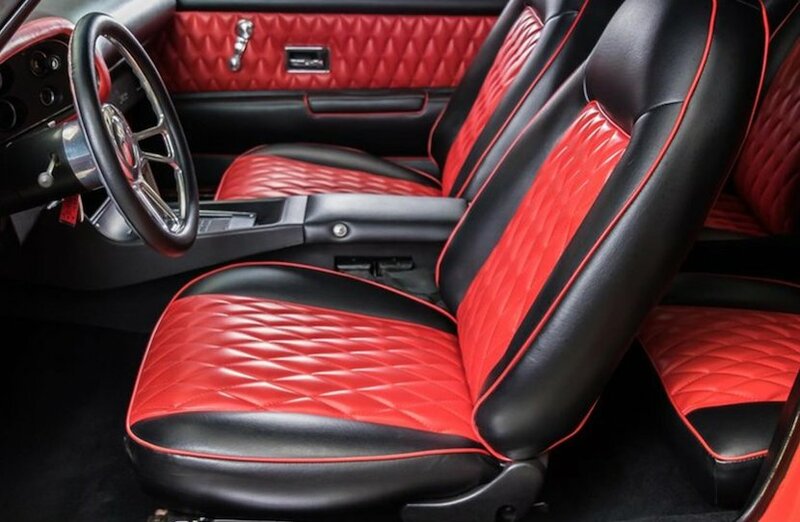 Pattern? 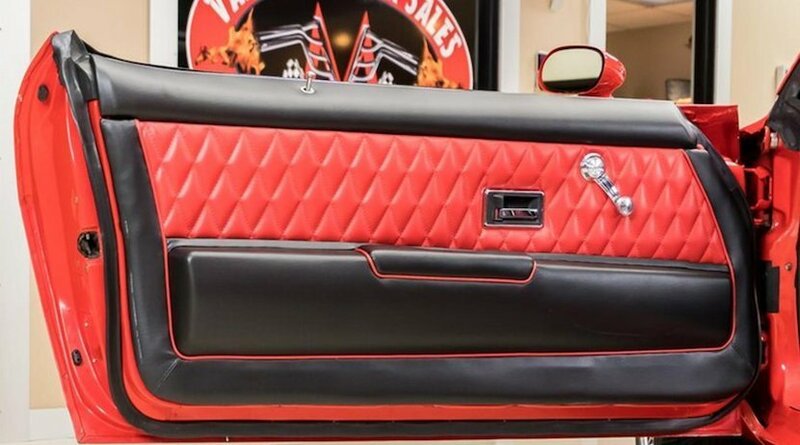 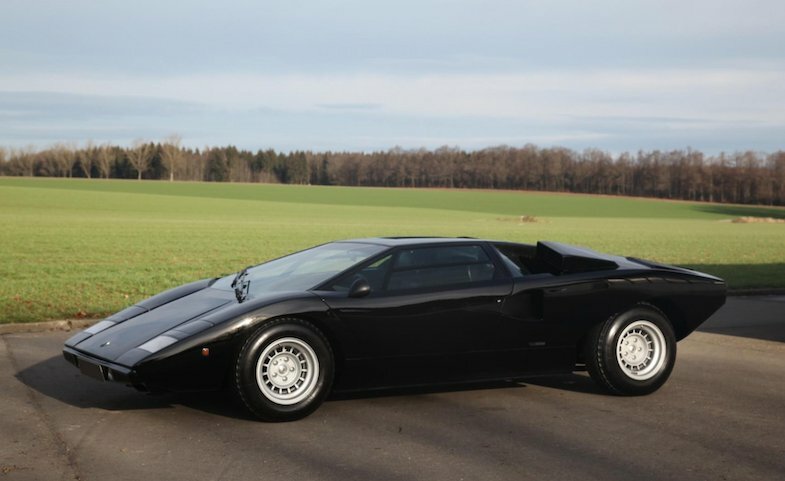 You could find one in the late 80s for 35 Thousand USD. 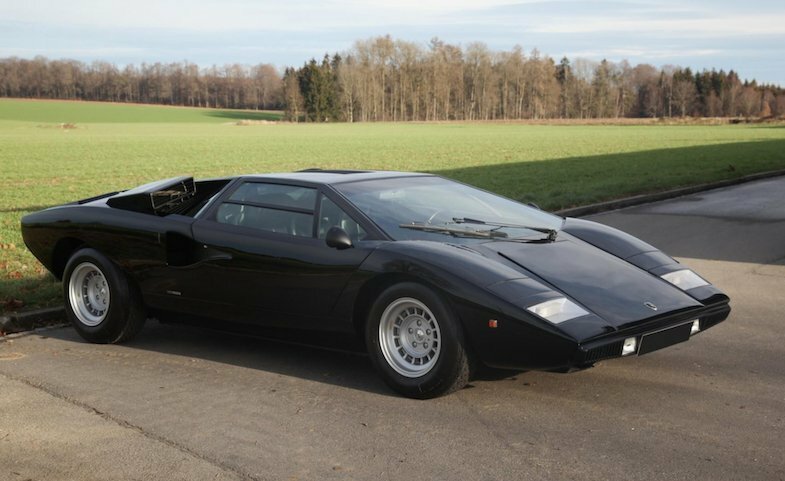 Today you may get one of the 1580 units produced for not less than 600 Thousand USD. 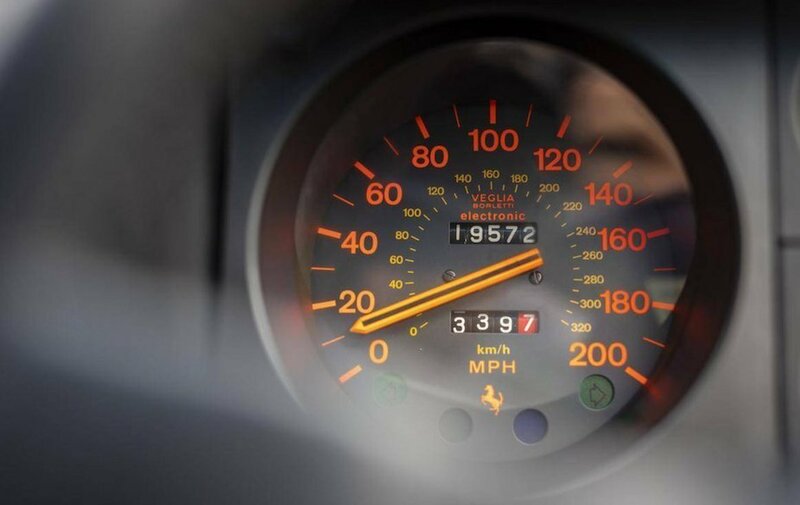 It’s considered the best ever 911, the purest, the mother of all the RS and, why not, the inspiration of the GT3 models, launched during the 996 era. 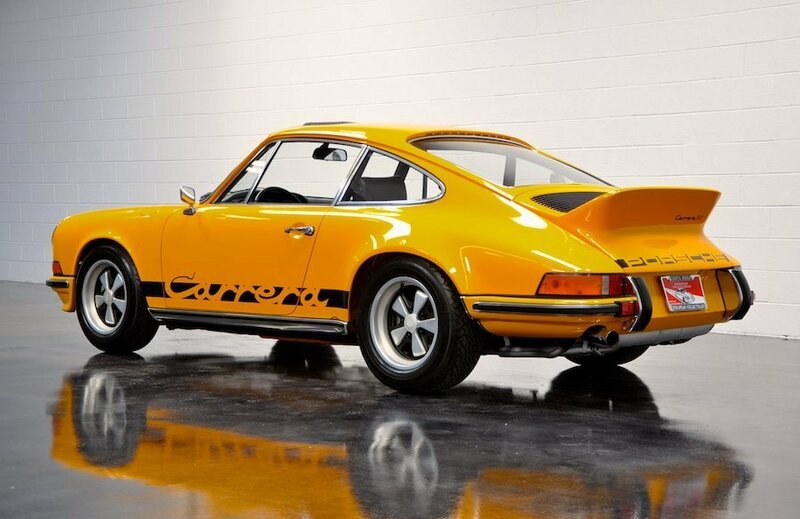 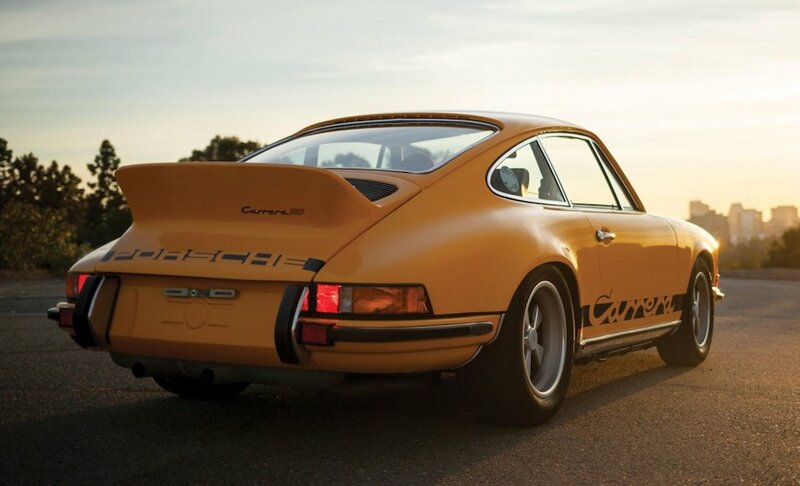 She is to us the most desirable 911 of the 70s and possibly of all time. 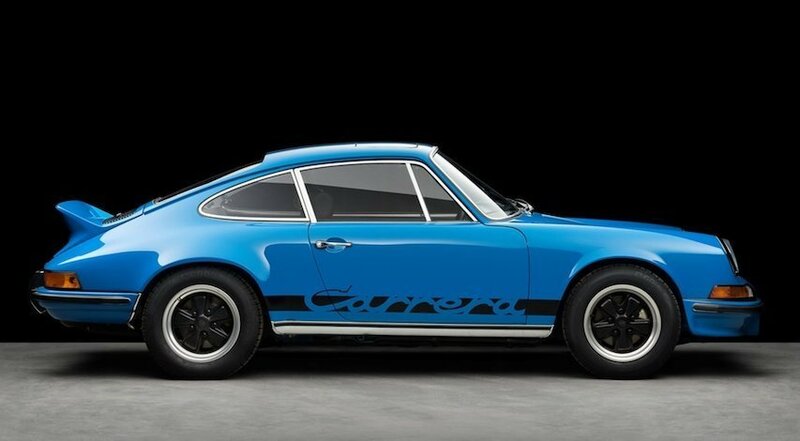 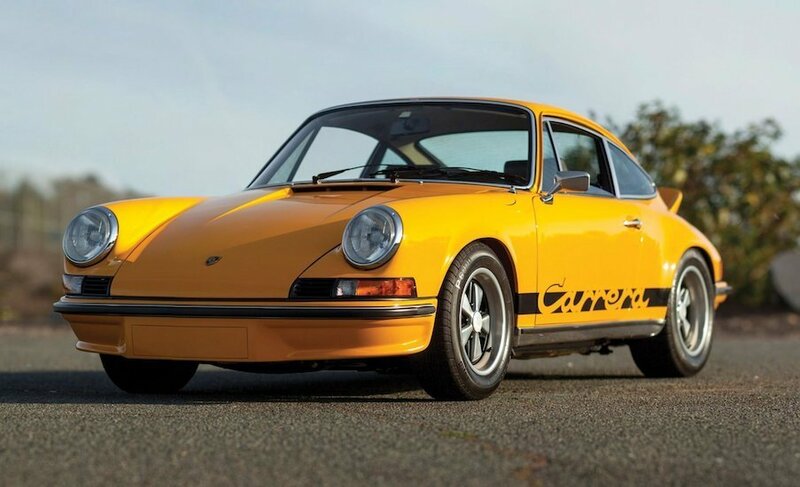 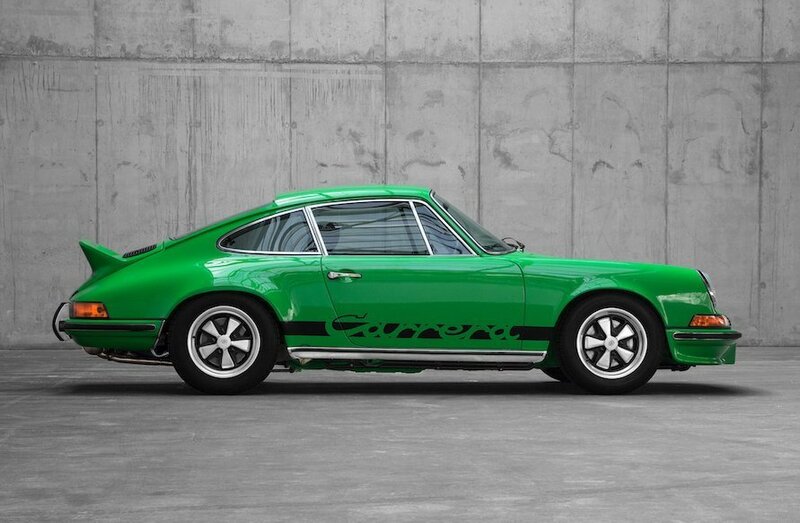 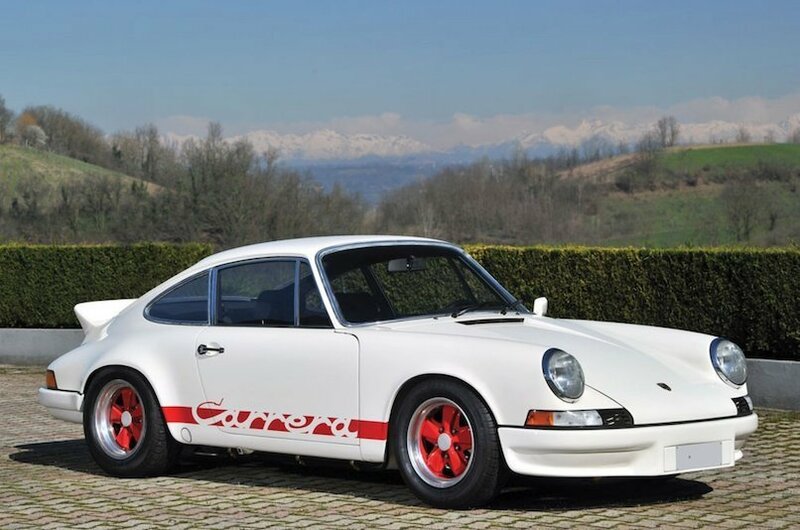 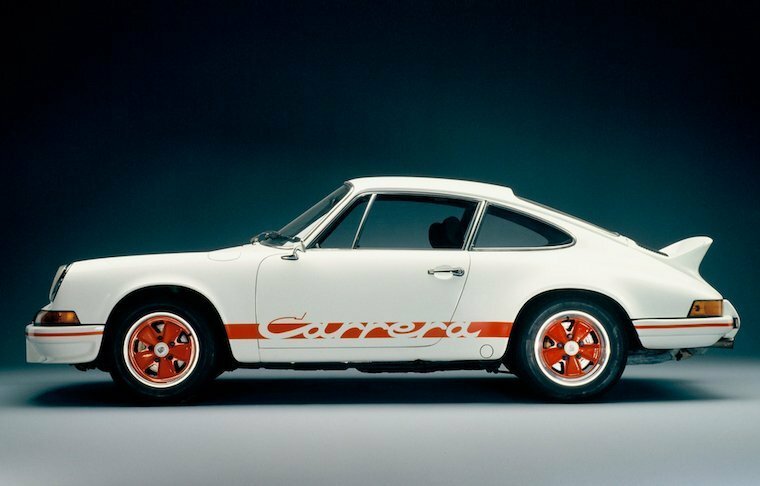 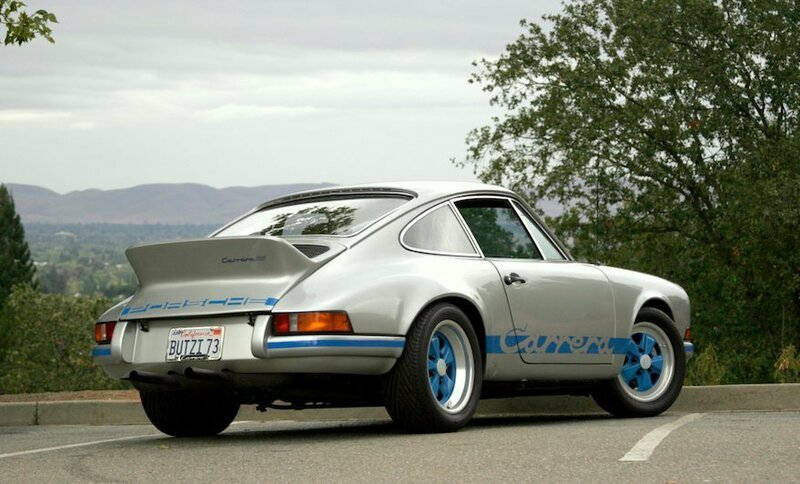 Compared to a standard 911S, the Carrera 2.7 RS had a larger engine (2687 cc) developing 210 PS (150 kW; 210 hp) with Bosch mechanical fuel Injection, revised and stiffened suspensions, a “ducktail” rear spoiler, larger brakes, wider rear wheels and rear fenders, to fit 185/70VR15 & 215/60VR15 Pirelli Cinturato CN36 tyres. 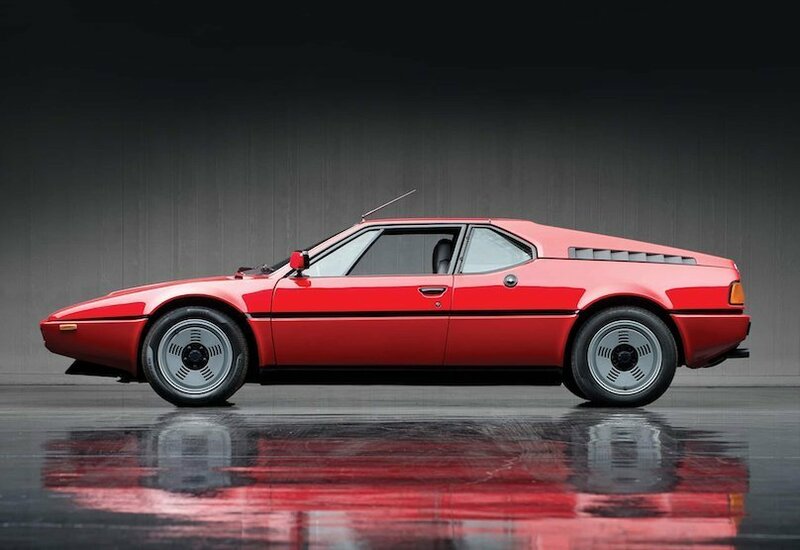 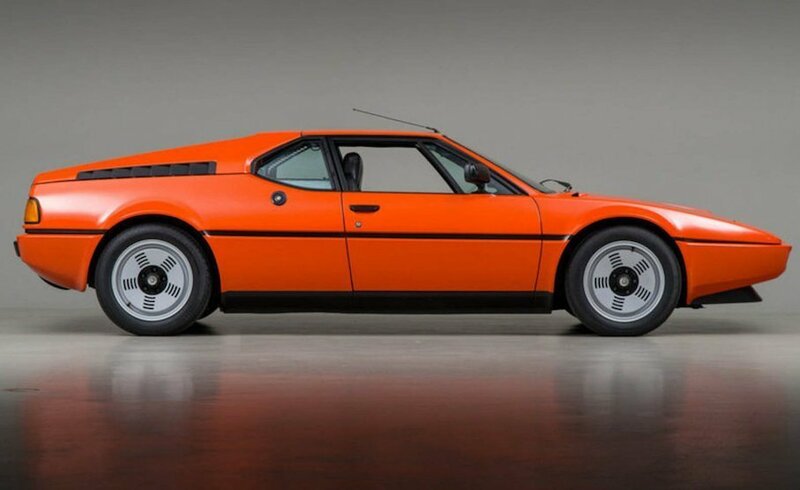 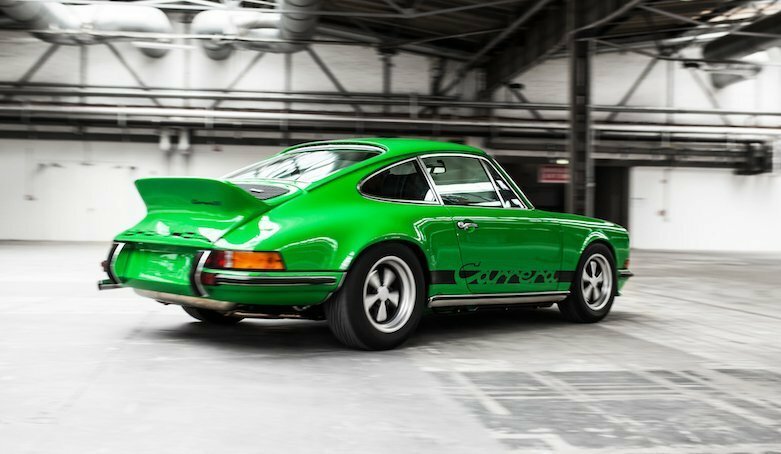 In RS Touring form, it weighed 1,075 kg, in Sport Lightweight form it was about 100 kg lighter, the saving coming from thin gauge steel used for parts of the body shell and also the use of thinner glass. 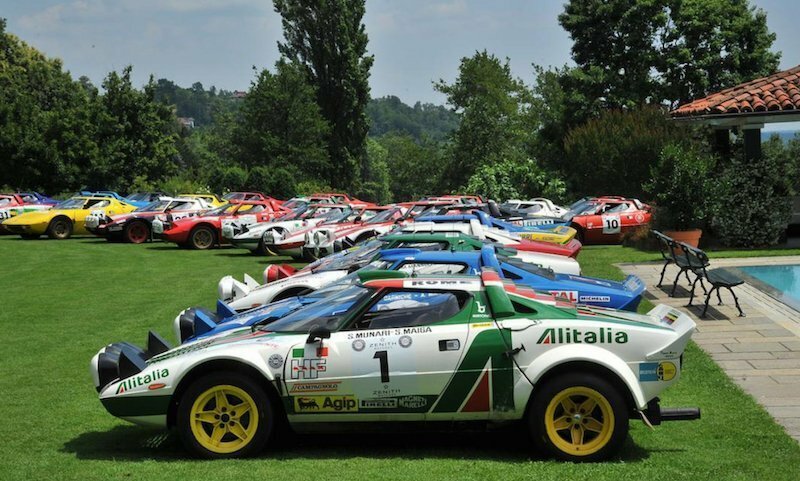 In total, 1,580 were made, and qualified for the FIA Group 4 class. 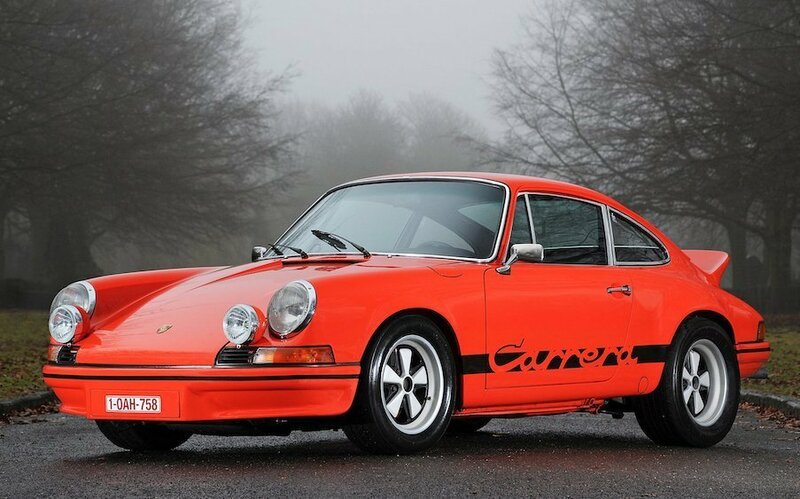 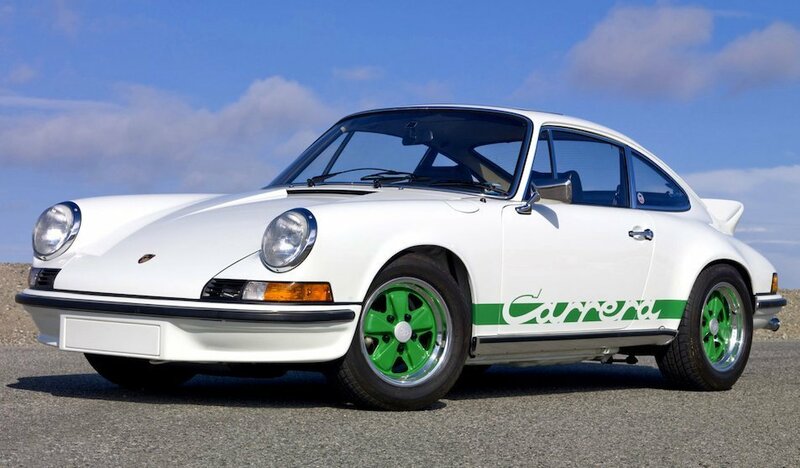 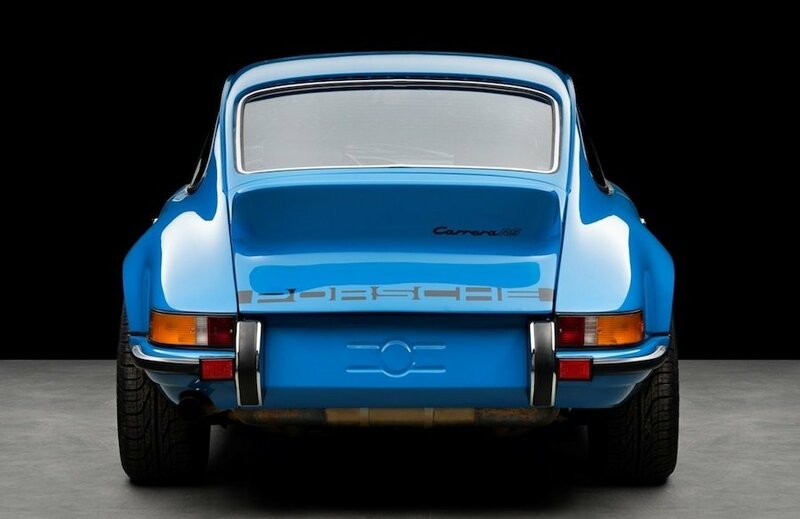 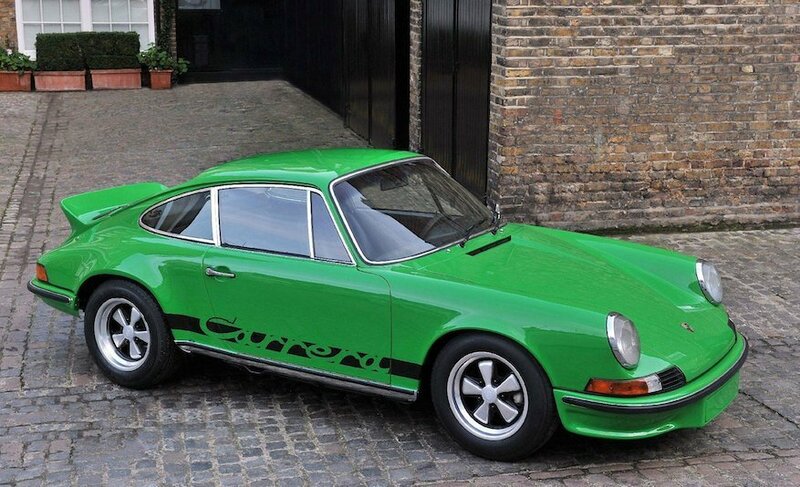 49 Carrera RS cars were built with 2,808 cc engines producing 300 bhp. 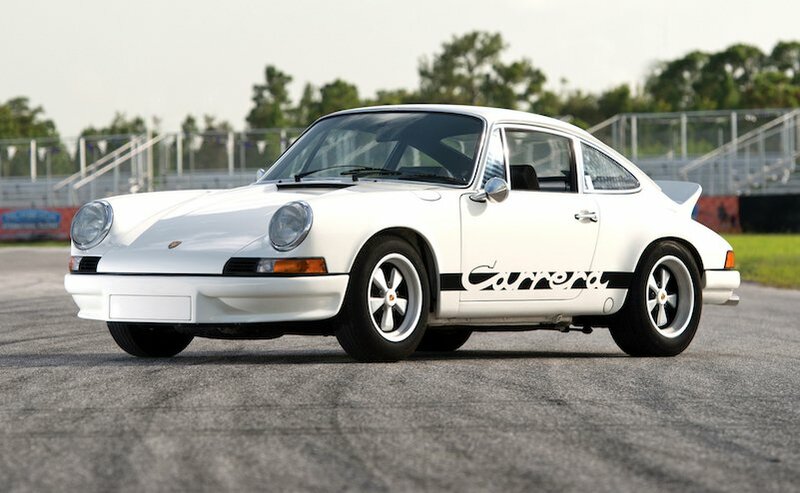 I am not sure Porsche ever expected this car to become what is today, a legend. 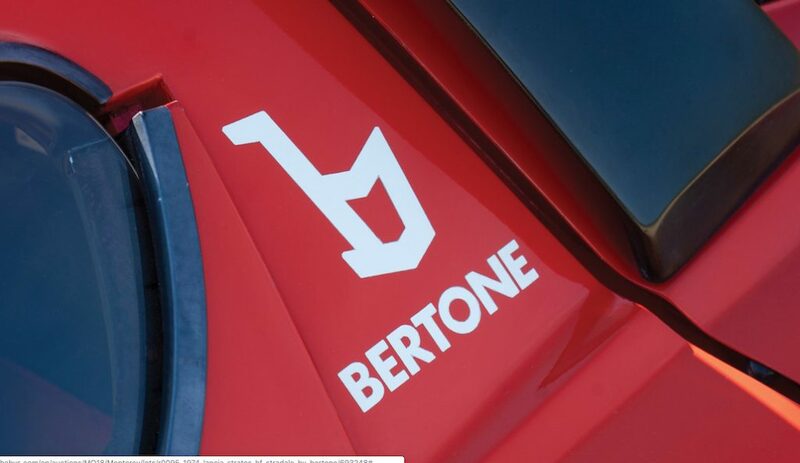 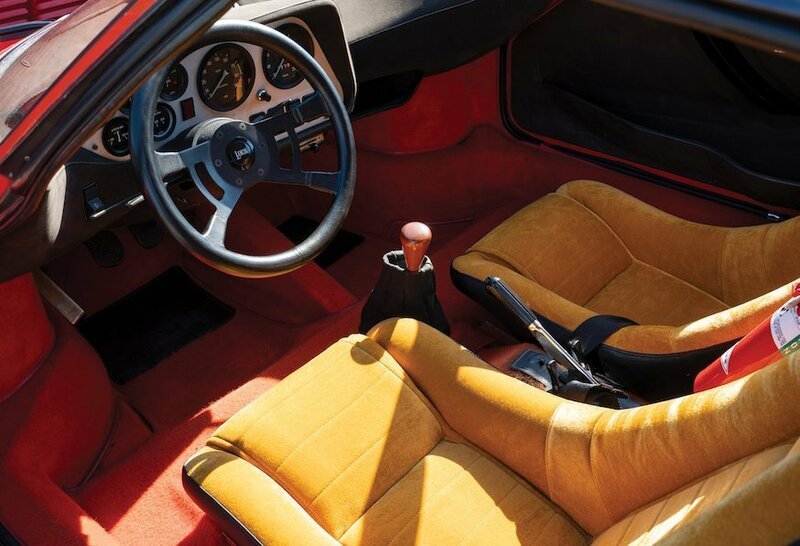 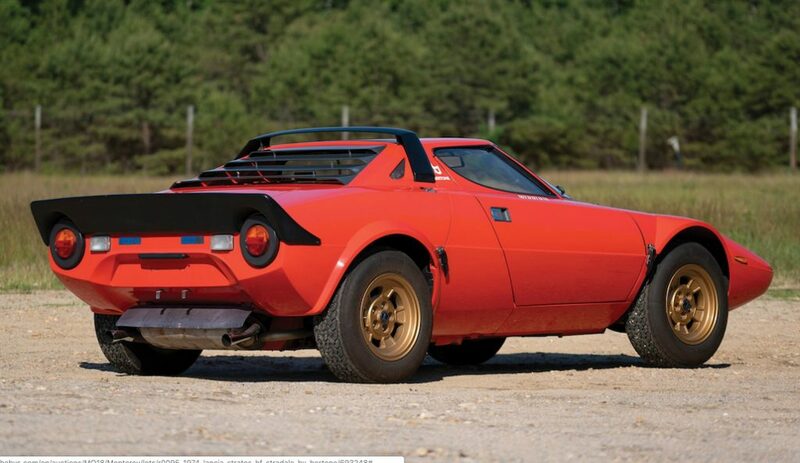 Lancia presented the Bertone-designed Lancia Stratos HF prototype at the 1971 Torino Motor Show. 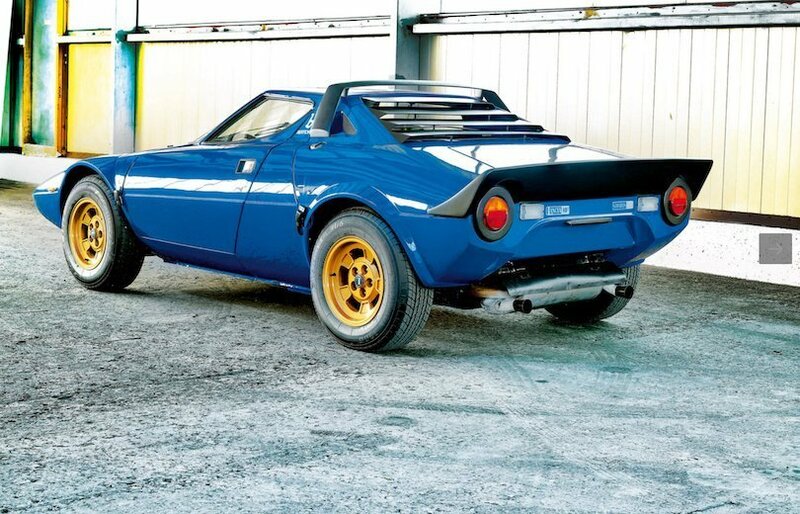 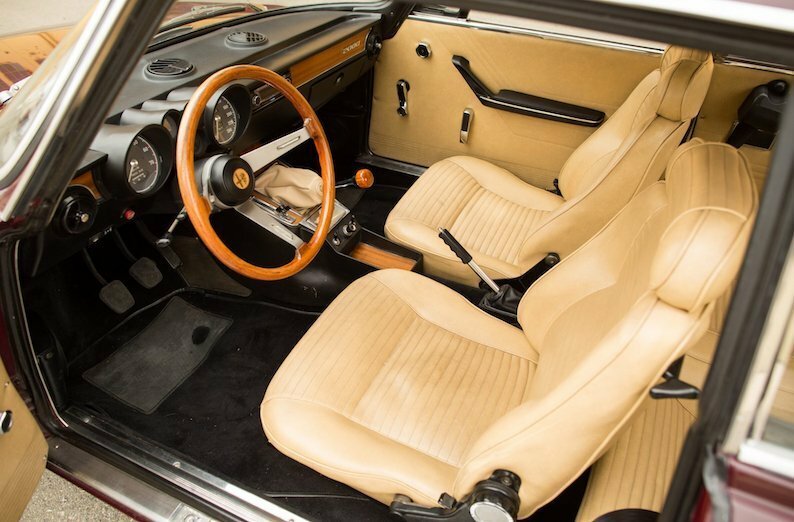 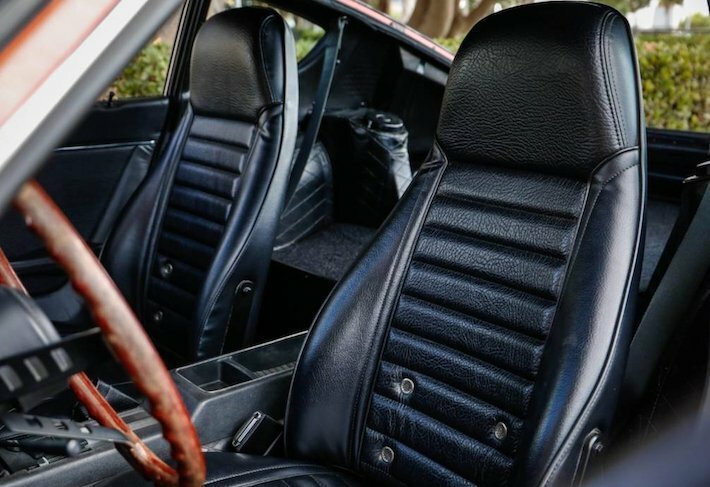 The prototype had three different engines in its early development life: the Lancia Fulvia engine, the Lancia Beta engine and finally for the 1971 public announcement, the mid-mounted Dino Ferrari V6 producing 190 hp (140 kW) in road trim. 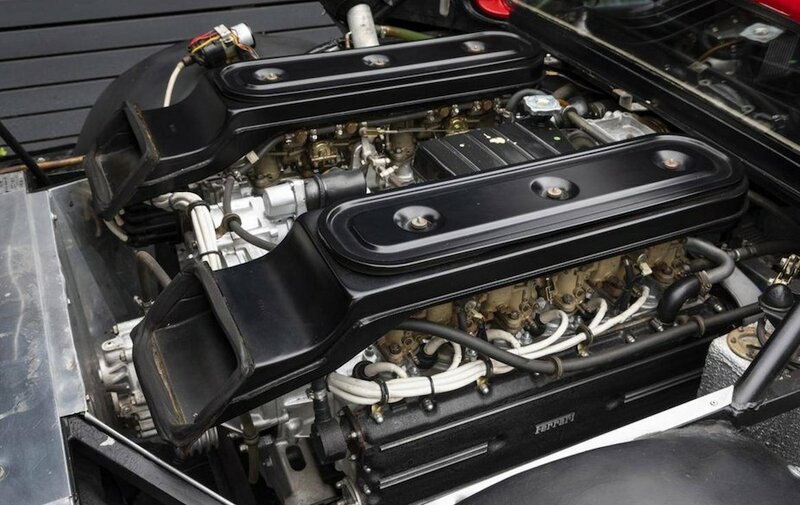 The use of the Dino V6 was planned from the beginning of the project, but Enzo Ferrari was reluctant to sign off the use of this engine in a car he saw as a competitor to his own Dino V6. 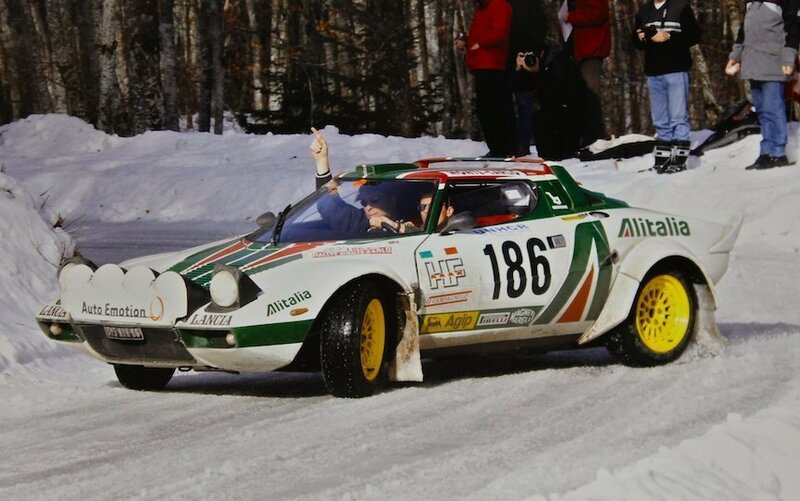 Lancia undertook extensive testing with the Stratos and raced the car in several racing events where Group 5 prototypes were allowed during the 1972 and 1973 seasons. 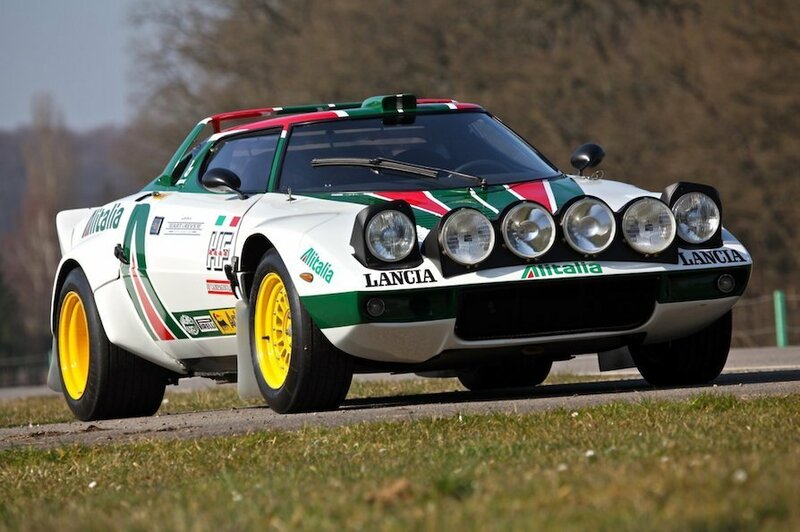 In 9174 the Stratos got the Homologation for the World Rally Championship, which stunningly won in 1974, 1975 and 1976. 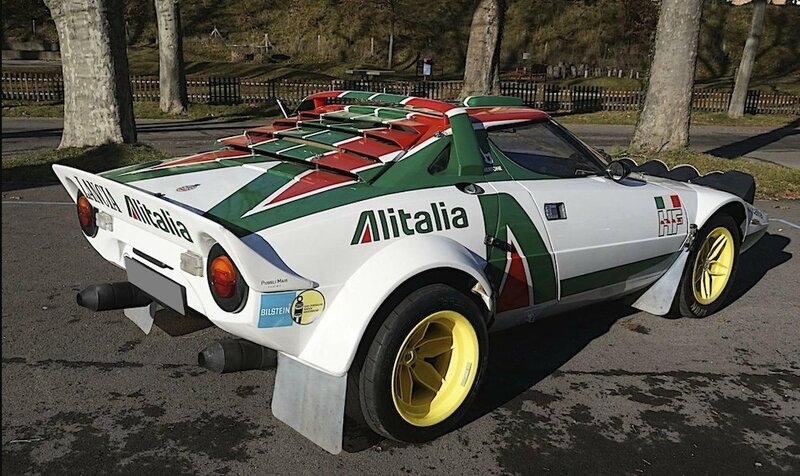 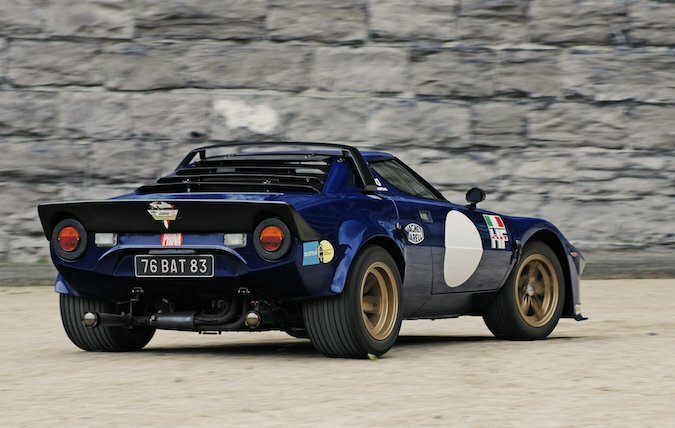 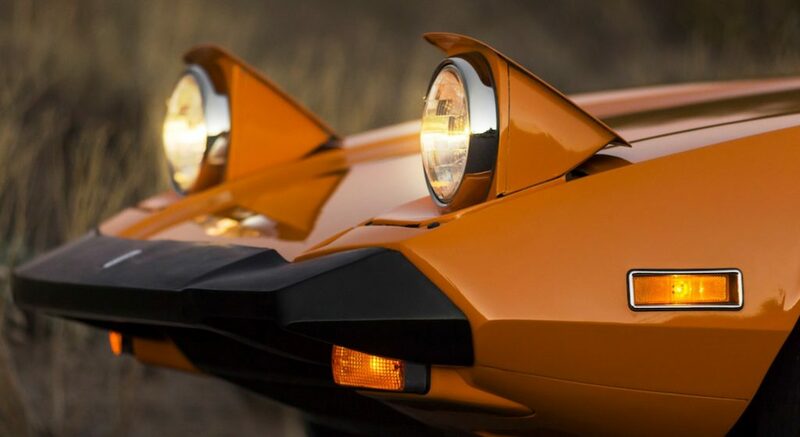 The last version of the Stratos weighed between 900 and 950 kilograms, depending on configuration. 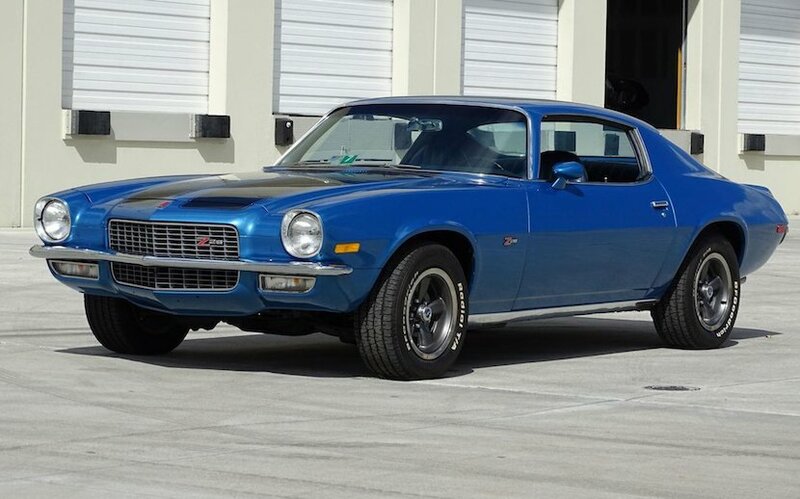 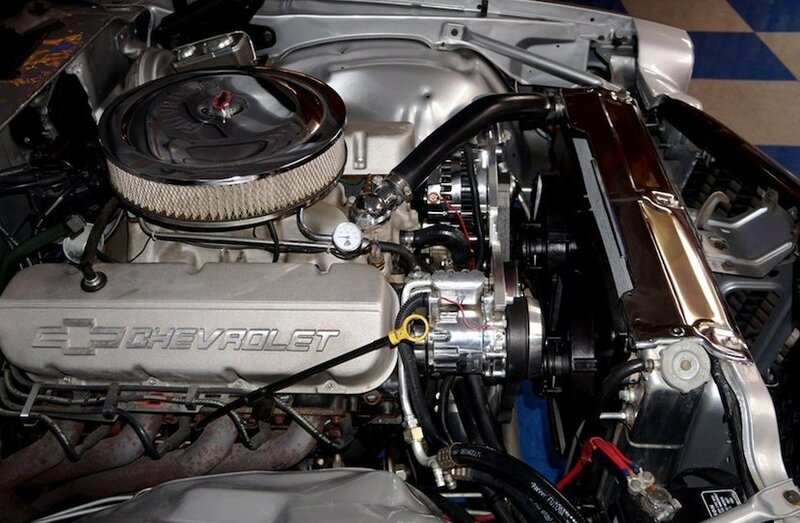 Power output was around 275 hp for the original 12 valve version and 320 hp for the 24 valve version. 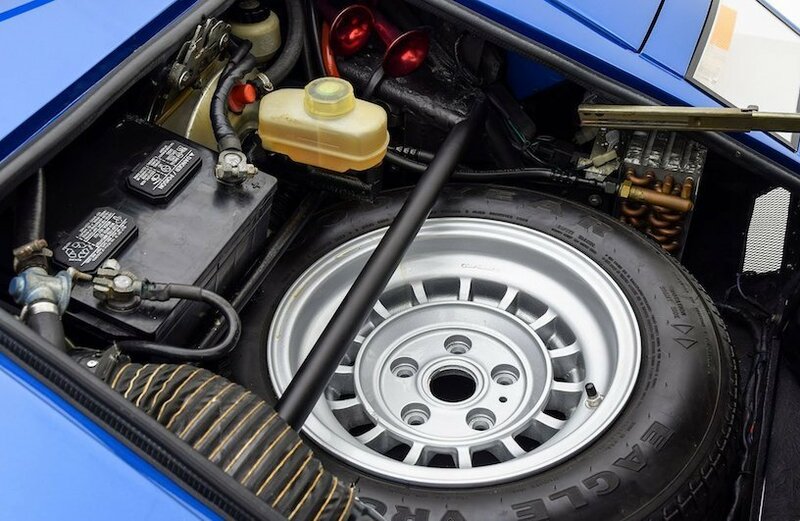 Beginning with the 1978 season the 24 valve heads were banned from group 4 competition by a change to the FIA rules. 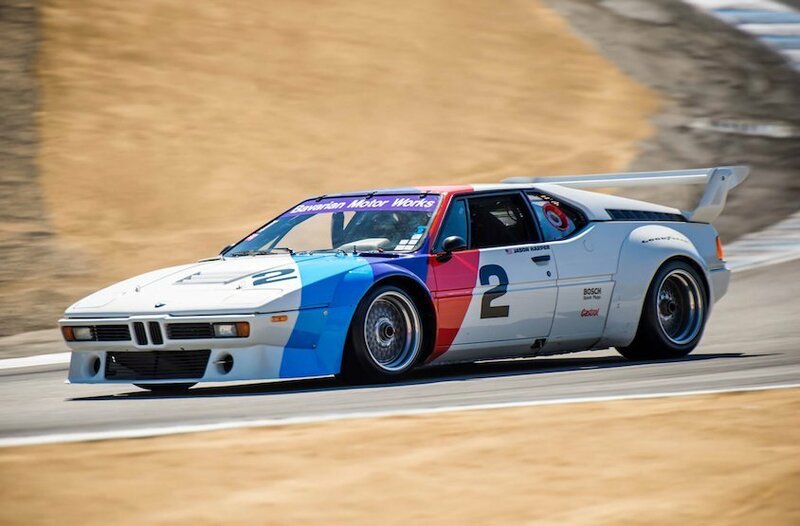 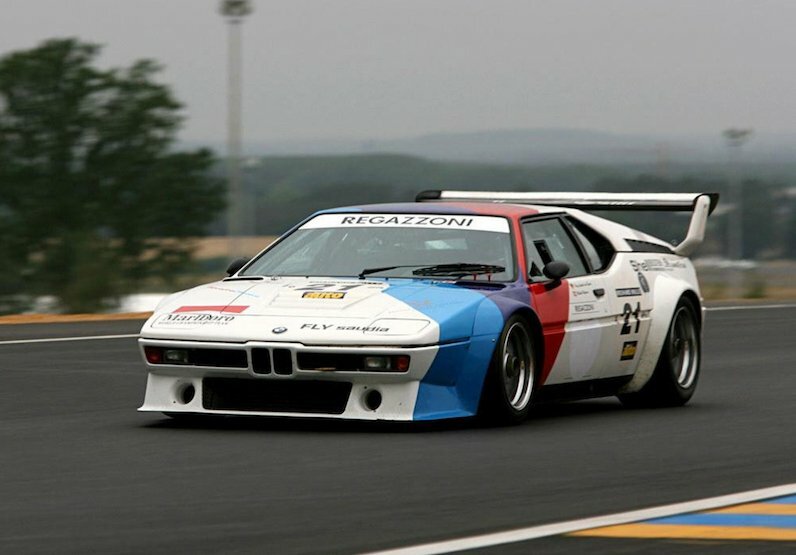 Two Group 5 racing cars built with 560 hp (420 kW), using a single KKK turbocharger. 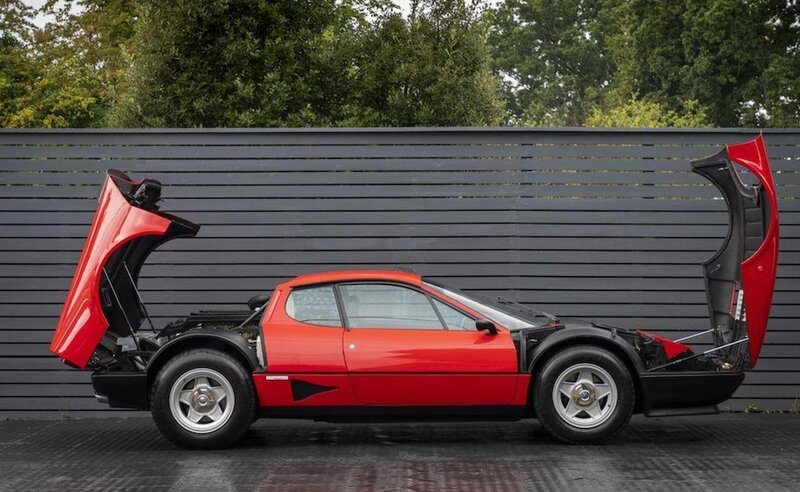 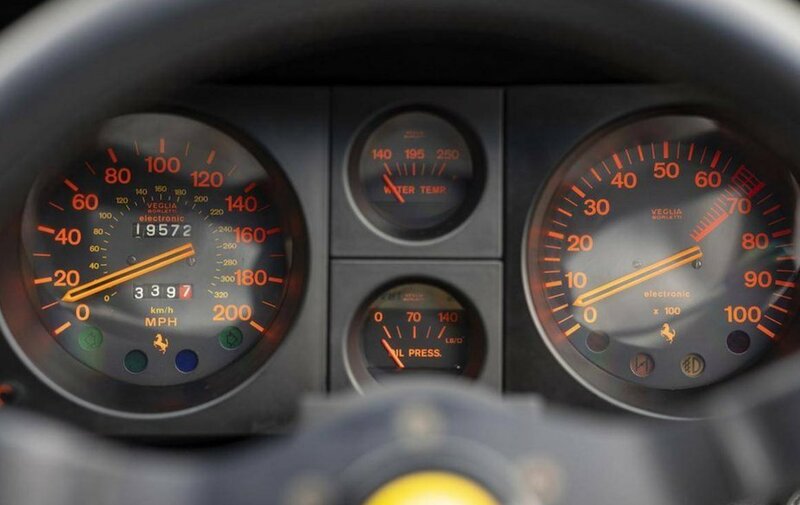 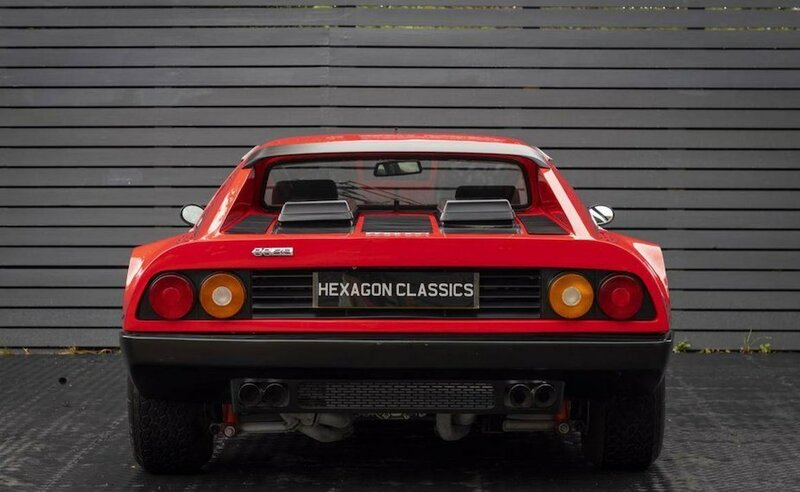 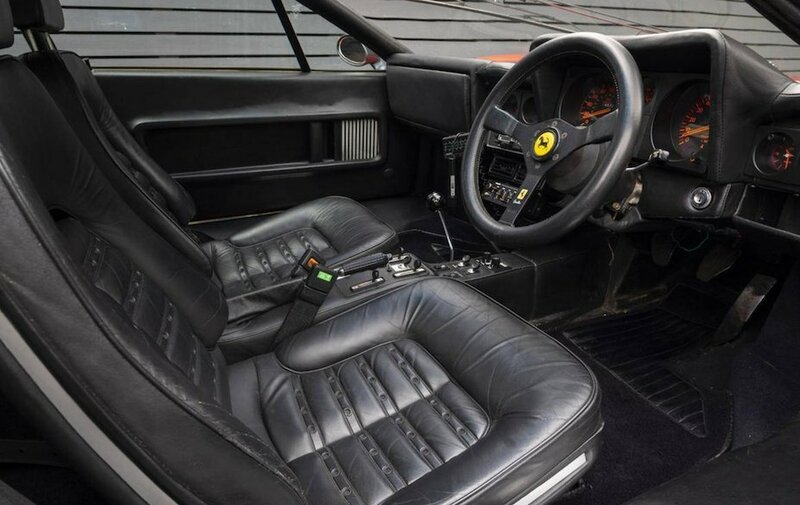 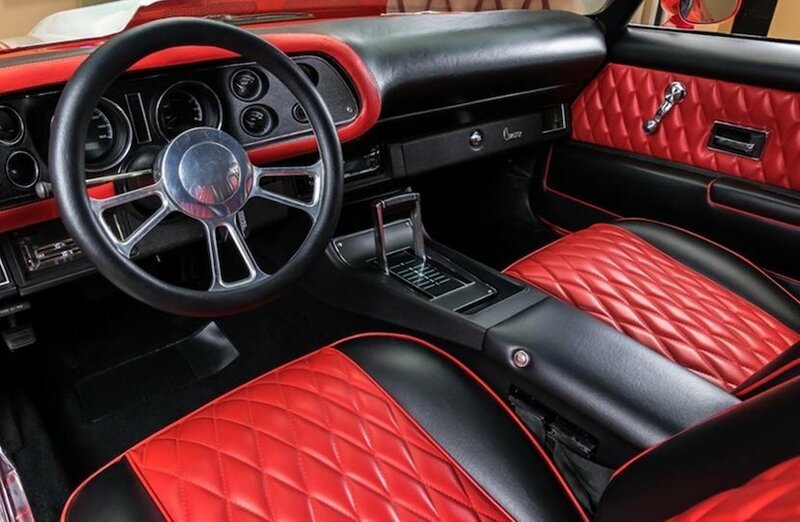 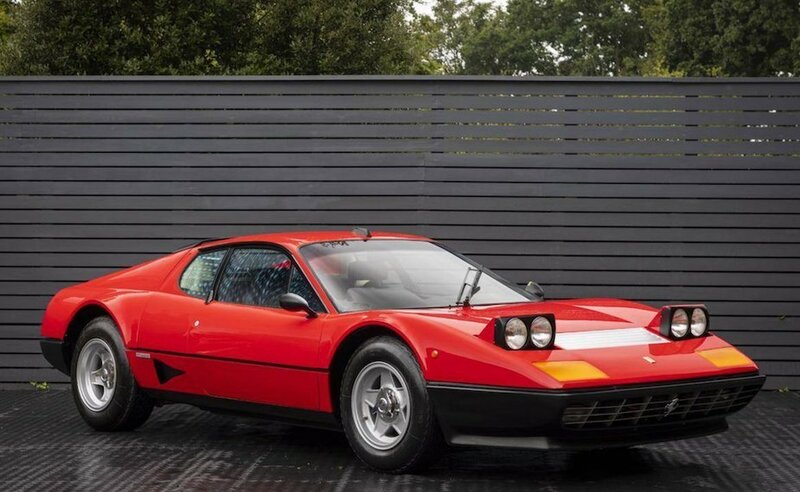 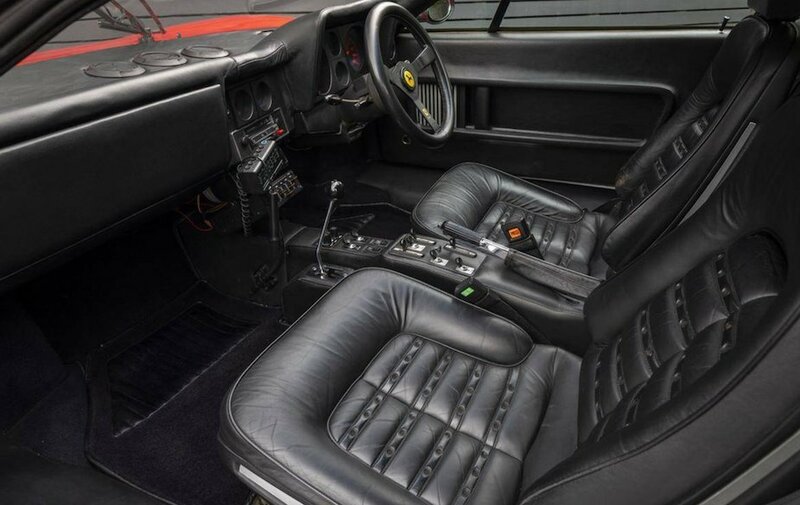 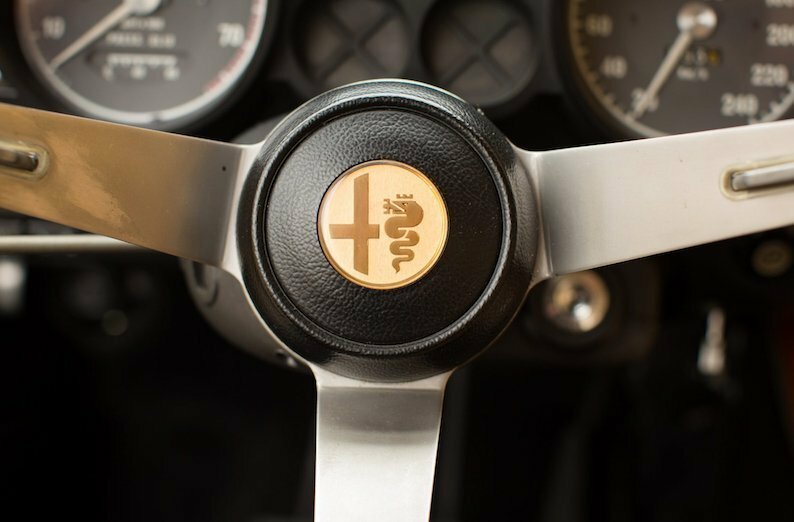 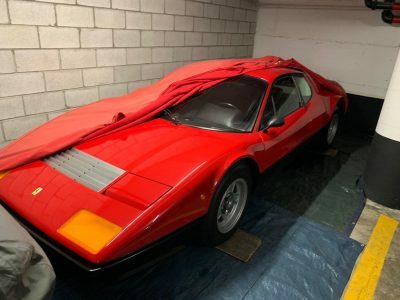 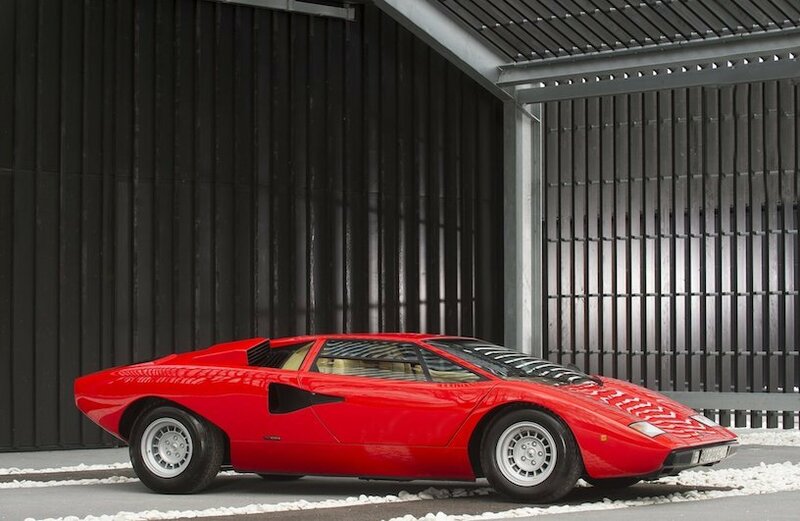 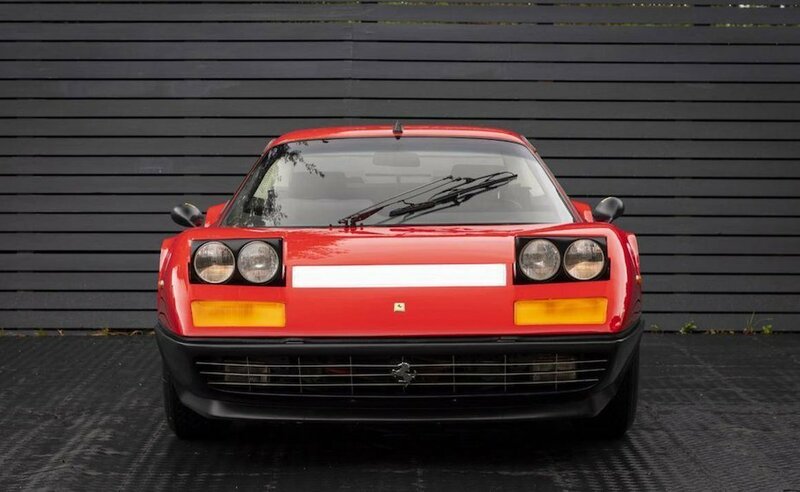 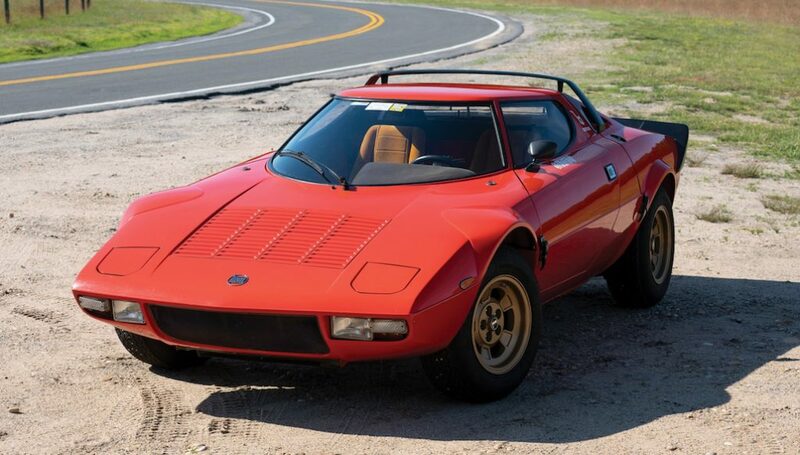 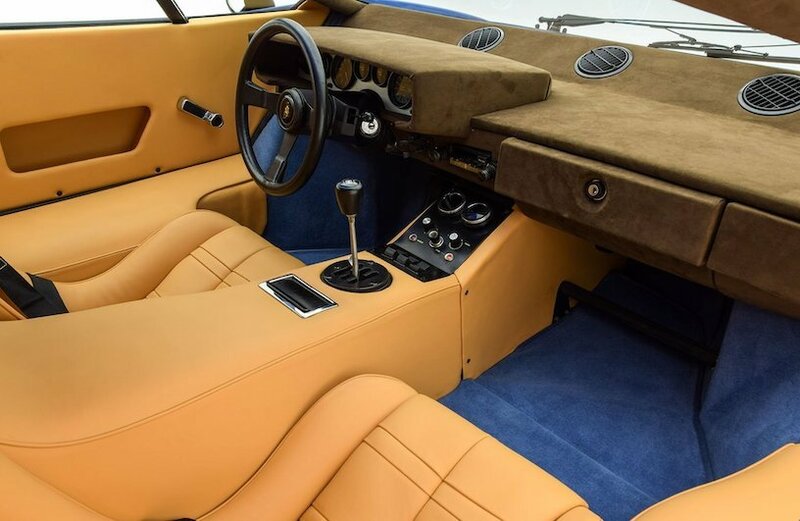 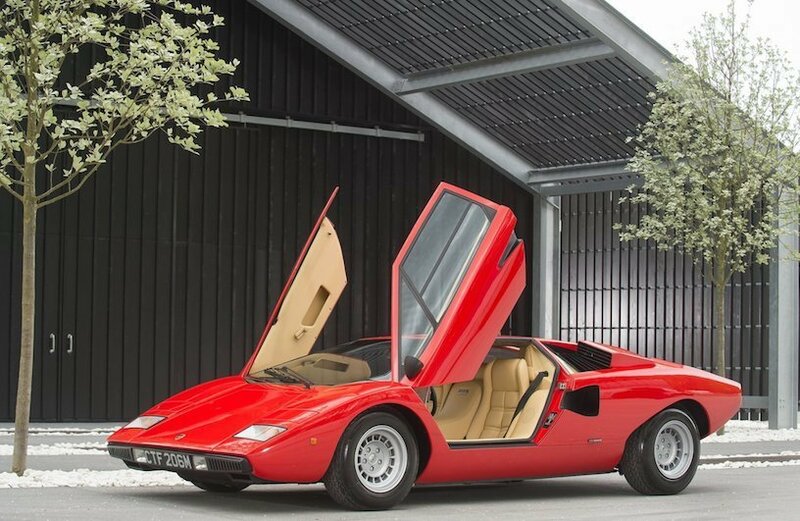 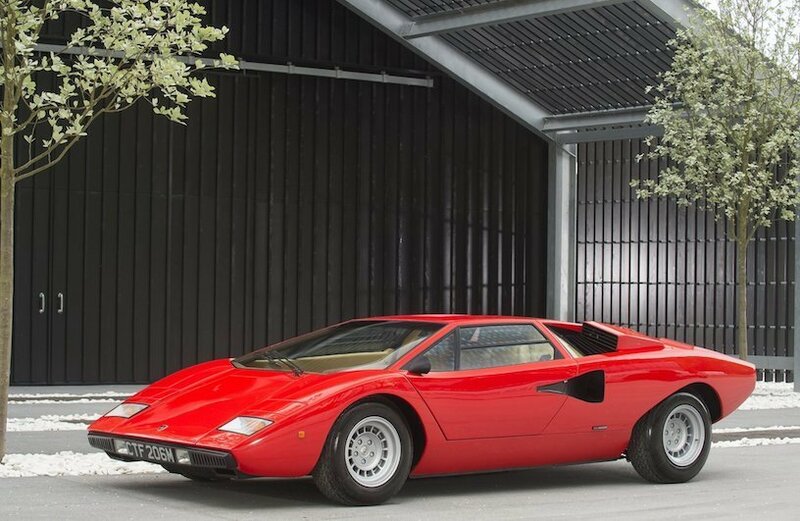 In a recent auction, an original Stratos Stradale HF was sold for 475 thousand USD. 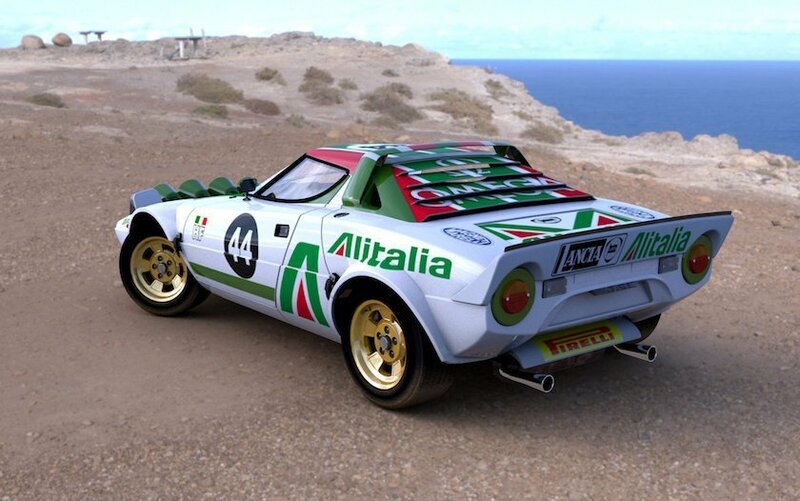 We want one in our office. 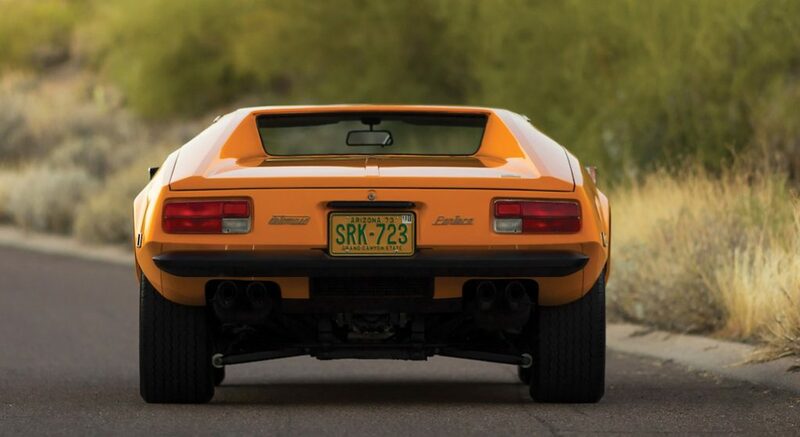 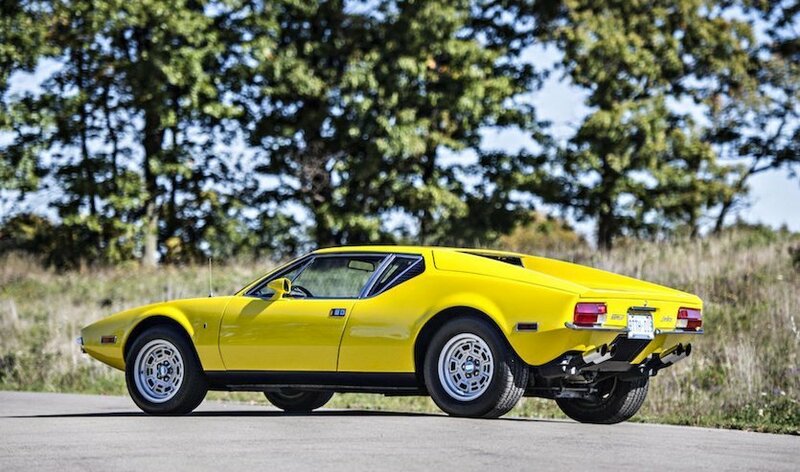 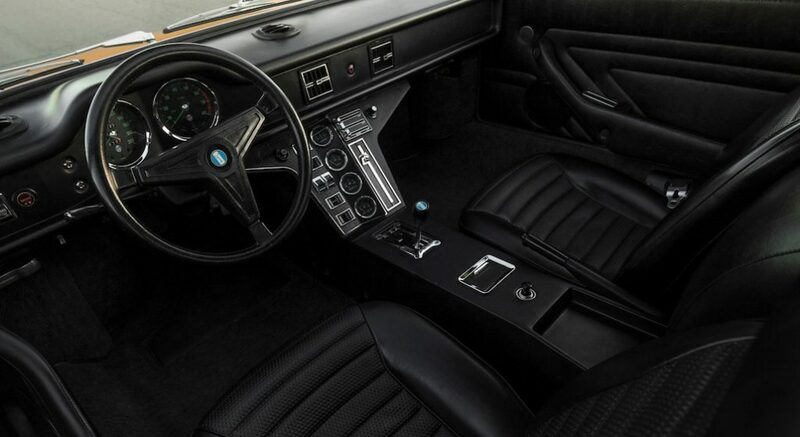 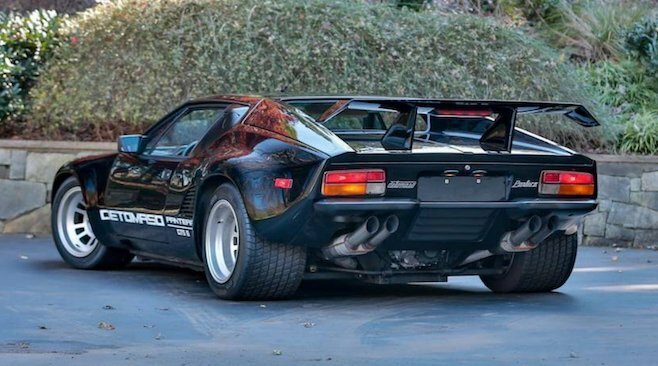 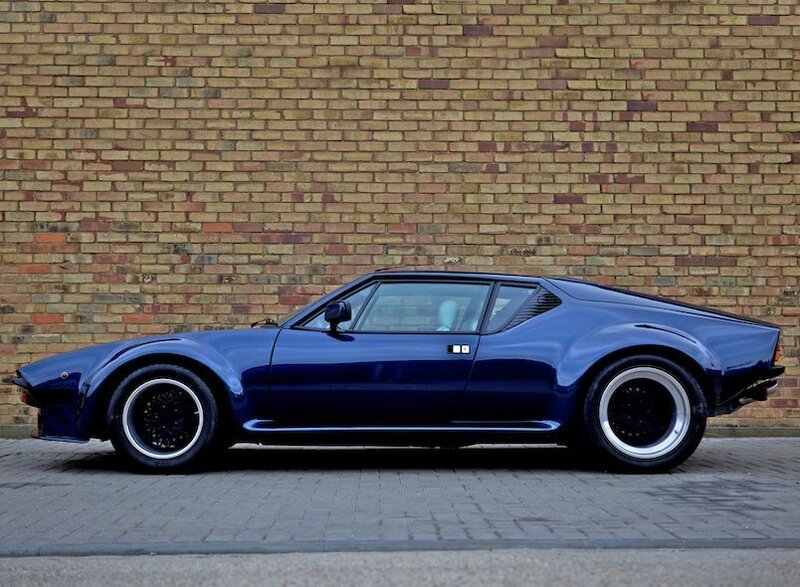 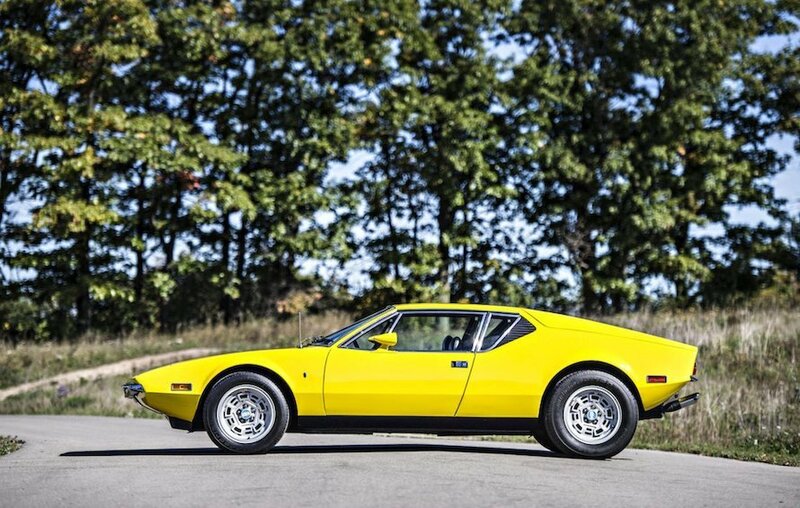 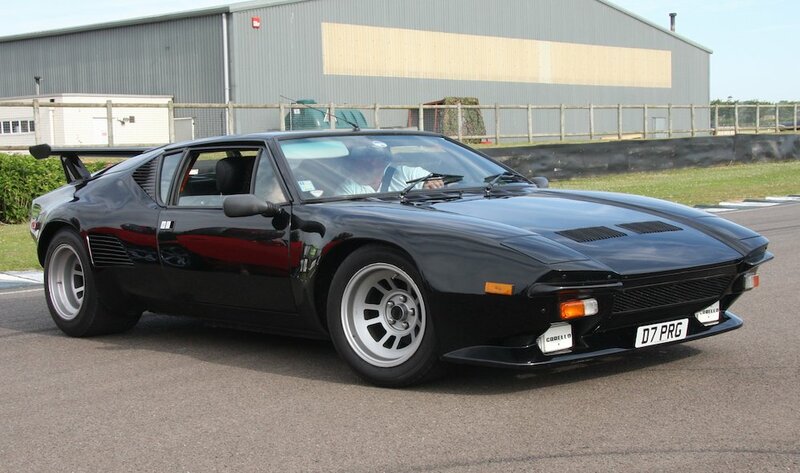 The Pantera debuted in Modena in March 1970 and soon after presented at the New York Motor Show. 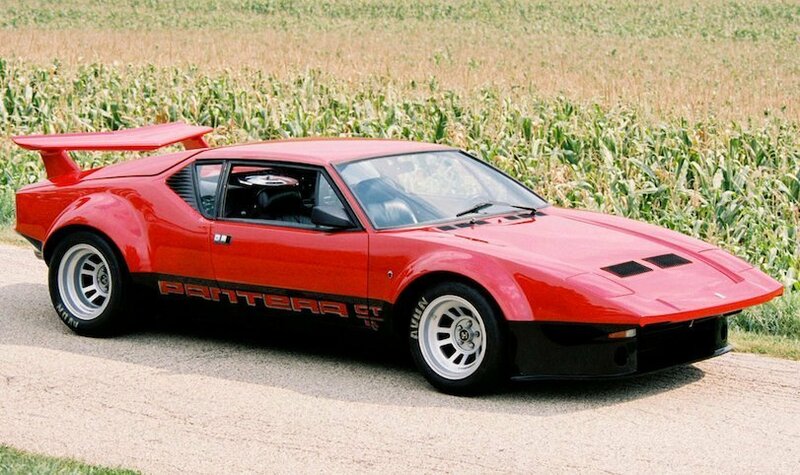 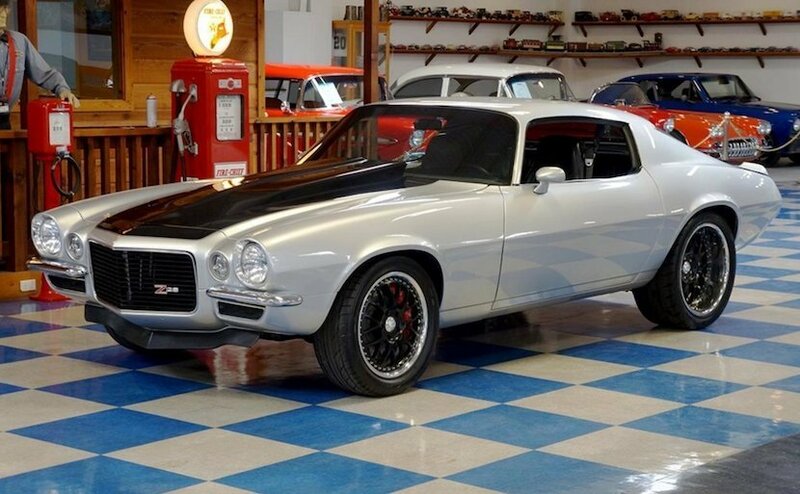 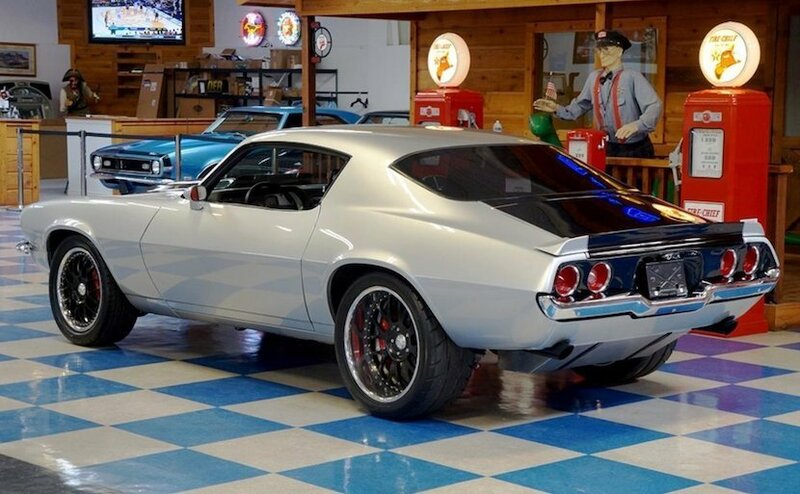 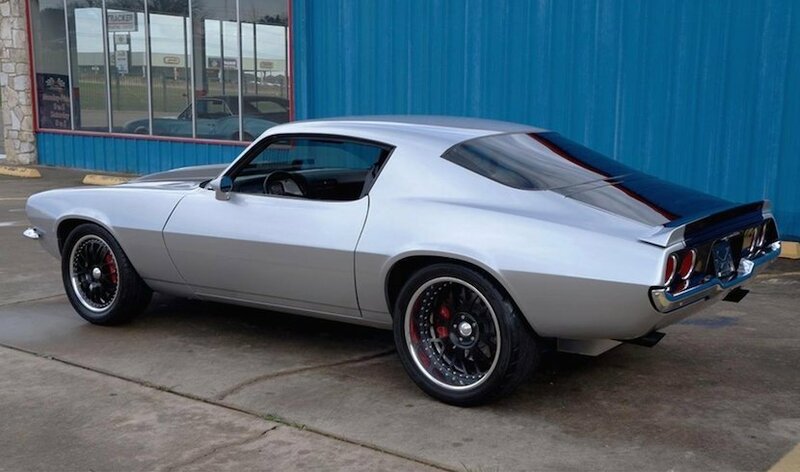 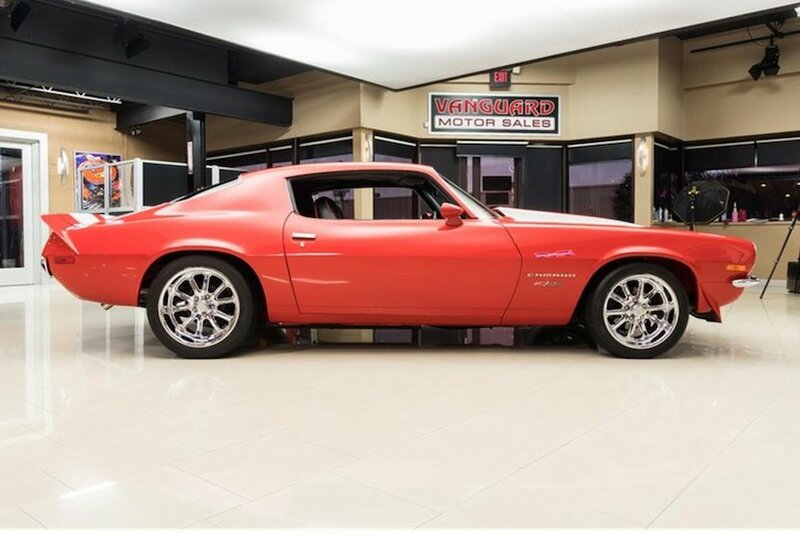 The first 1971 Panteras were powered by a Ford 5.8 Litre V8 engine producing 330 hp. 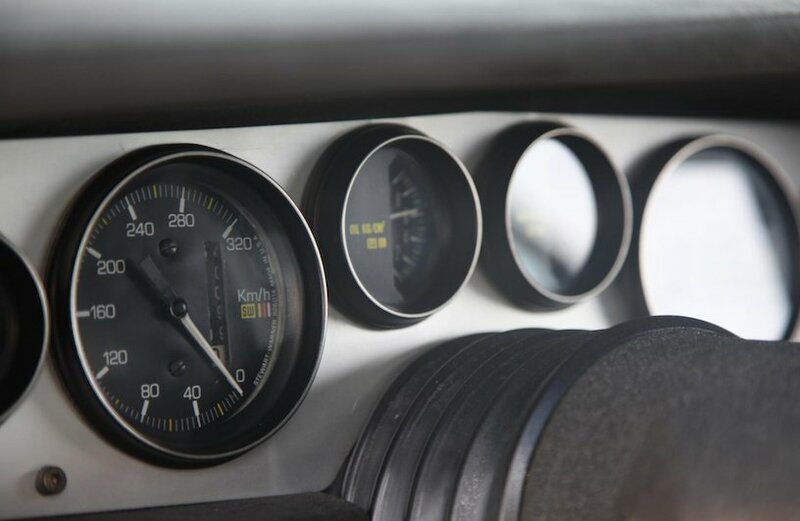 The high torque provided by the Ford engine reduced the need for excessive gear changing at low speeds: this made the car much less demanding to drive in urban conditions than many of the locally built competitor products. 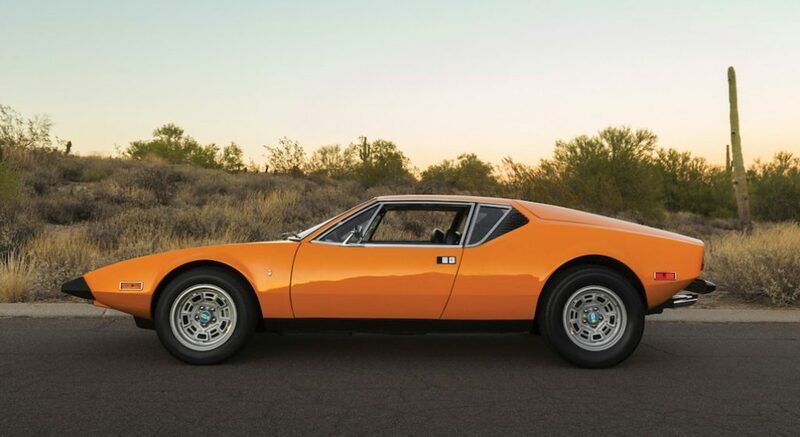 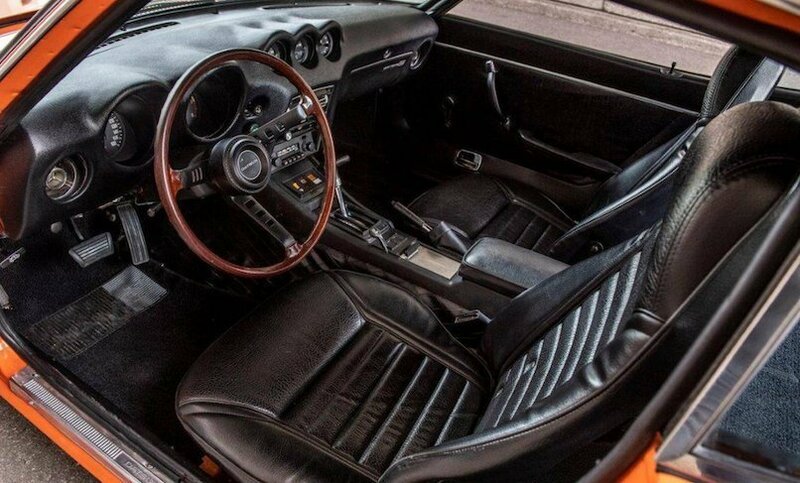 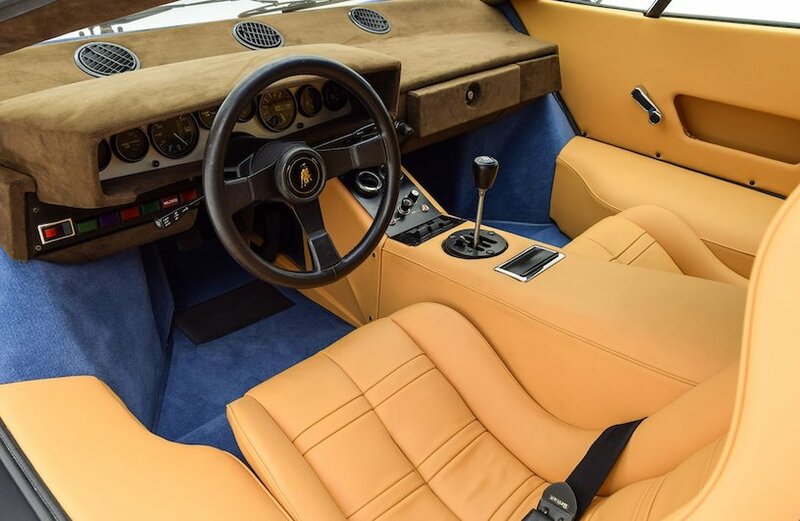 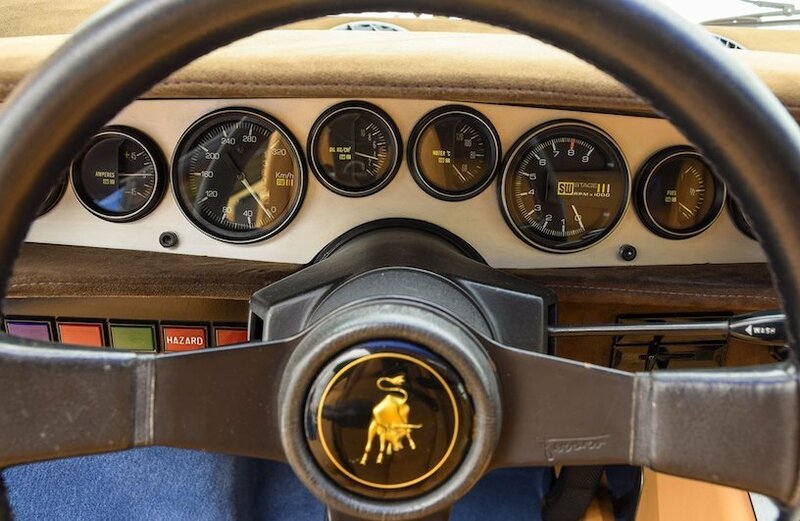 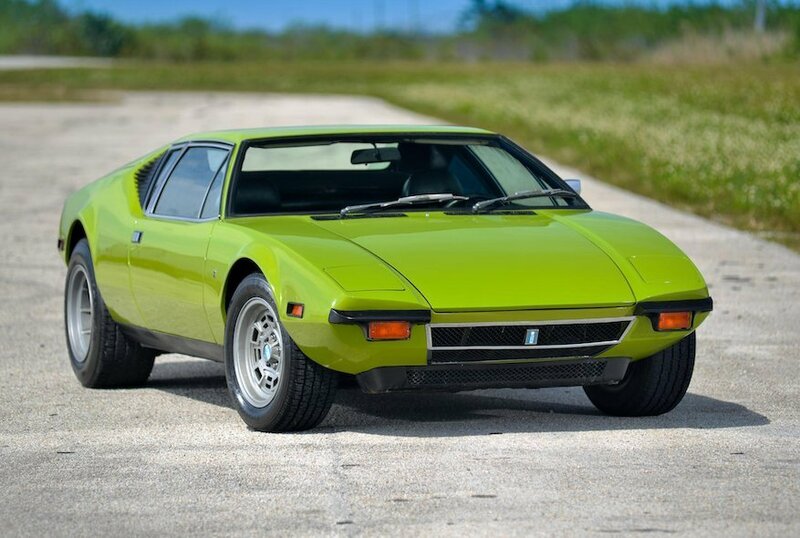 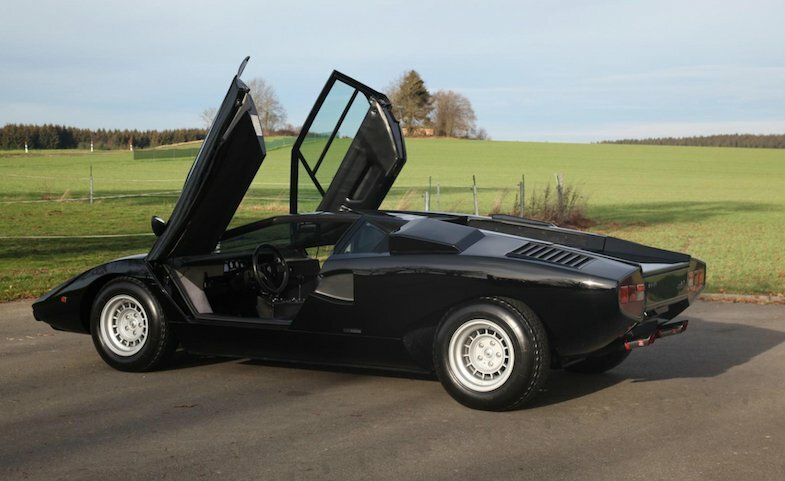 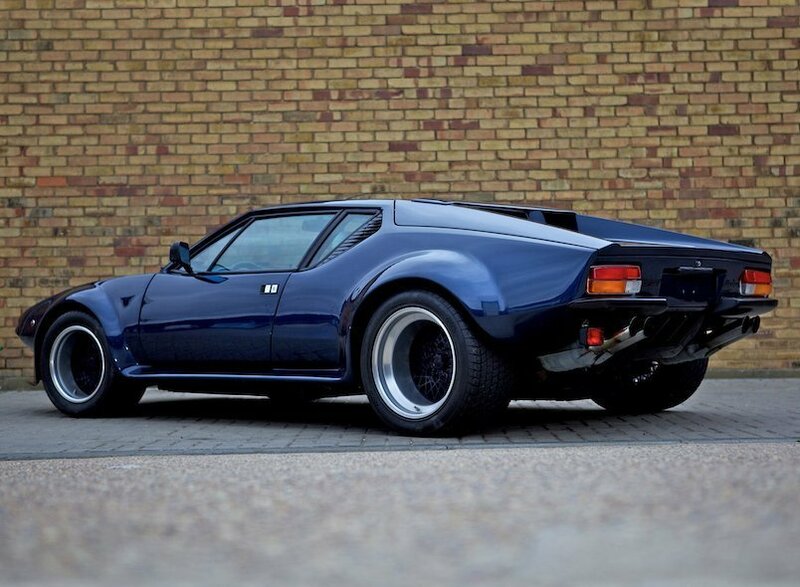 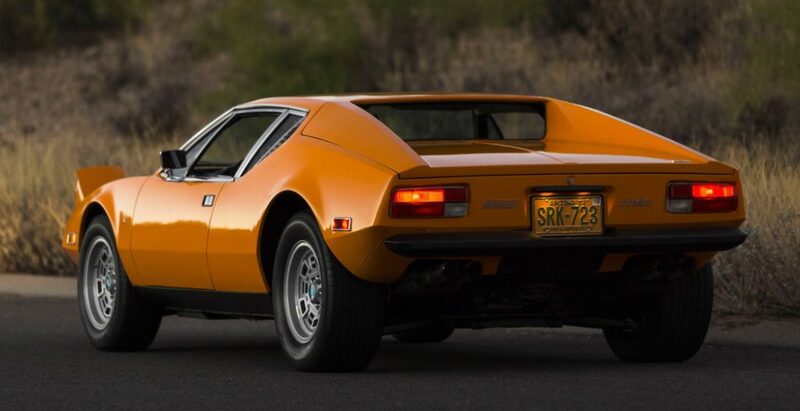 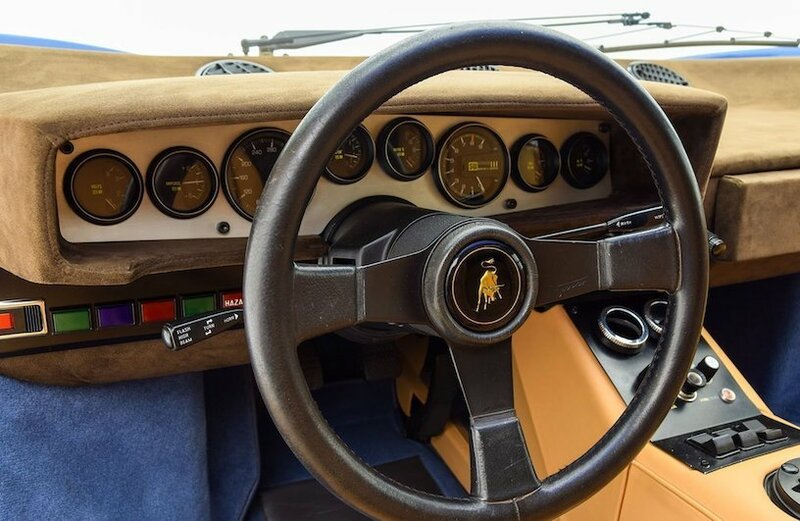 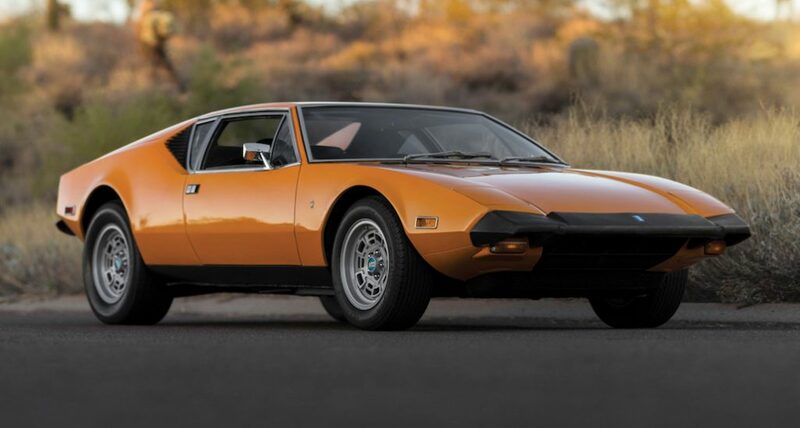 The ZF Transaxle used in the previous model Mangusta was also used for the Pantera: a passenger in an early Pantera recorded that the mechanical noises emanating from the transaxle were more intrusive than the well-restrained engine noise. 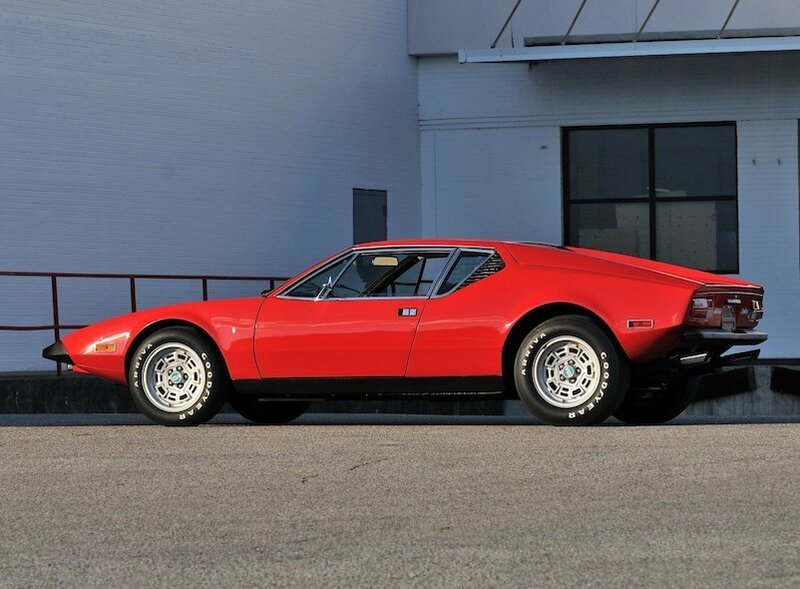 The 1971 Pantera could accelerate to 100 kph in 5.5 seconds. 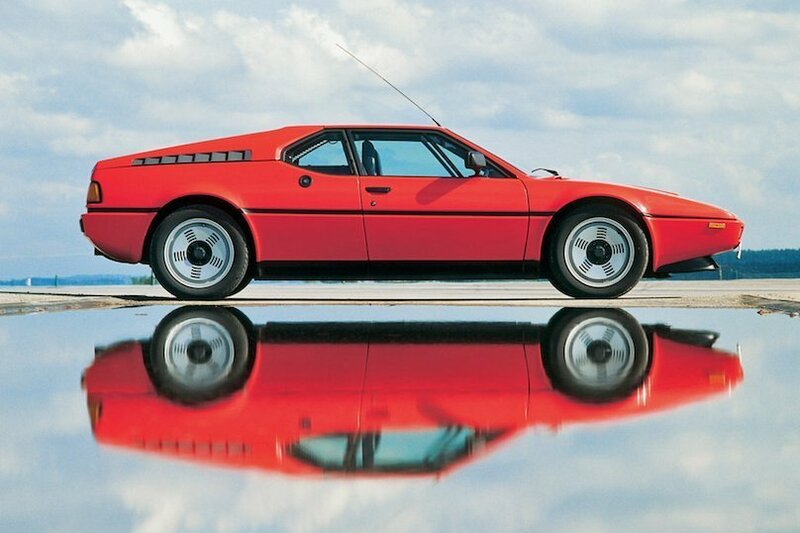 At the time it was mind-blowing. 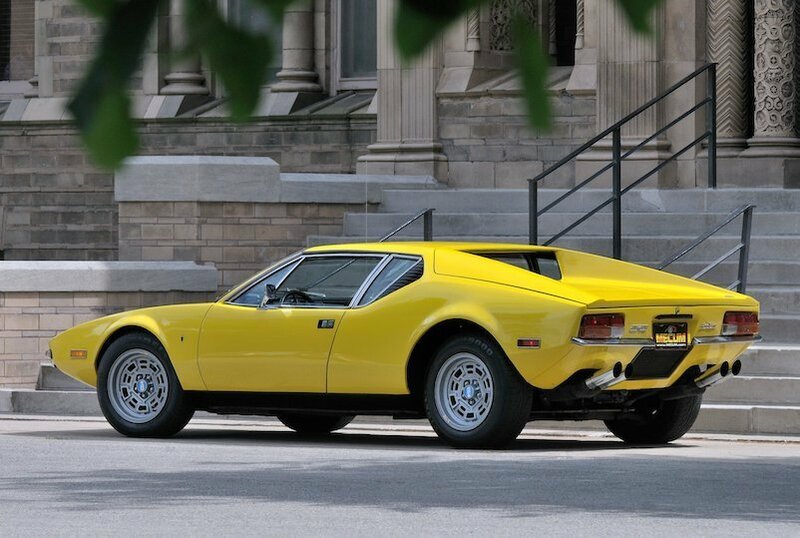 The American market was very important for De Tomaso. 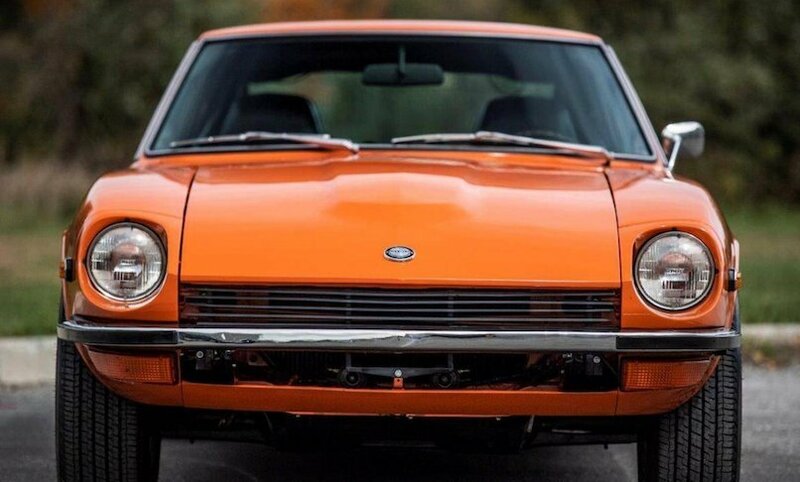 That is why they had to produce the ugly rubber nose version for the USA (Like in the orange unit in the pictures). 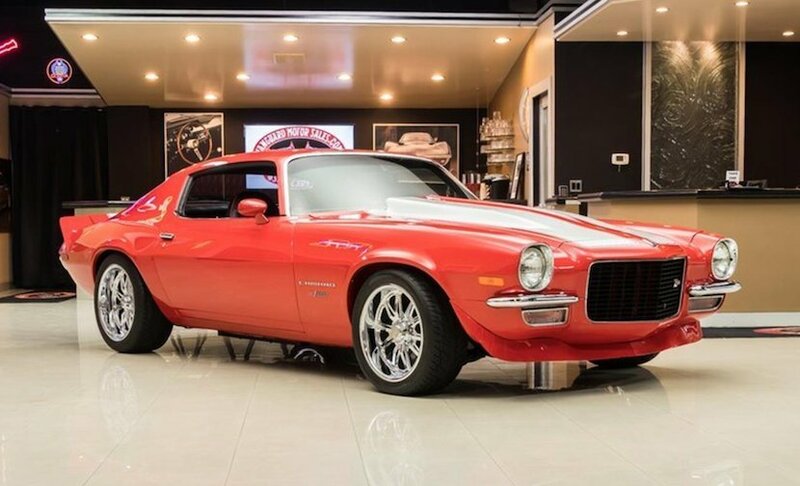 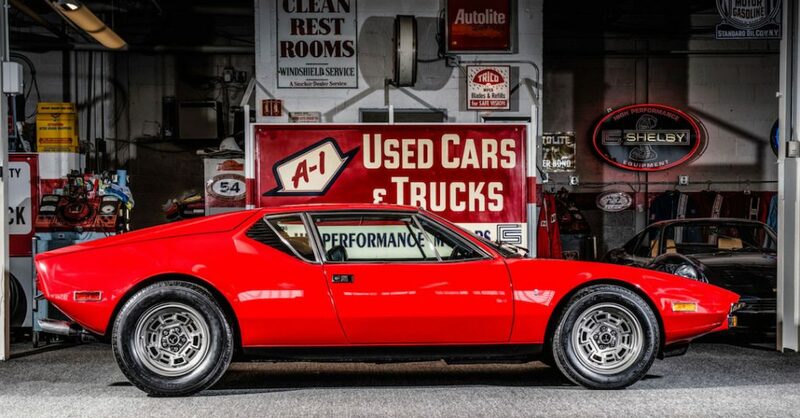 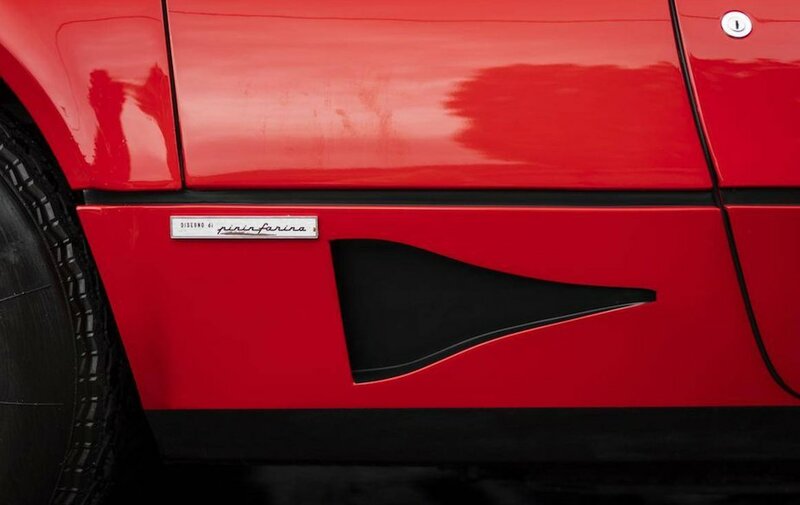 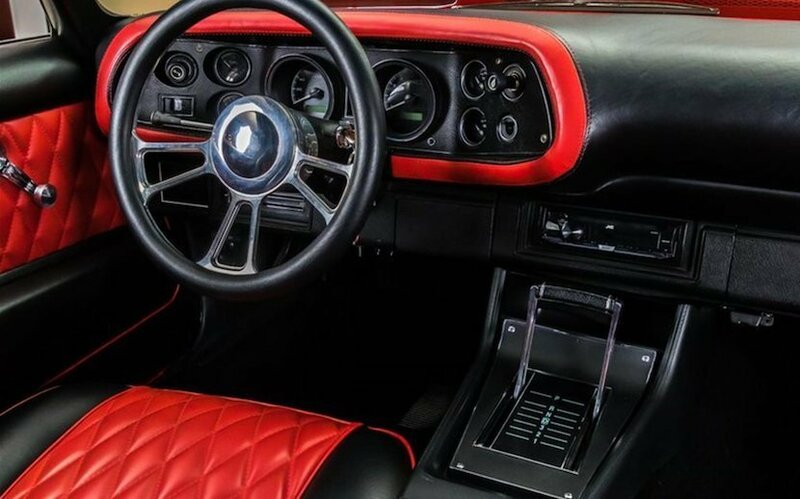 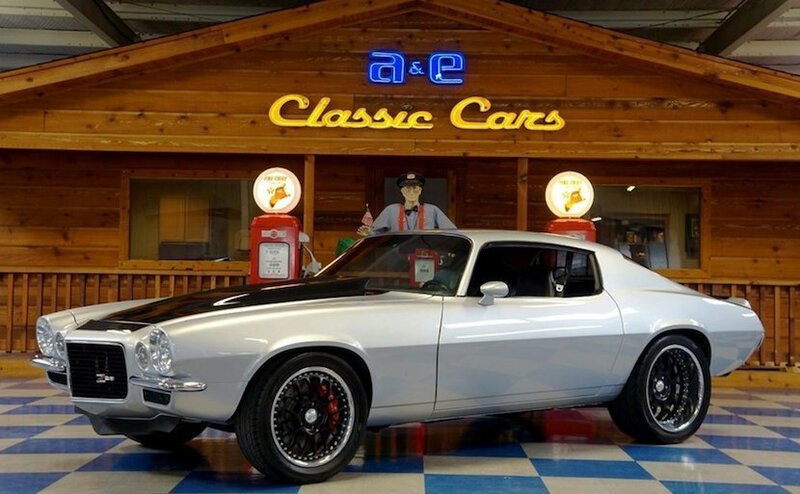 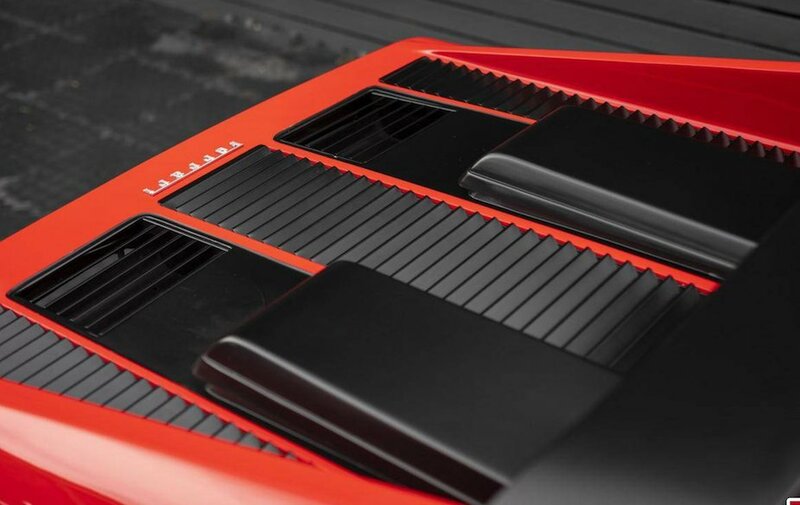 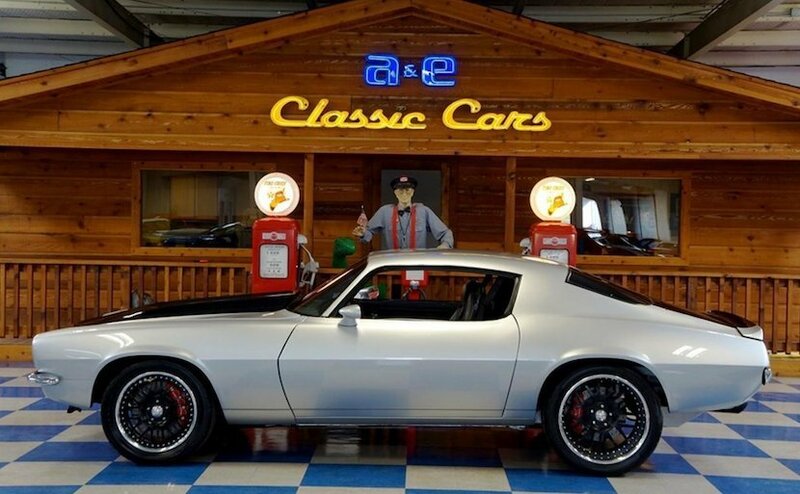 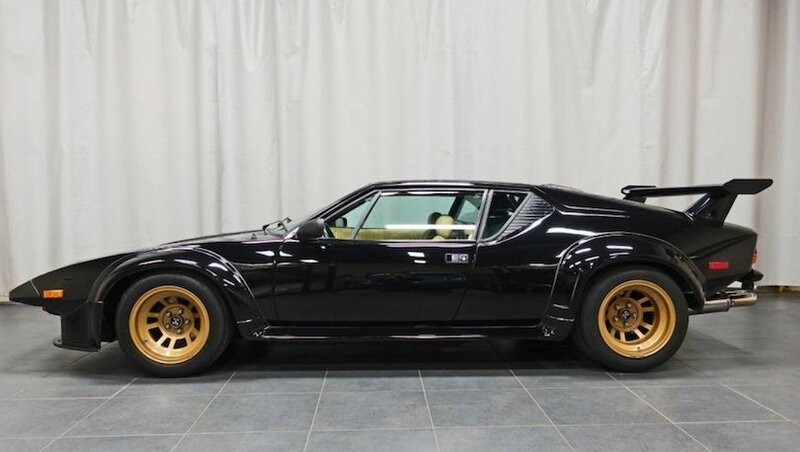 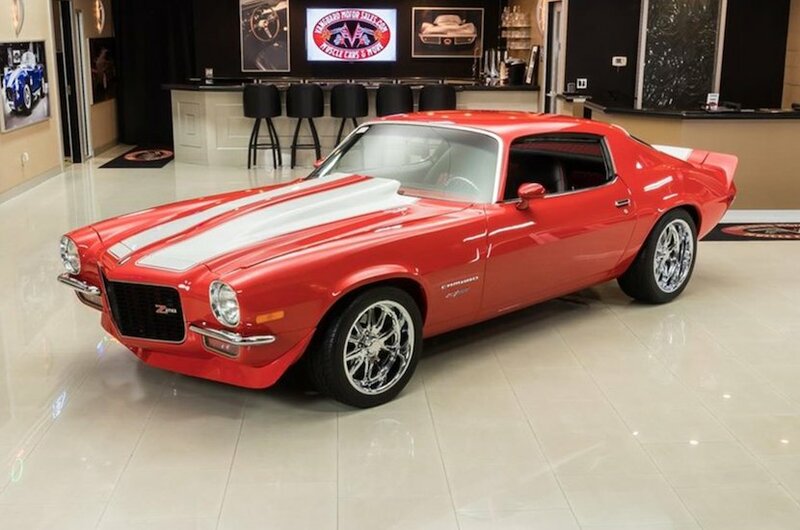 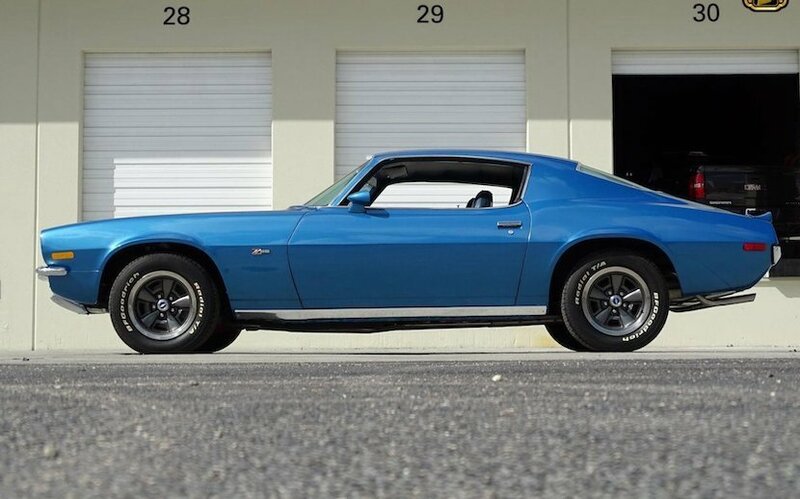 After the first 2 years of production, the new upgrades made the Pantera so well-honed, that the 1973 Pantera was Road Test Magazine’s Import car of the year beating Ferrari, Maserati, Lamborghini, and Porsche. 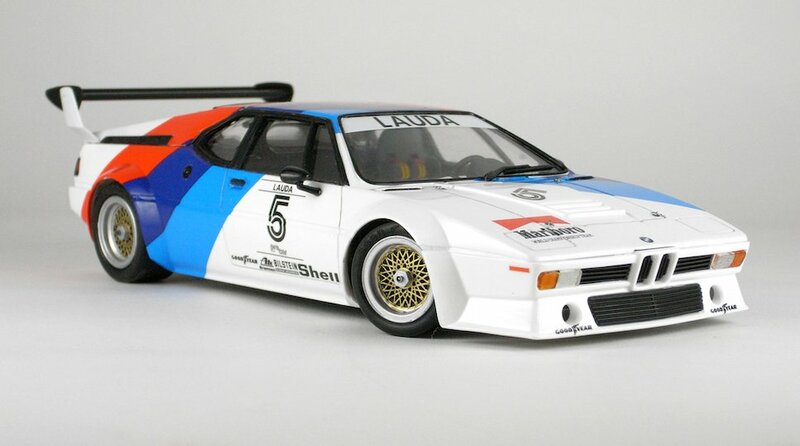 This model had a very long, healthy and successful life. 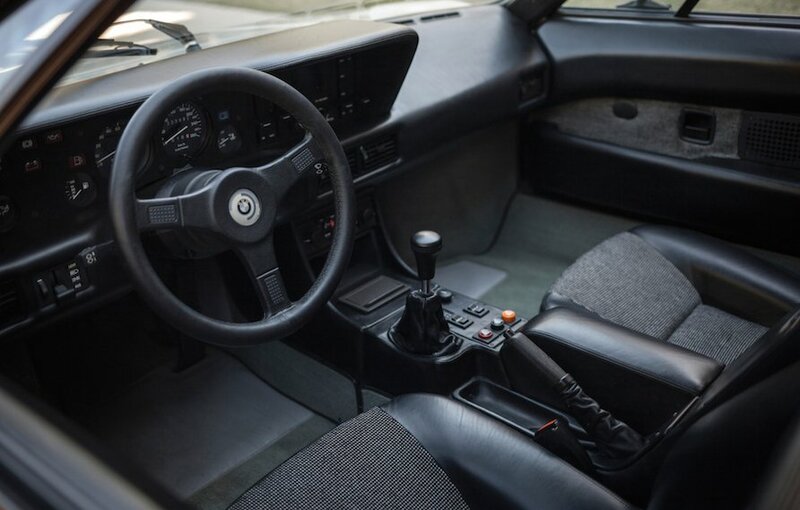 The last one was delivered to a customer in 1992. 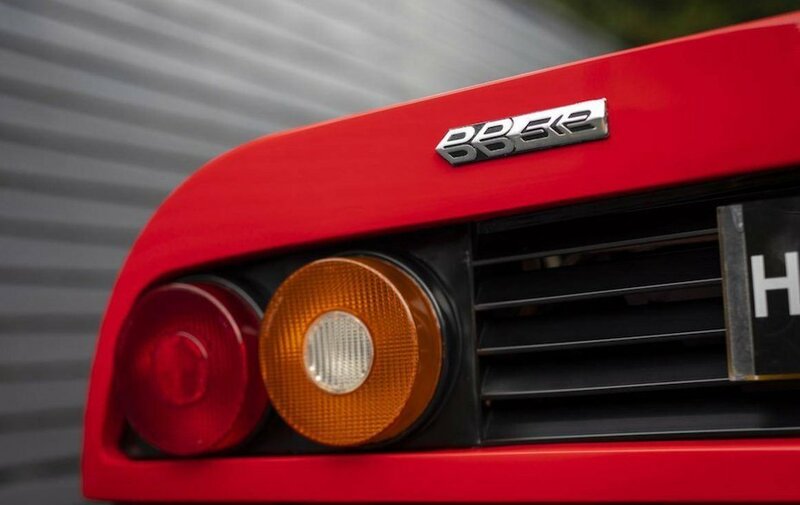 Production of the Berlinetta Boxer was a major step for Enzo Ferrari. 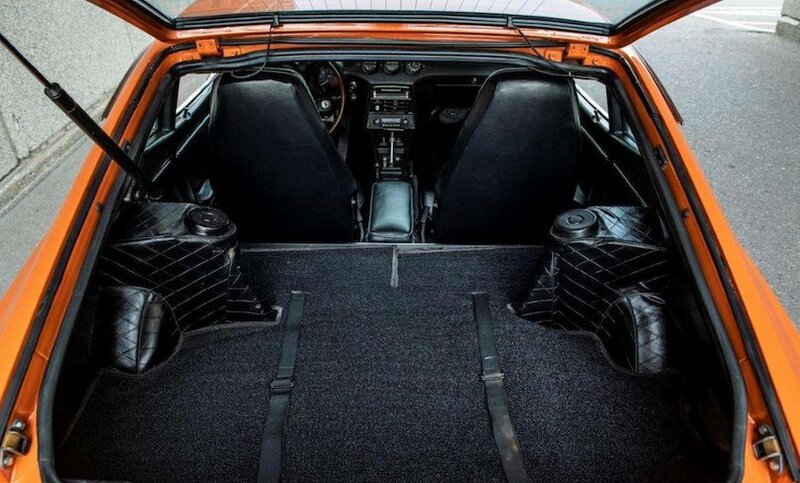 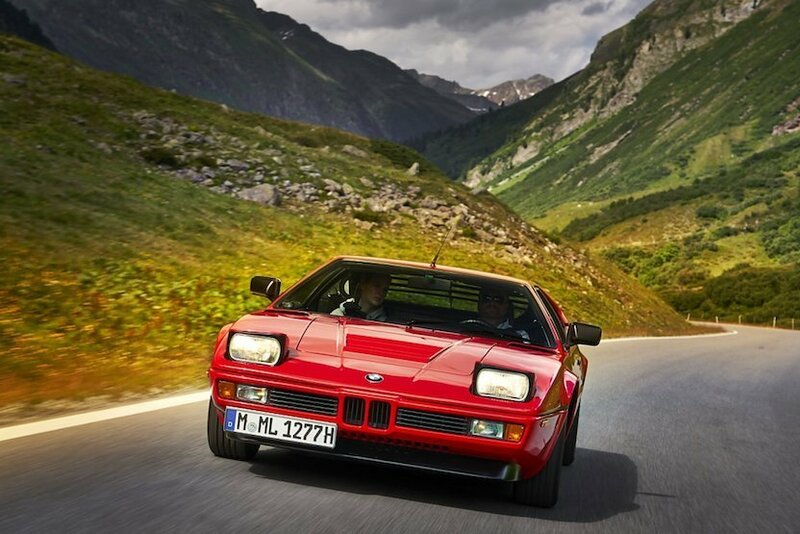 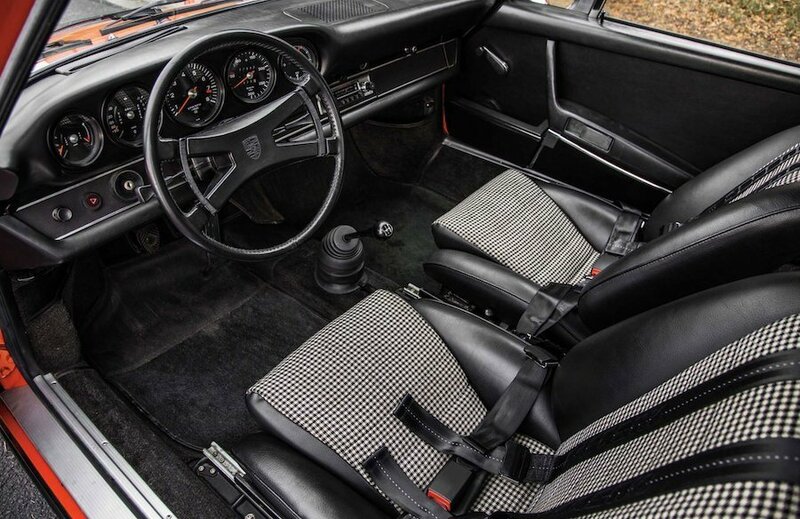 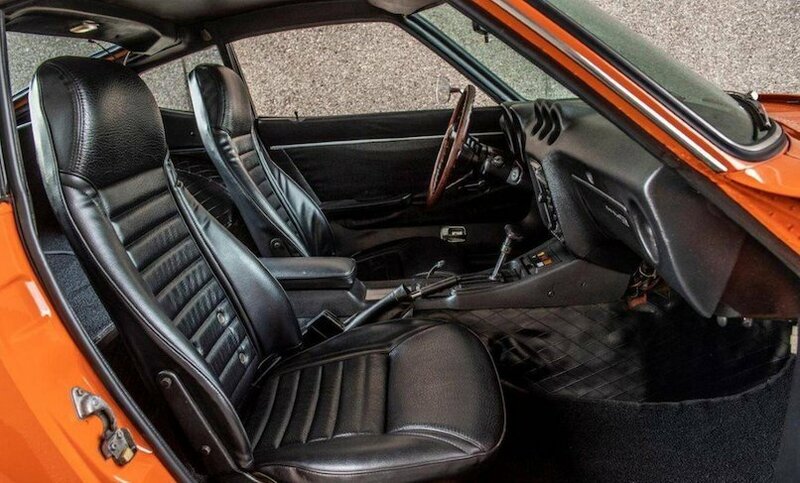 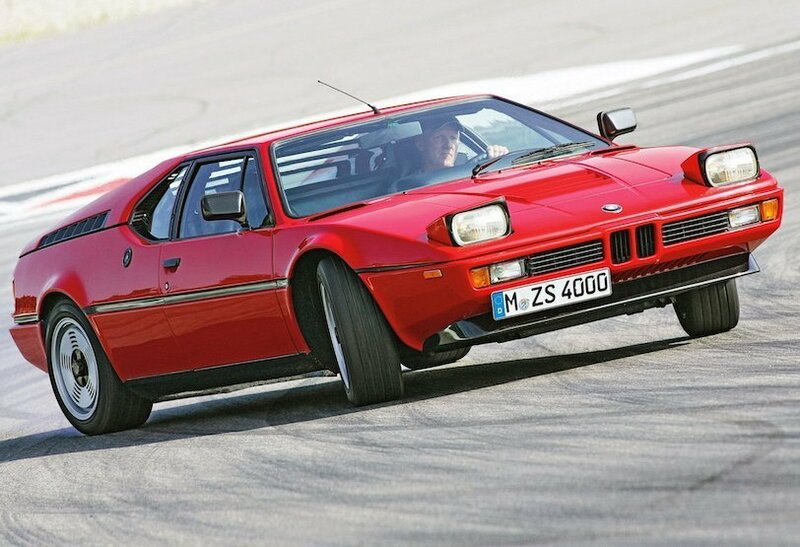 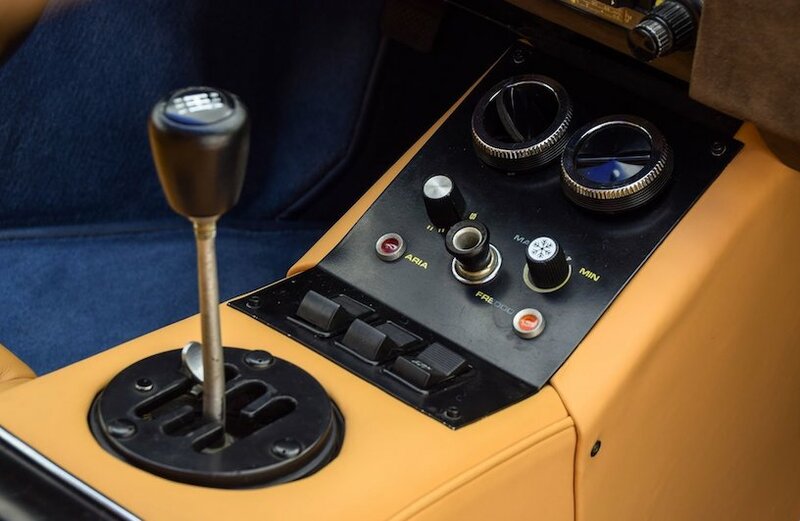 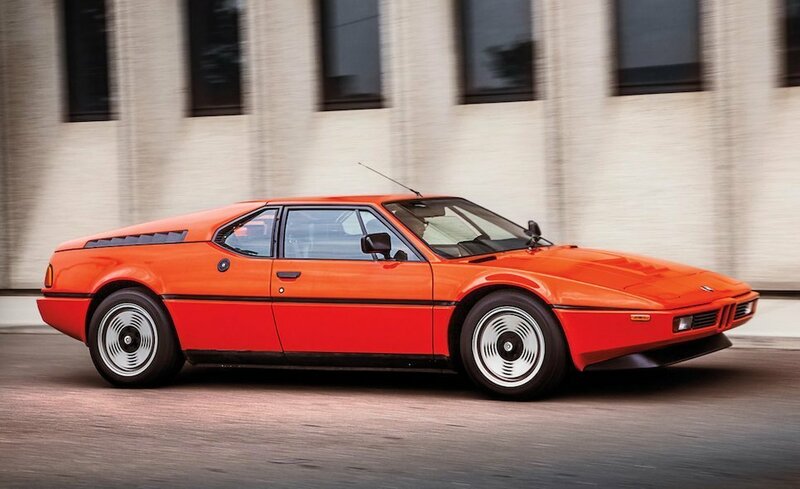 He felt that a mid-engined road car would be too difficult for his buyers to handle, and it took many years for his engineers to convince him to adopt the layout. 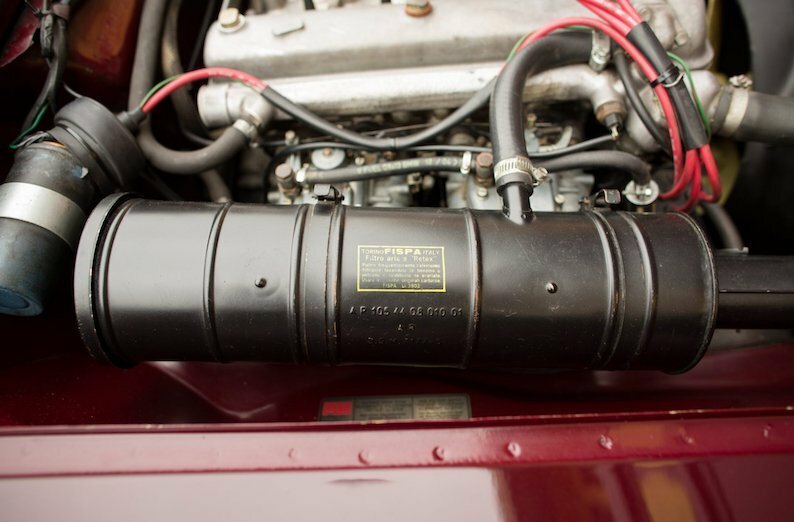 The BB was the first mid-engined 12-cylinder road car to be launched by Ferrari. 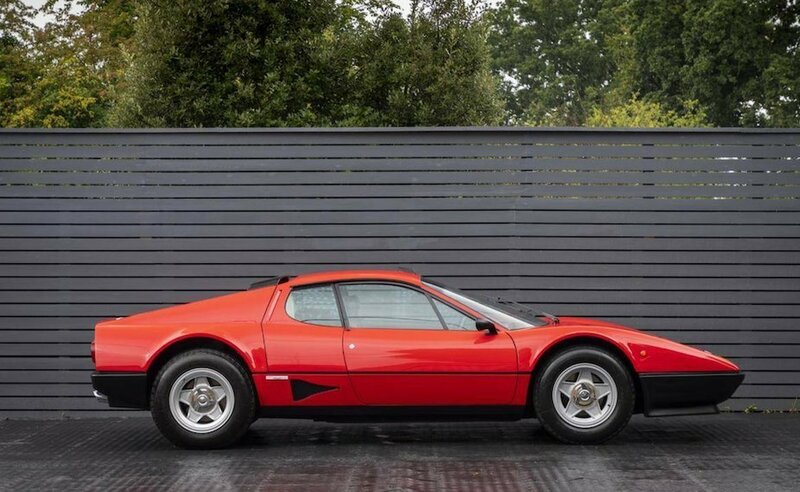 Engineered on the ashes of the 365 GT4 BB, the car was updated as the BB 512 in 1976, resurrecting the name of the earlier Ferrari 512 racer. 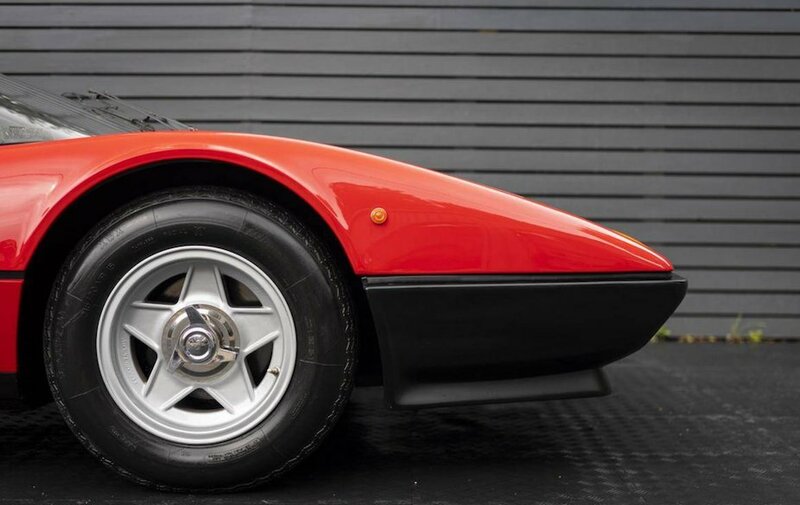 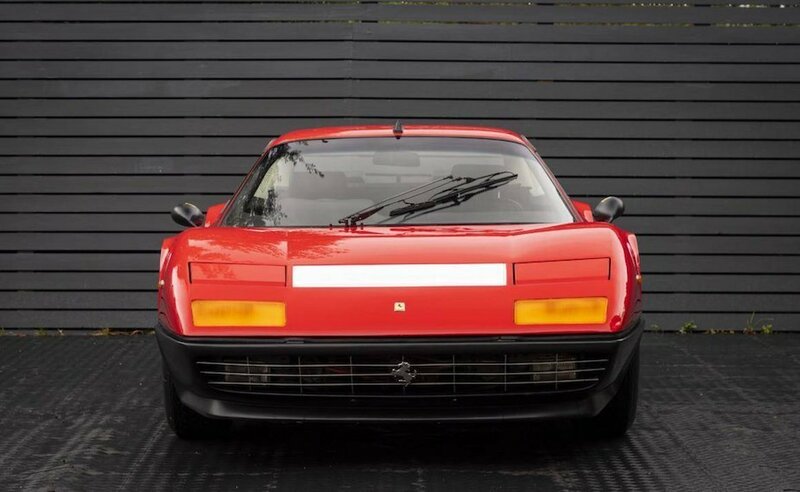 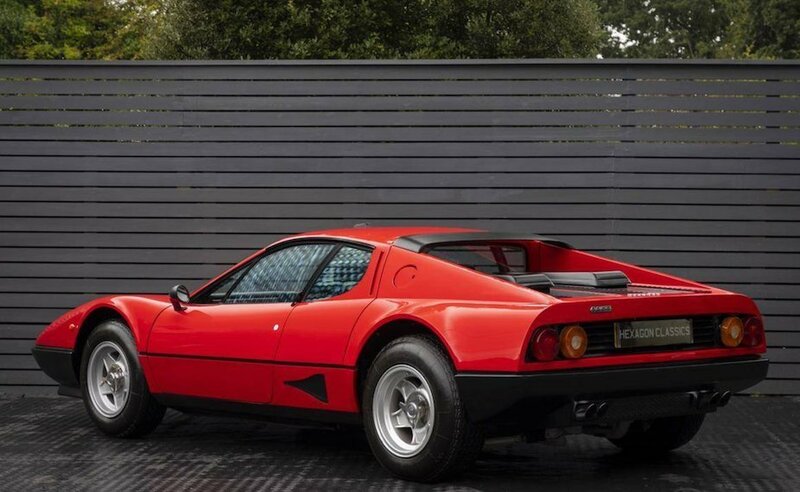 The name 512 referred to the car’s 5 litre, 12 cylinder engine, which was enlarged to 4943 cc, with an increased compression ratio of 9.2:1. 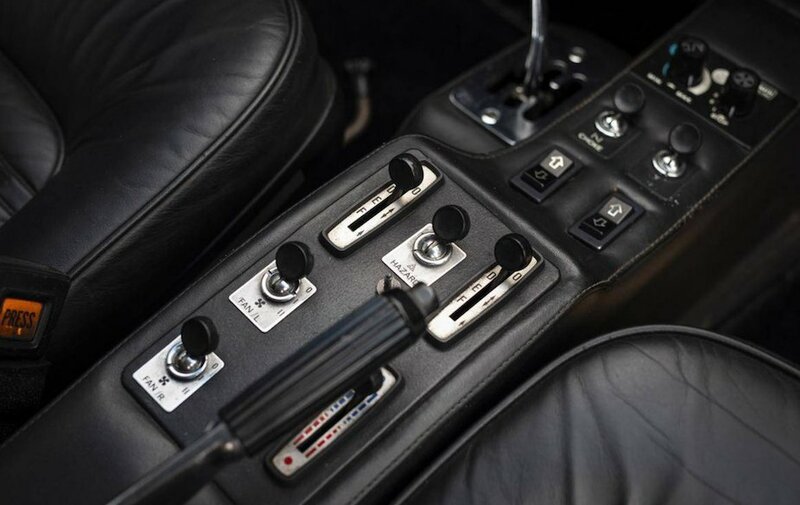 Power was slightly down to 360 hp, while a dual plate clutch handled the added torque and eased the pedal effort. 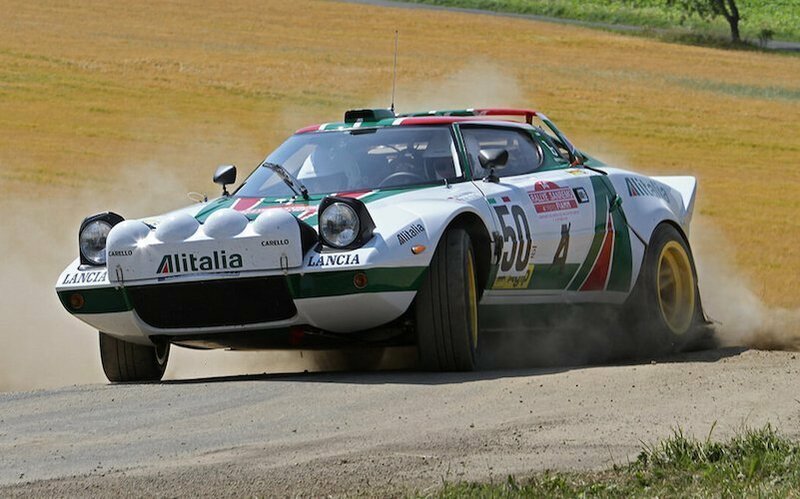 Dry sump lubrication prevented oil starvation in hard cornering. 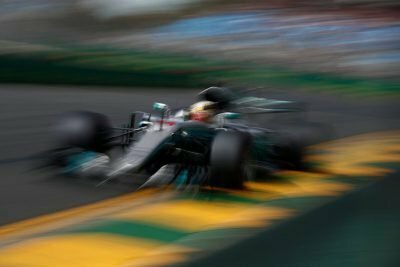 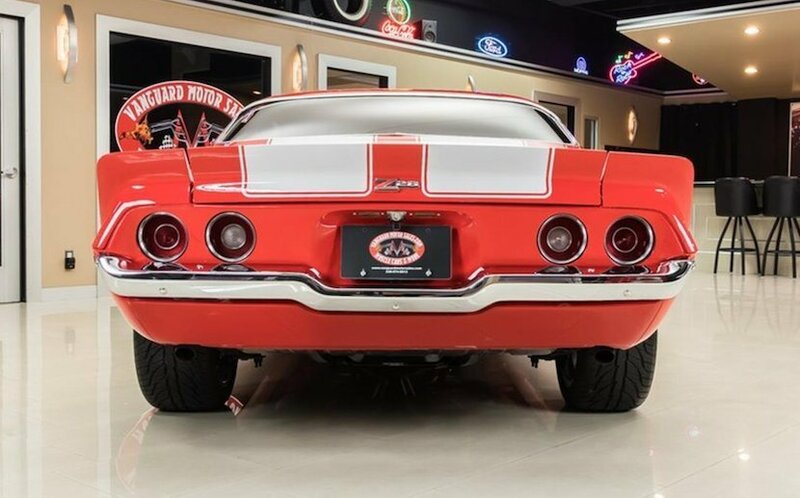 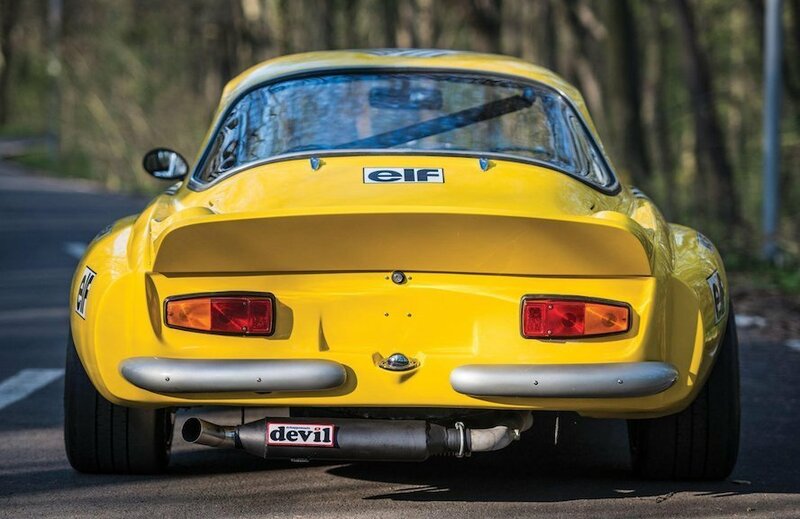 The chassis remained unaltered, but wider rear tires (in place of the 365’s equally sized on all four corners) meant the rear track grew 63 mm. 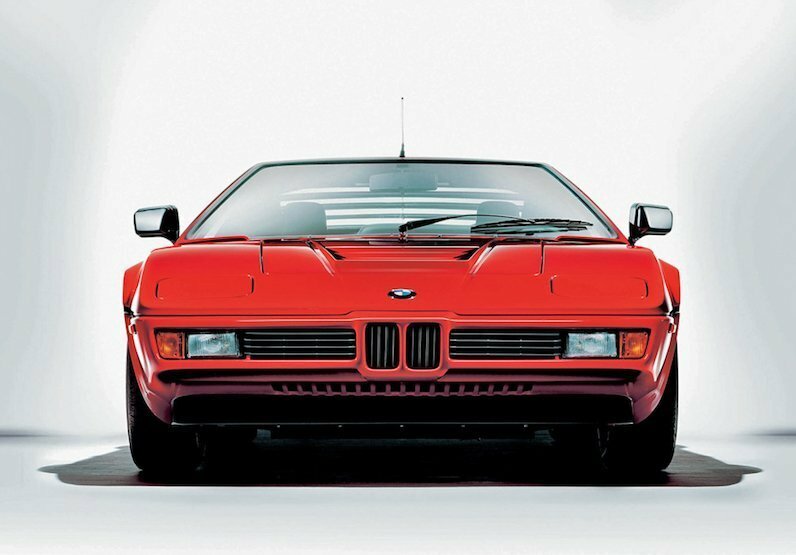 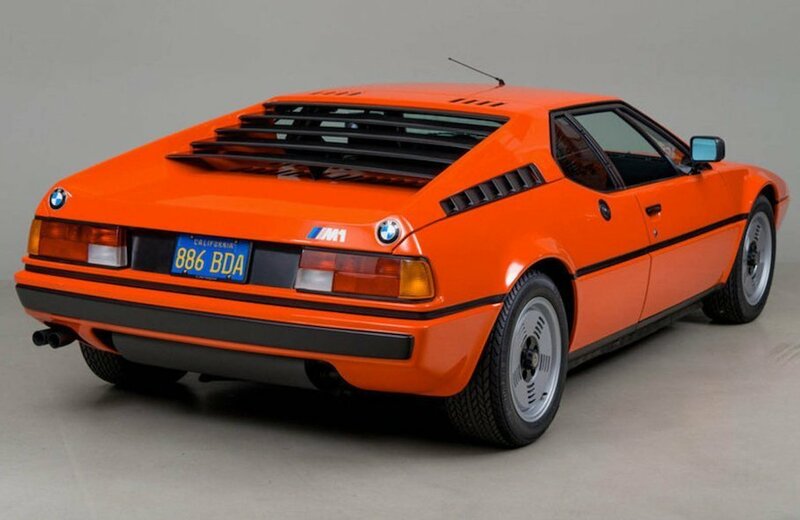 only 929 BB 512 models were produced. 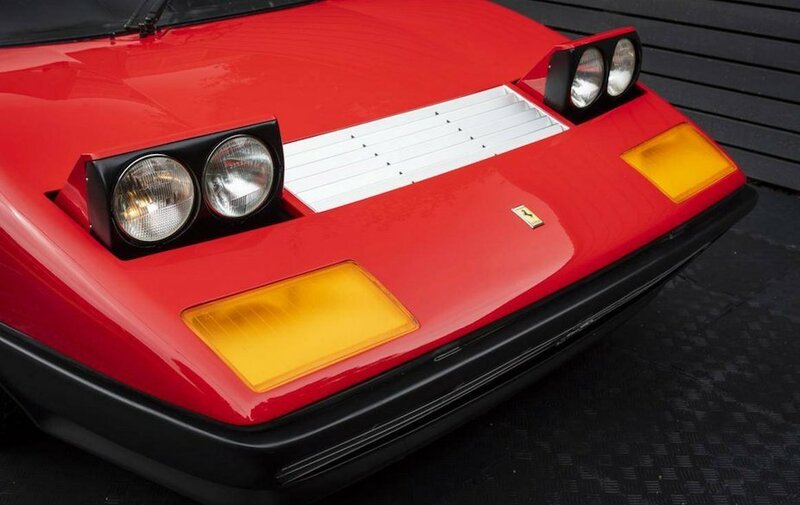 It’s a classic that remains in our heaven, the mother of the modern mid engine Ferrari sports cars. 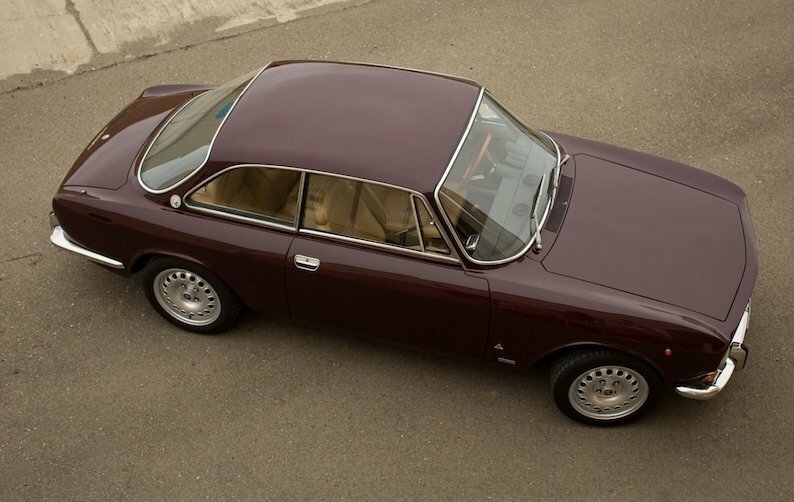 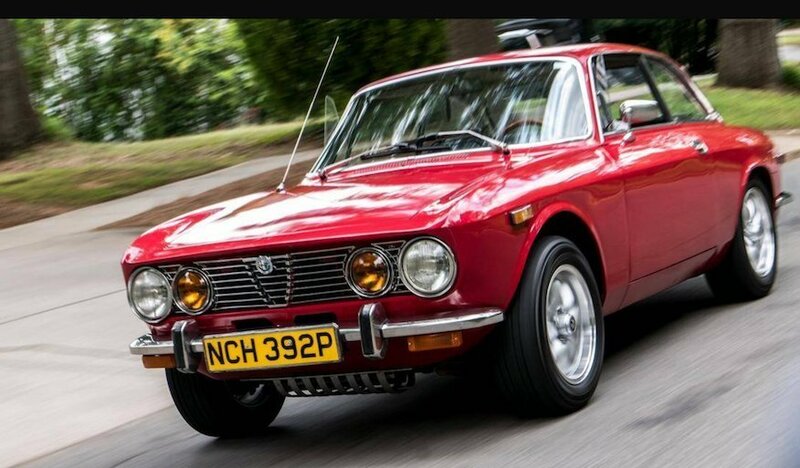 The Alfa Romeo 2000 GT Veloce (also known as 2000 GTV) was introduced in 1971 together with the 2000 Berlina sedan and 2000 Spider. 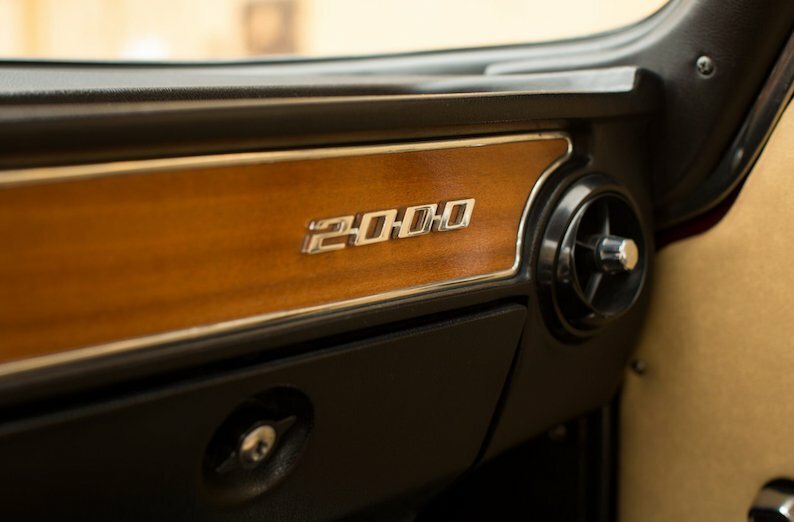 The 2000 range was the replacement for the 1750 range. 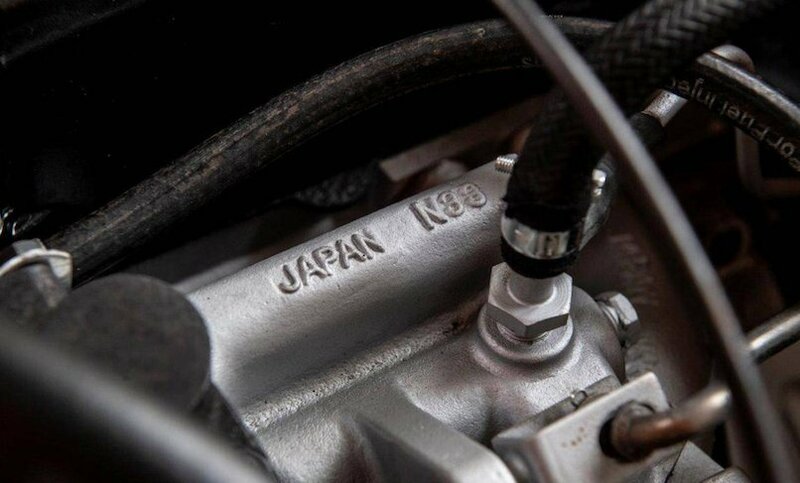 The engine displacement was increased to 1962 cc with a change of the bore and stroke to 84 mm × 88.5 mm. 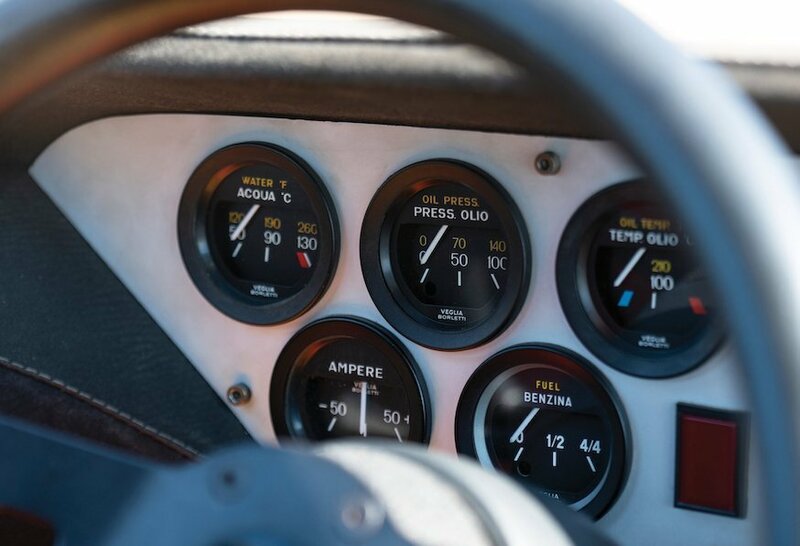 Oil and radiator capacities remained unchanged. 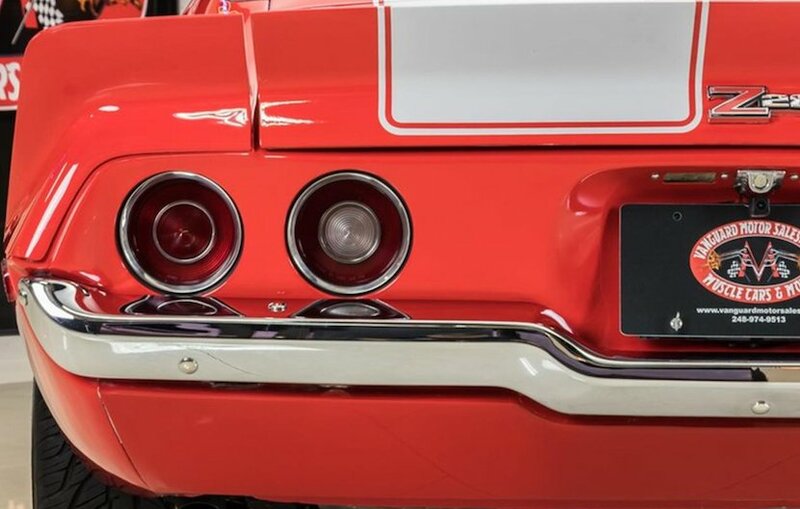 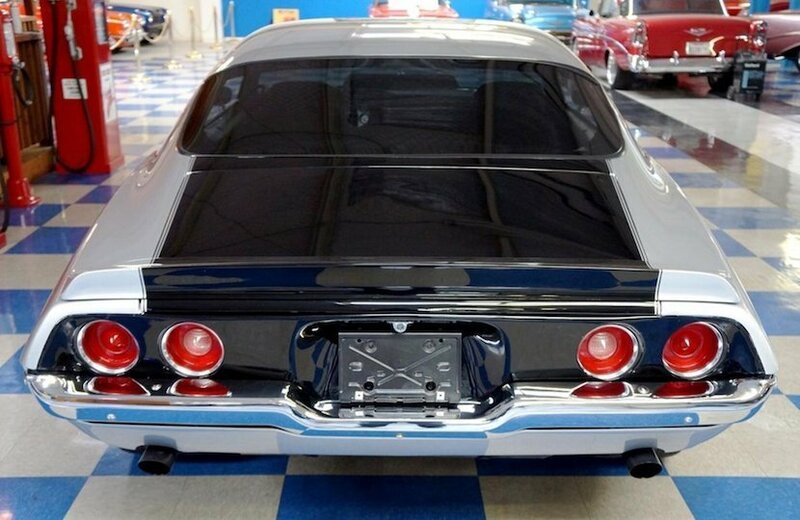 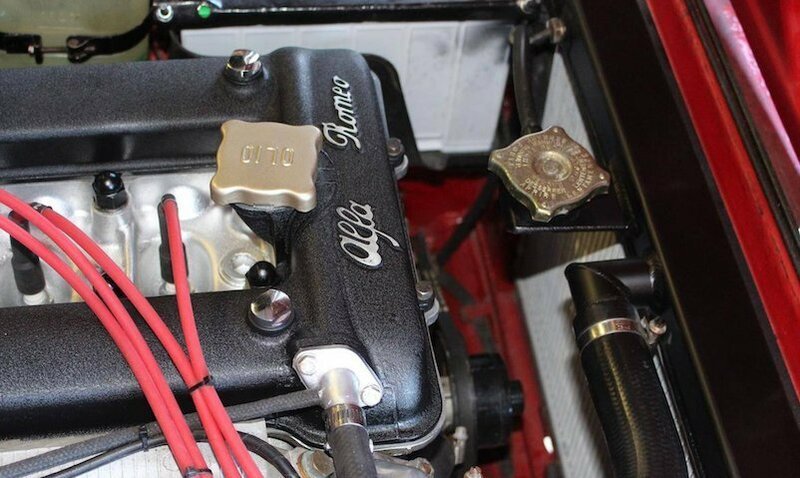 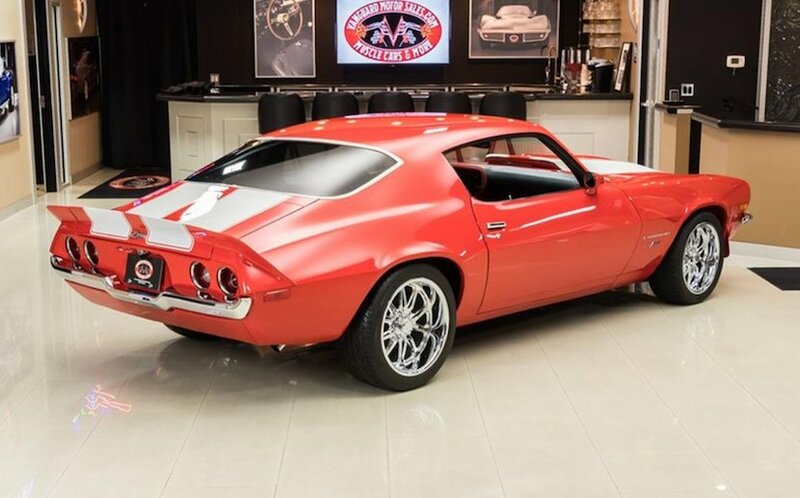 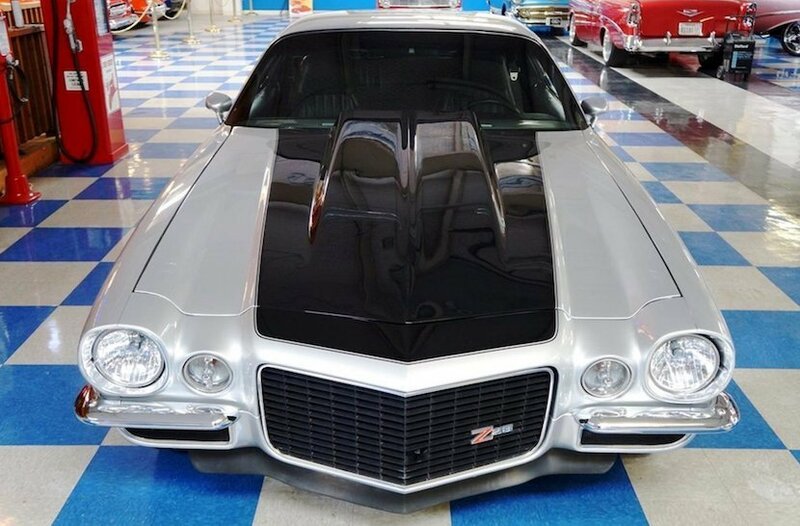 The engine produced 130 hp at 5500 rpm with the SPICA fuel injection, which, once again, was only fitted to cars destined for the United States and Canadian markets, with carburetors retained for other markets producing officially the same power. 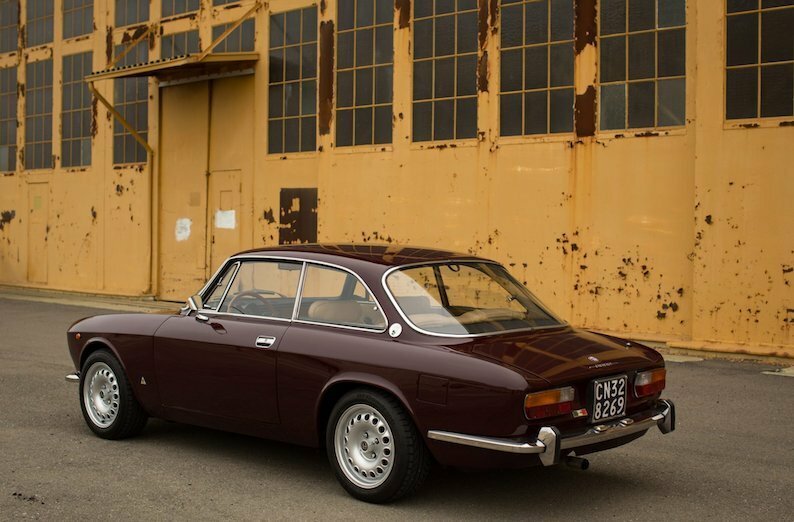 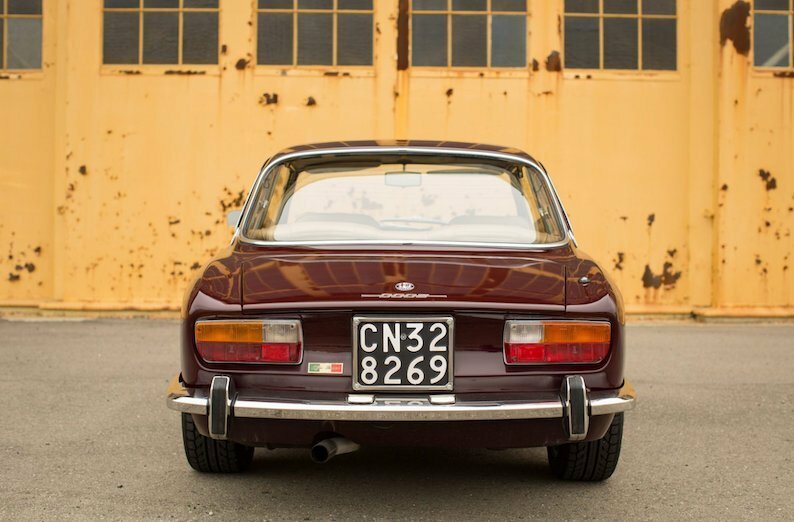 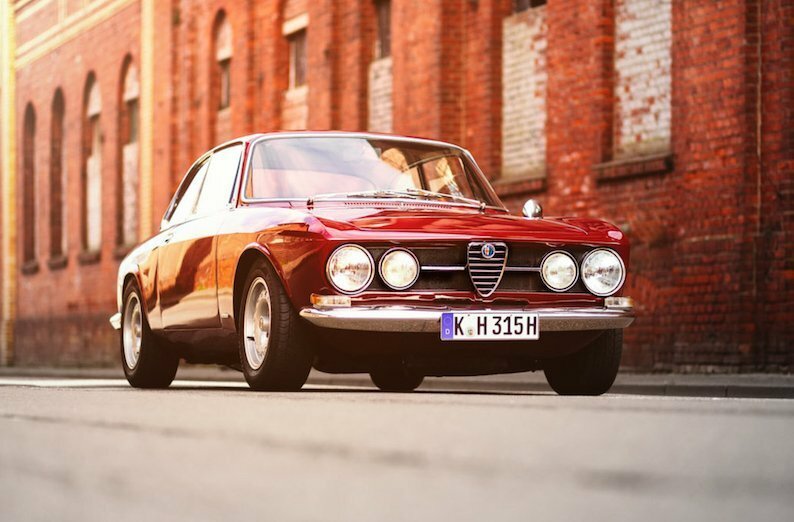 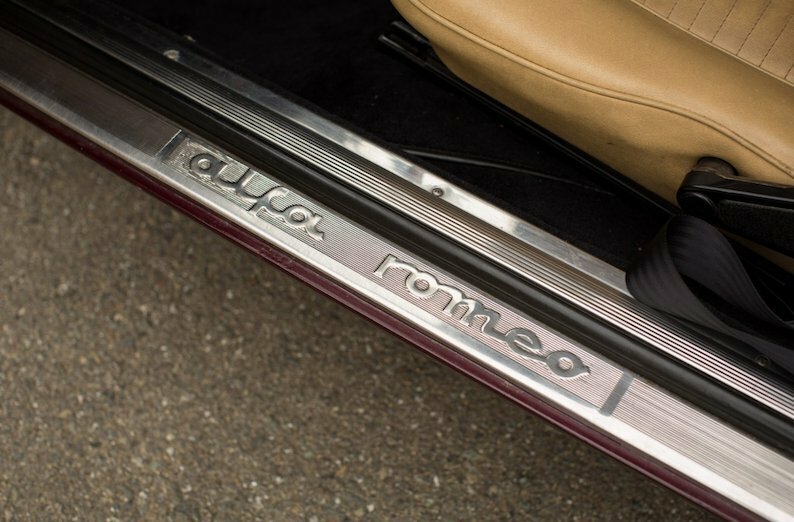 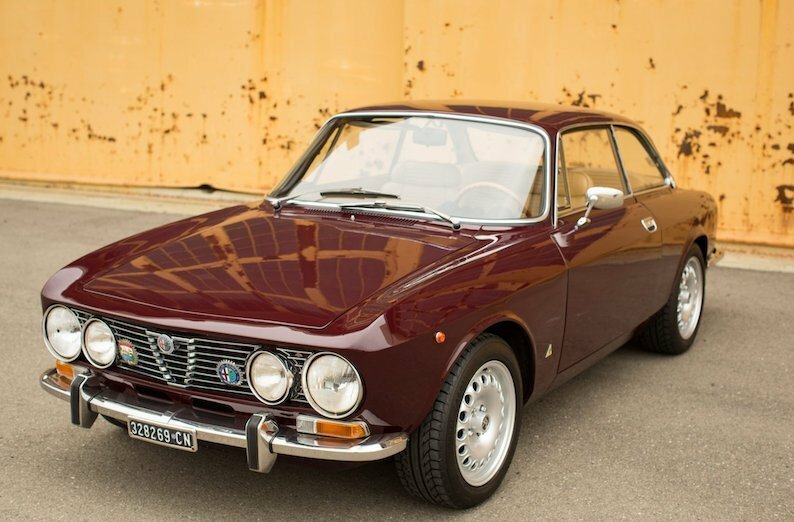 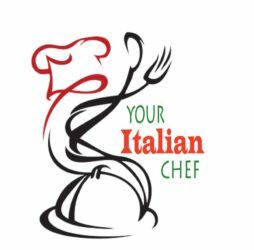 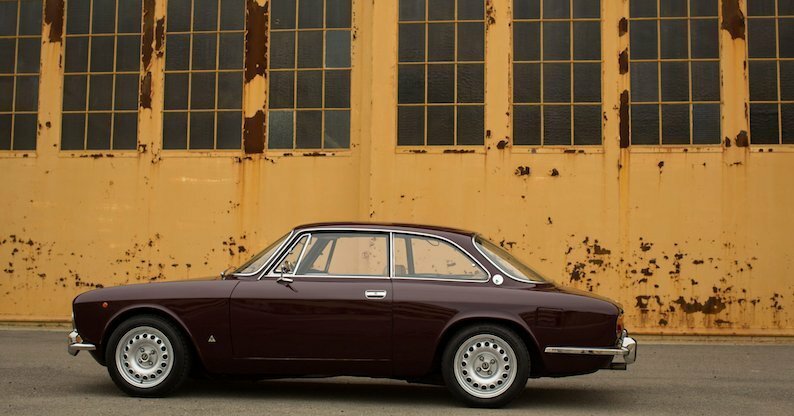 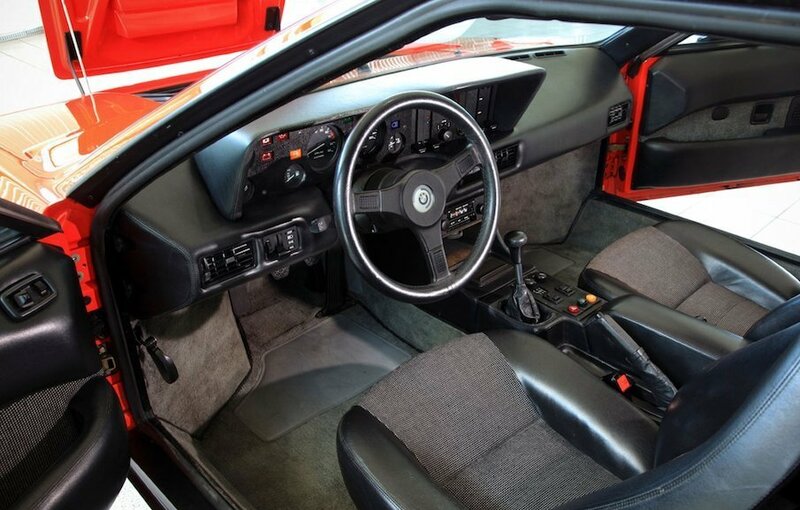 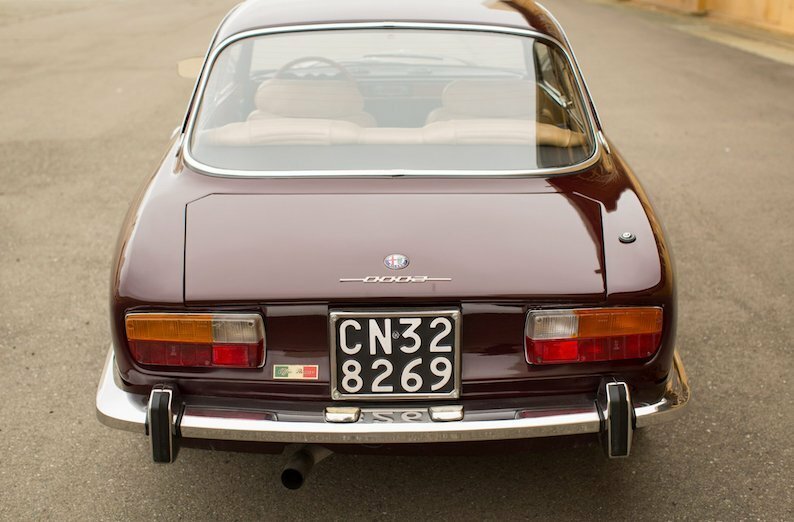 Externally the 2000 GTV is most easily distinguished by the following features: grille with horizontal chrome bars, featuring protruding blocks forming the familiar Alfa heart in outline. 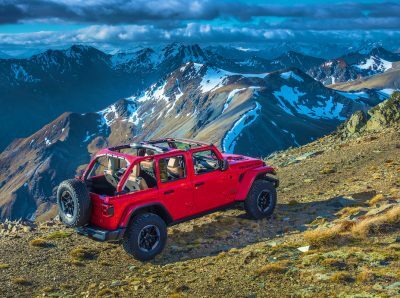 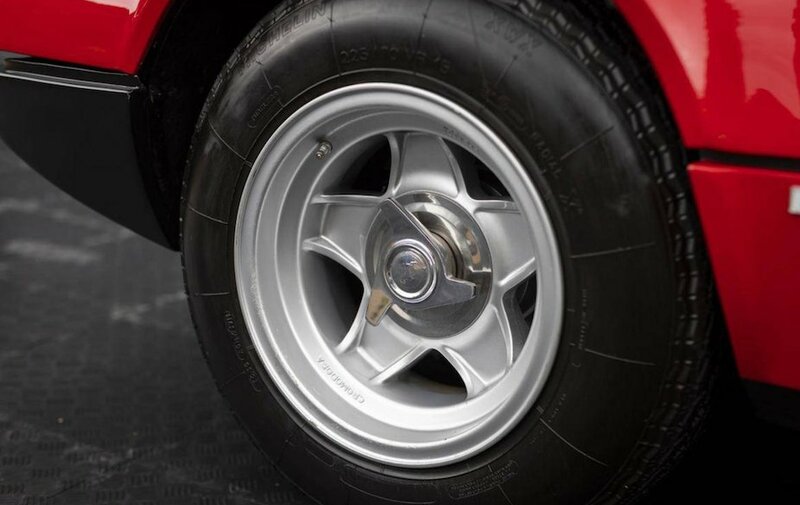 Furthermore, optional aluminum alloy wheels of the same size as the standard 5. 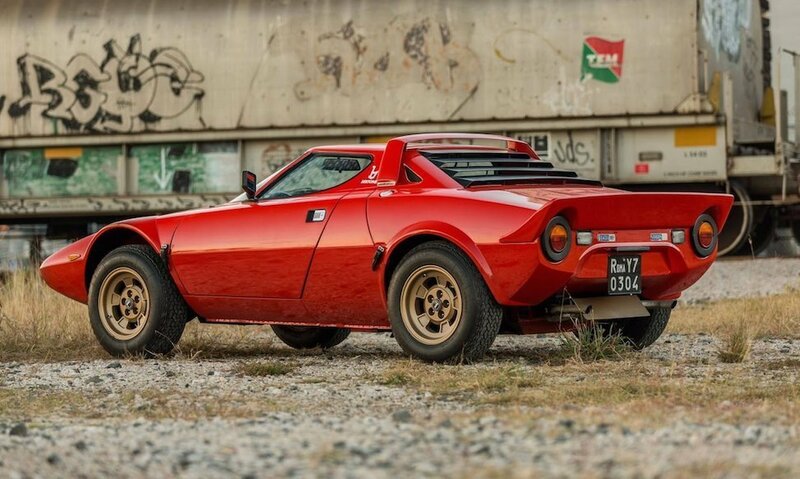 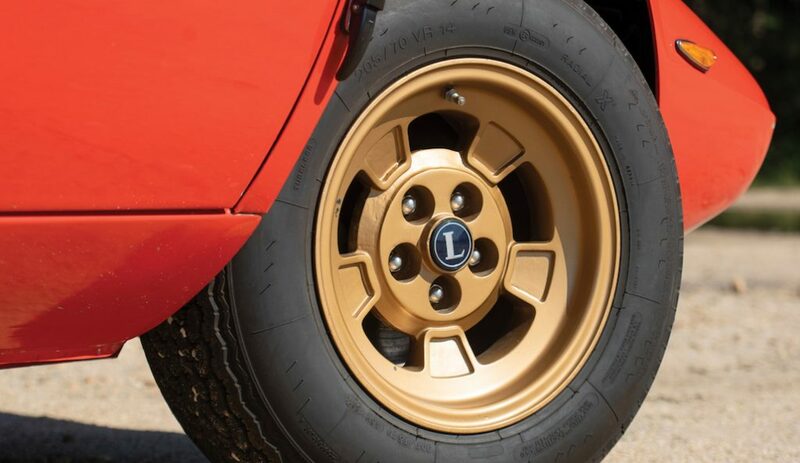 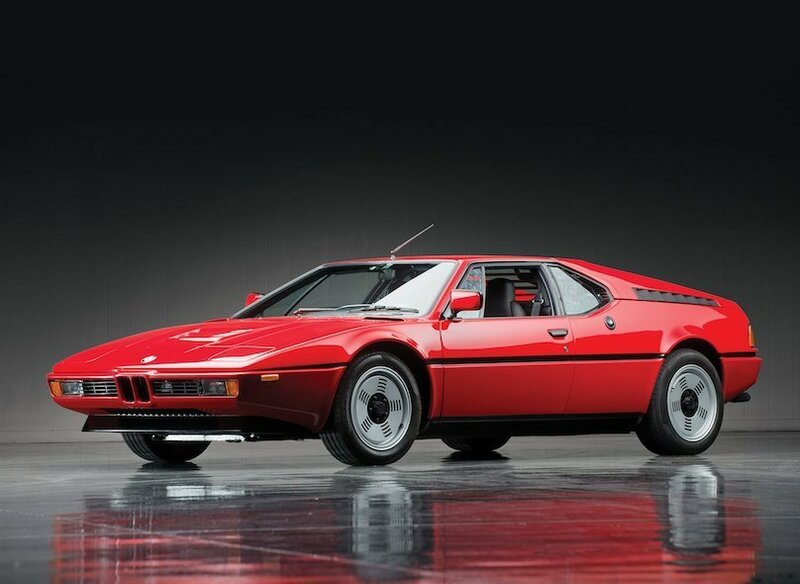 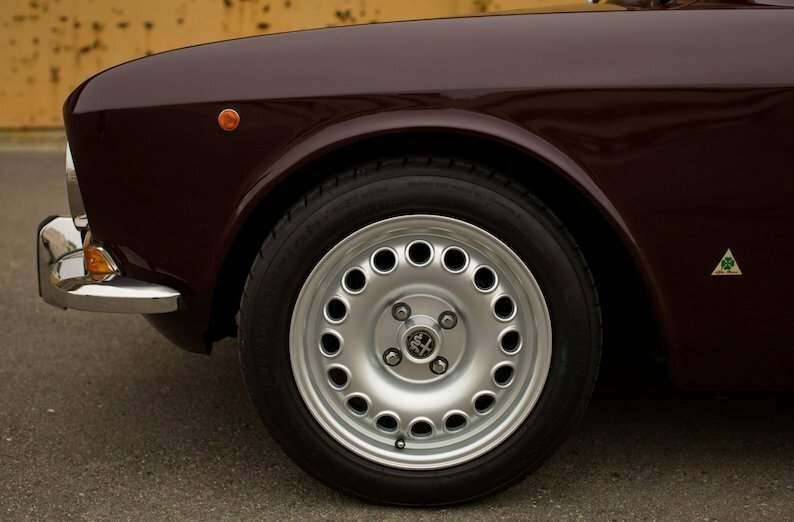 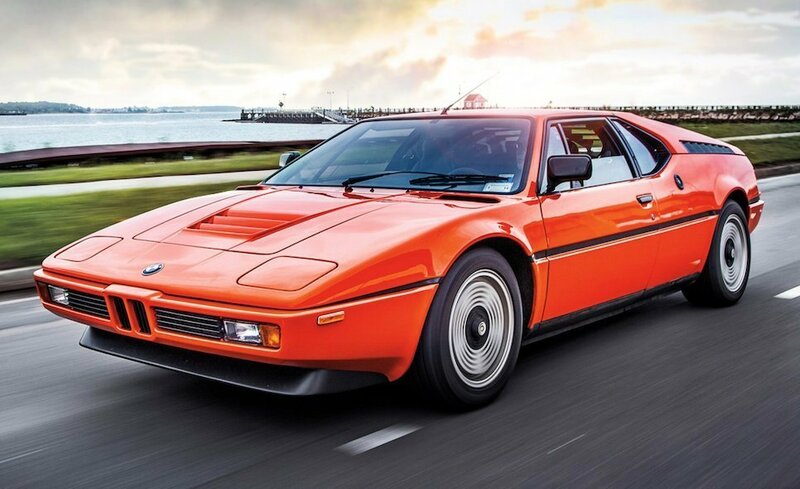 1/2J × 14 steel items, styled to the “turbina” design first seen on the alloy wheels of the Alfa Romeo Montreal “Turbina” refers to the wheel’s resemblance to a jet engine inlet. 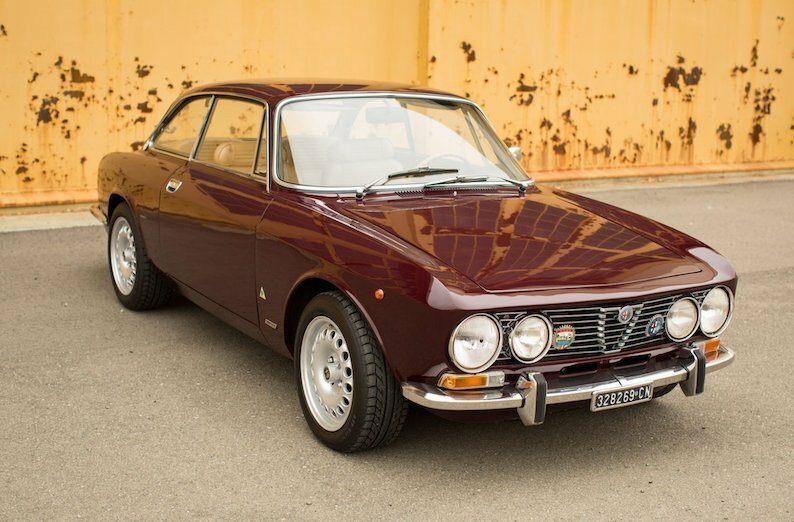 The last GTV model year was 1974 for the USA. 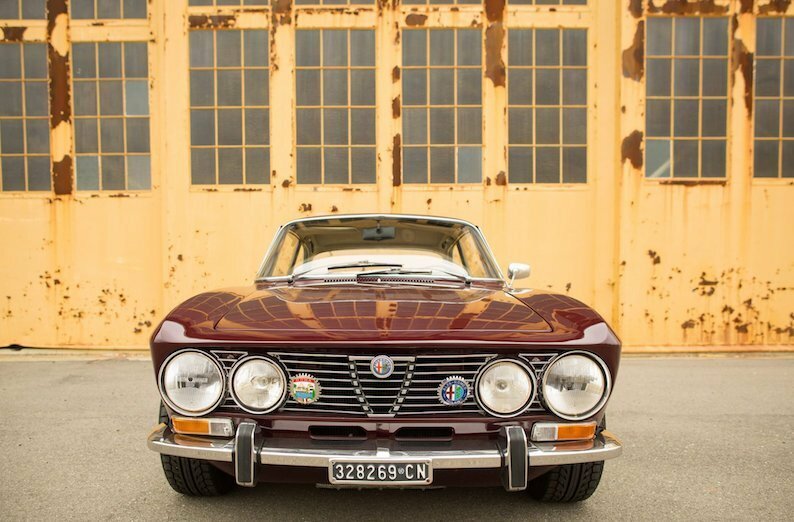 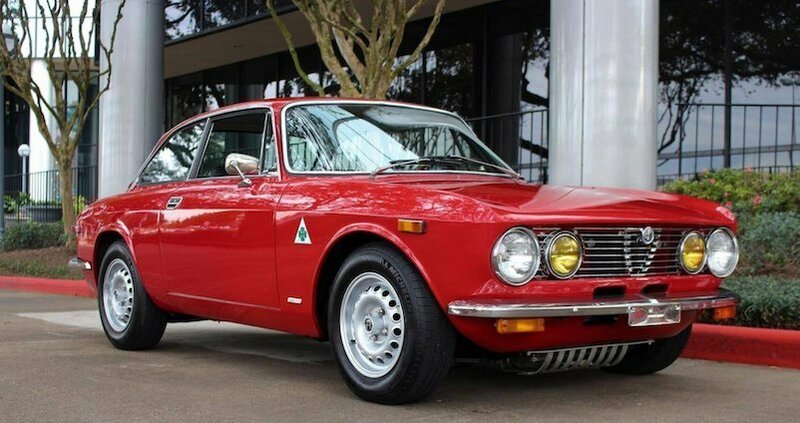 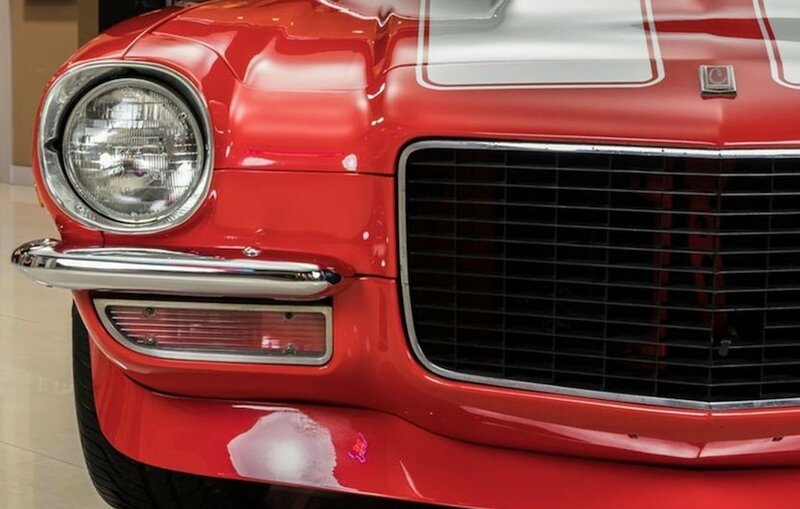 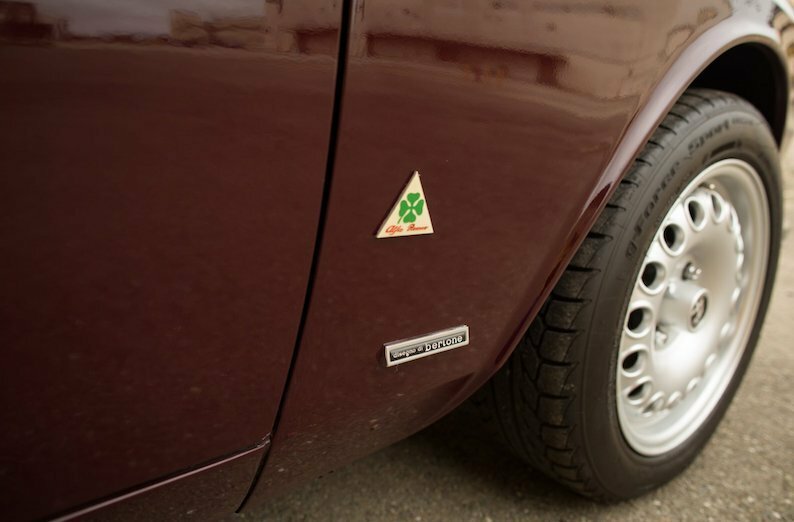 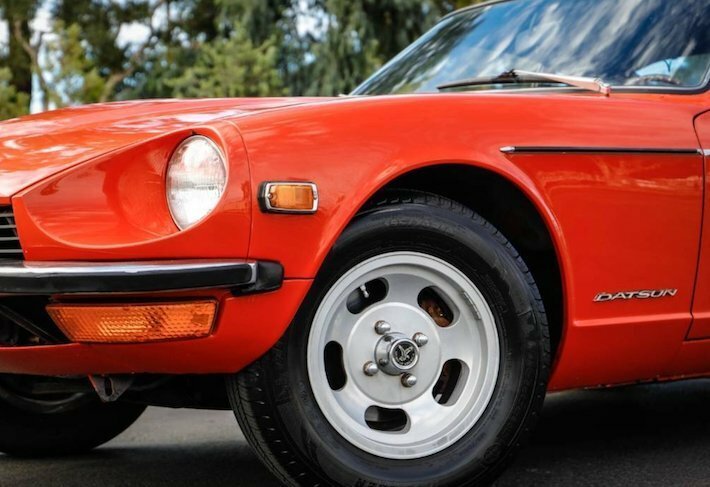 According to Marco Fazio of Alfa Romeo, the very last 1974 model year USA models were actually continued to be produced in early 1975 and are a very rare find. 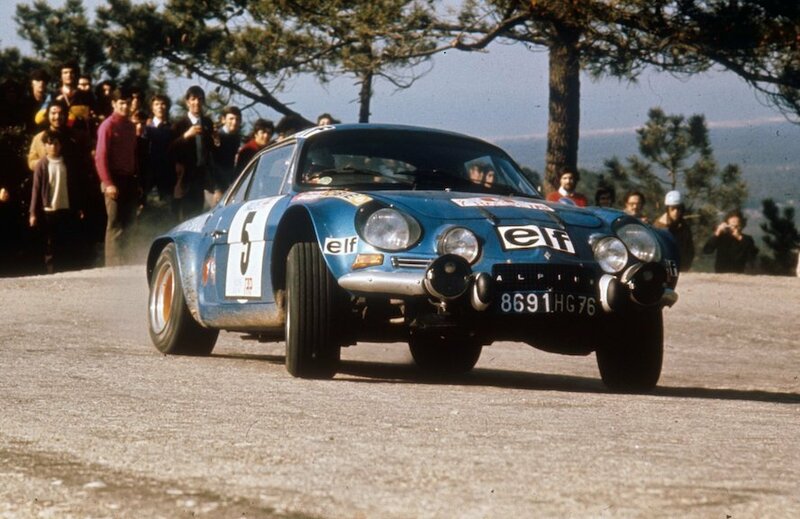 In 1971, the legendary Alpines finished first, second and fourth in the Monte Carlo Rally, using cars with engines derived from the Renault 16. 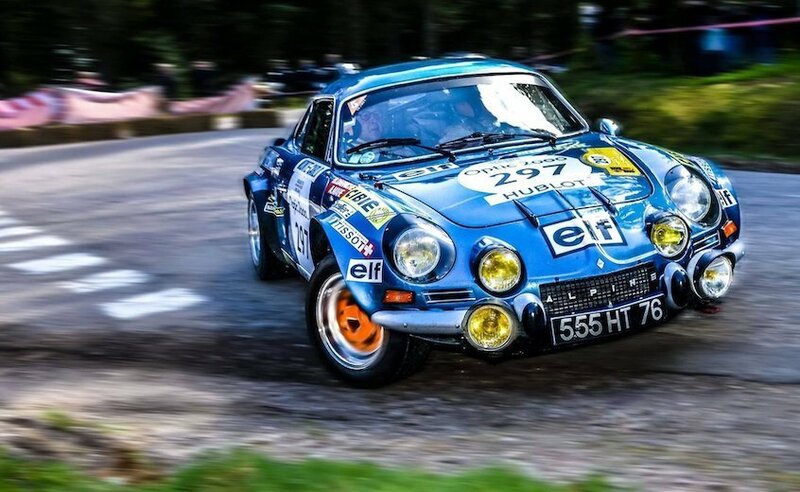 In 1973, the newer A110 1800 finished first, second, third, and fifth and went on to win the World Rally Championship outright, beating Porsche, Lancia, and Ford. 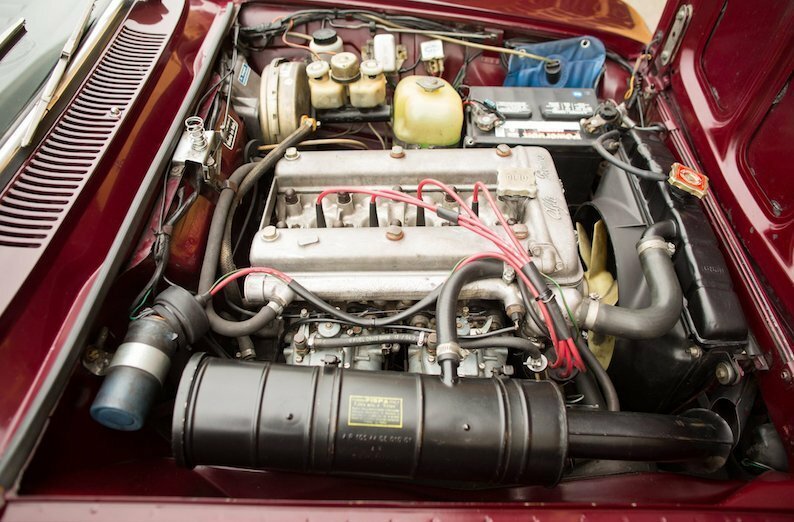 With two two-Venturi Weber 45 carburetors, the TS engine delivered 125 hp at 6,000 rpm. 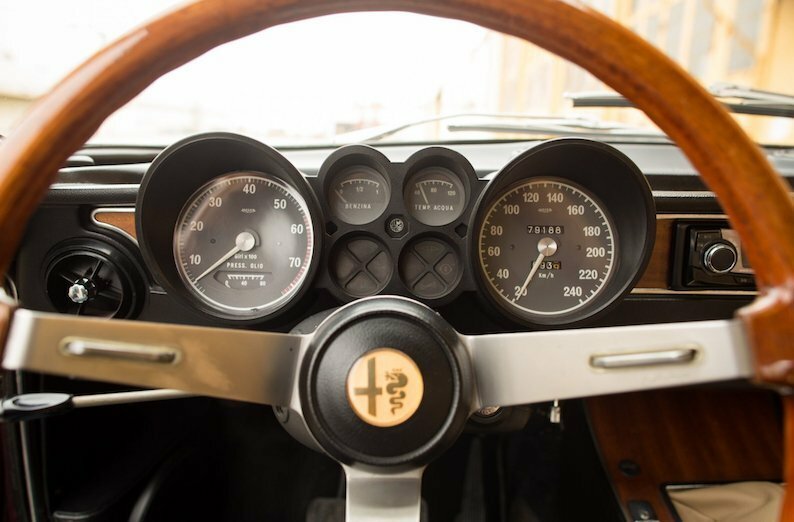 This allowed the production 1600S to reach a top speed of 210 km/h. 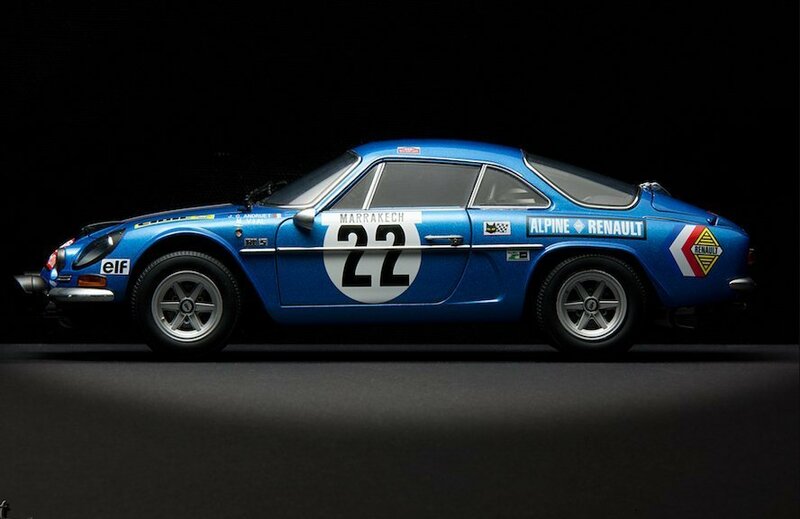 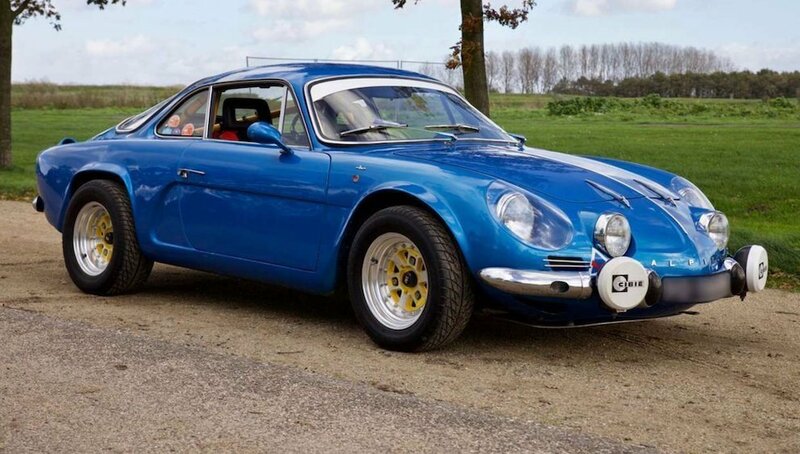 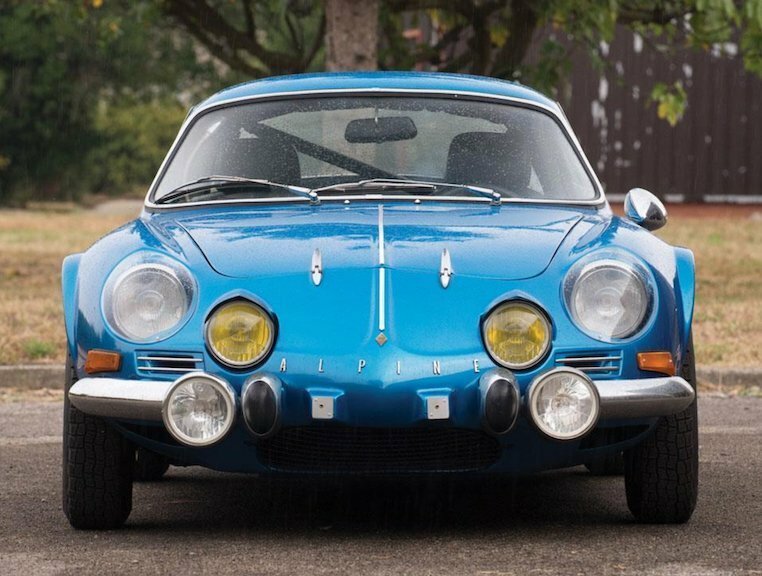 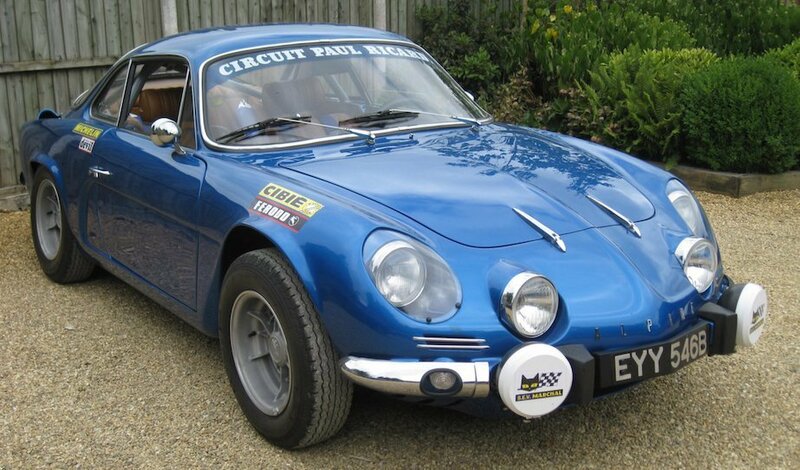 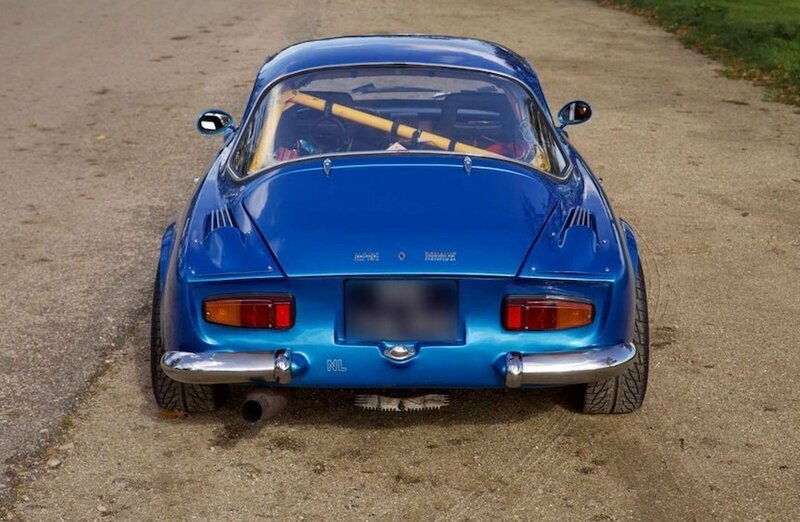 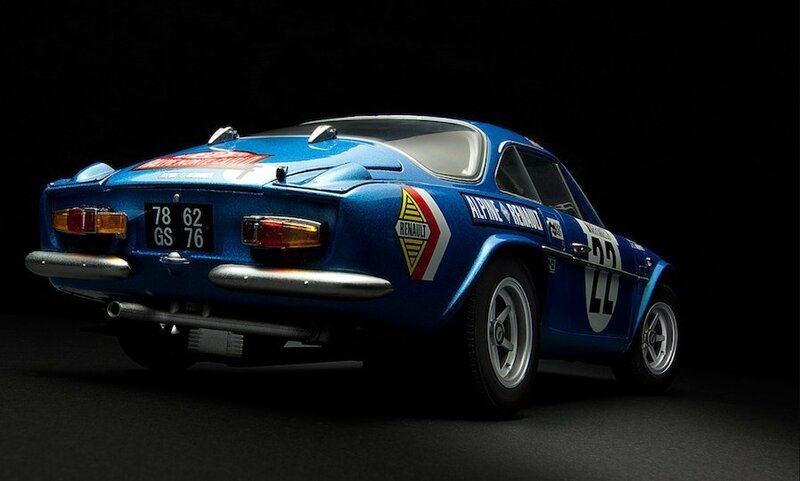 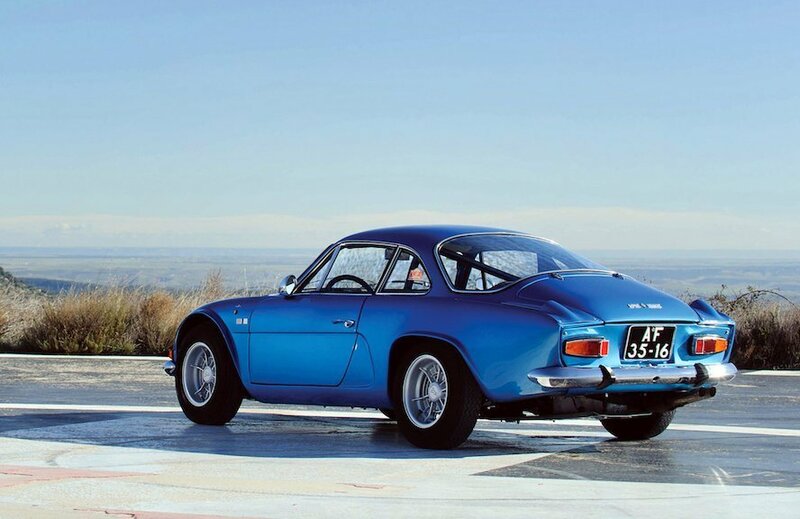 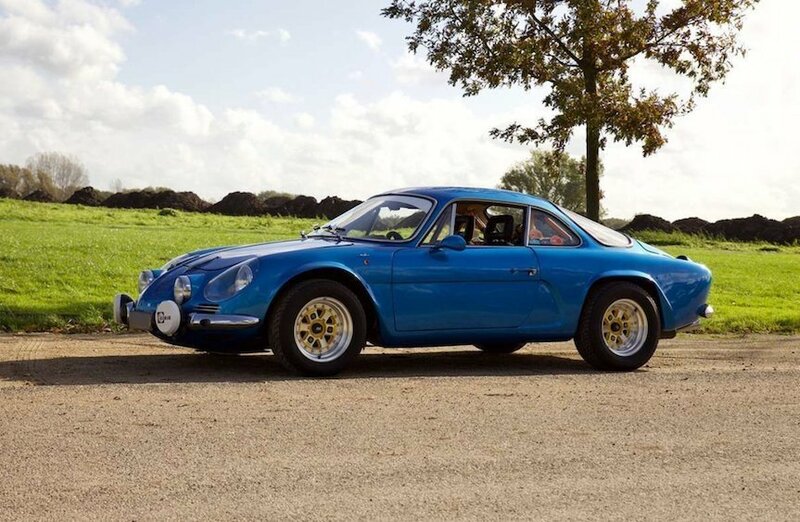 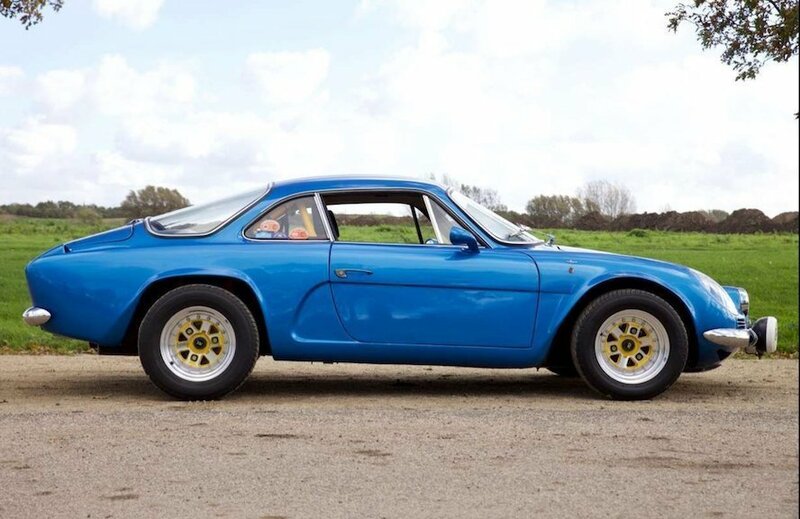 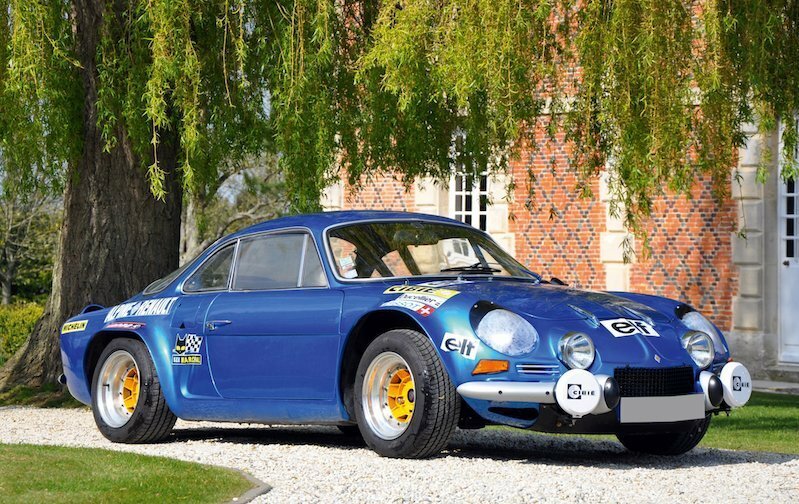 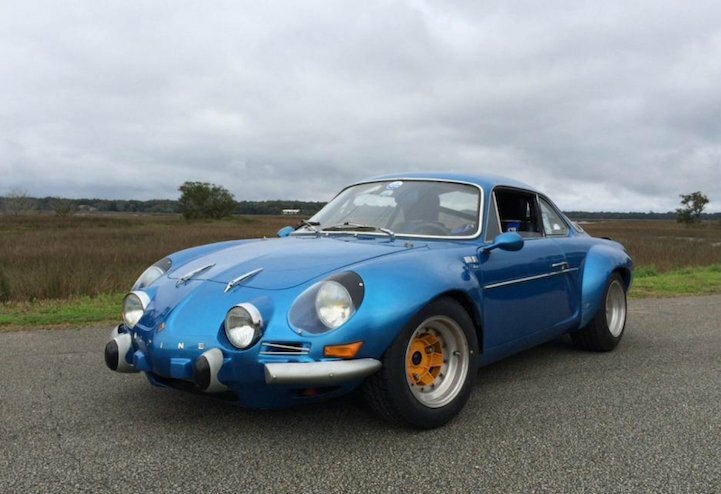 The long-wheelbase Alpine A108 2+2 Coupé ended its run and was replaced with a new, restyled 2+2 based on A110 engines and mechanicals called the A110 GT4. 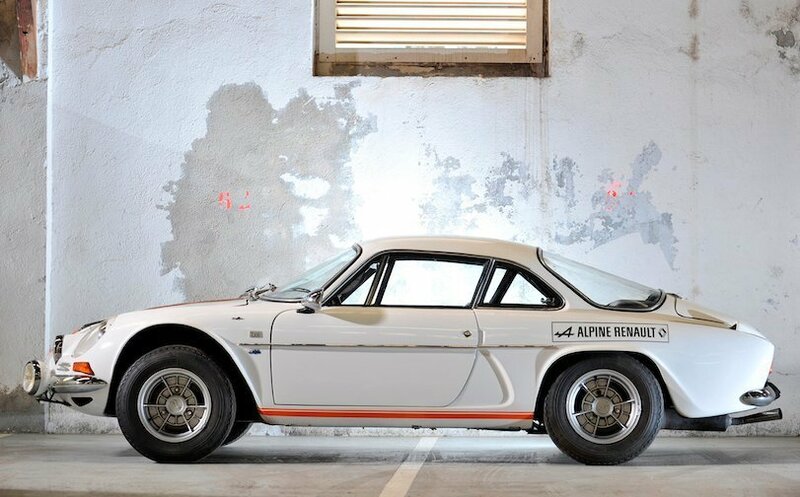 The secret of its success was an empty weight of less than 800 kg and the mid-engine position which gave an incredible handling balance. 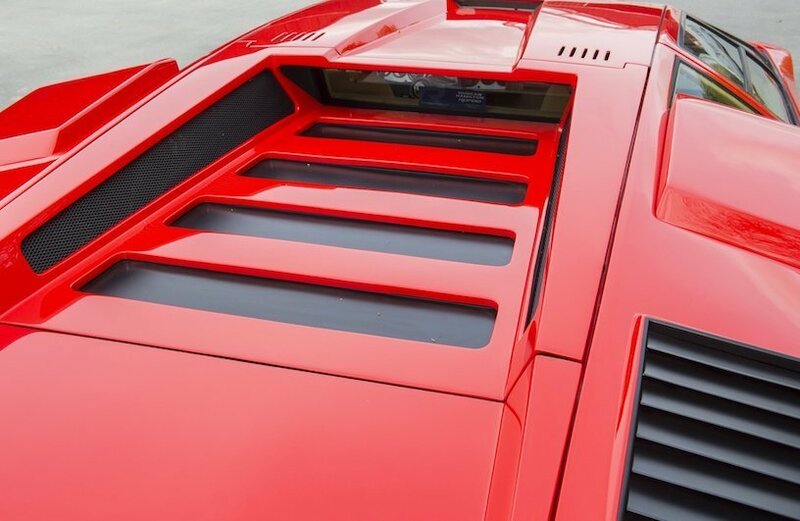 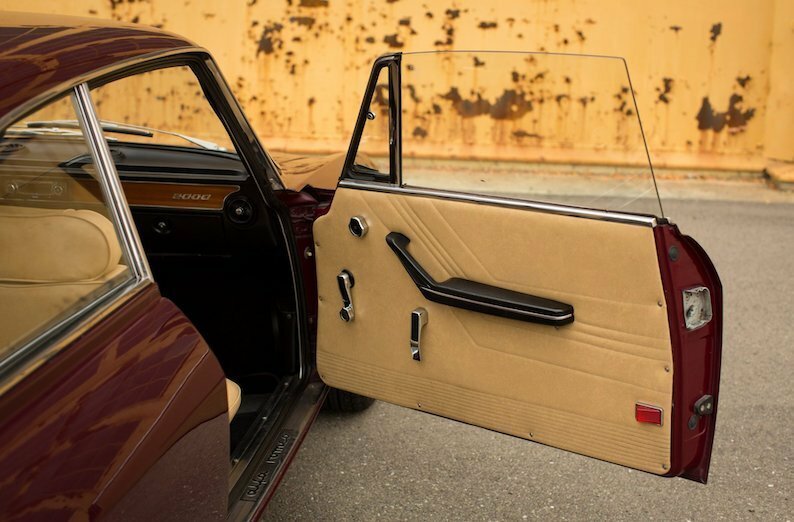 The chassis was made of steel, while the panels were in fiberglass. 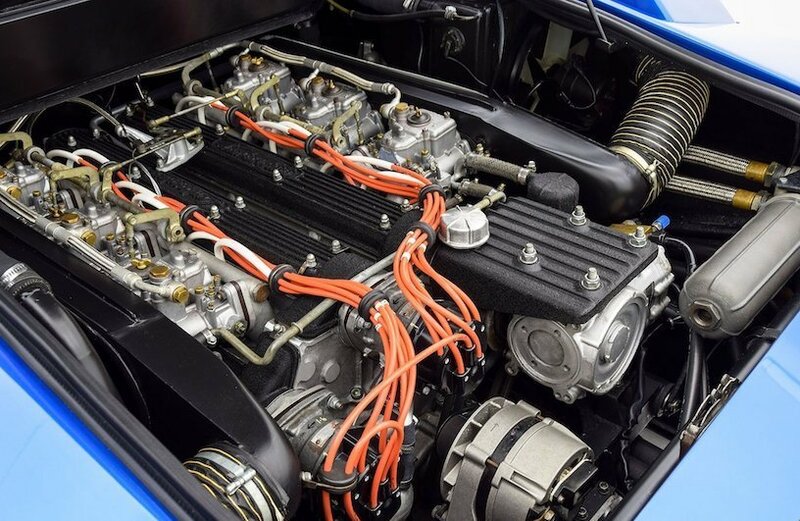 The last version of the engine was a 1.6 lt engine capable of “only” 138 bhp but the power to weight ratio was one of the best of that era. 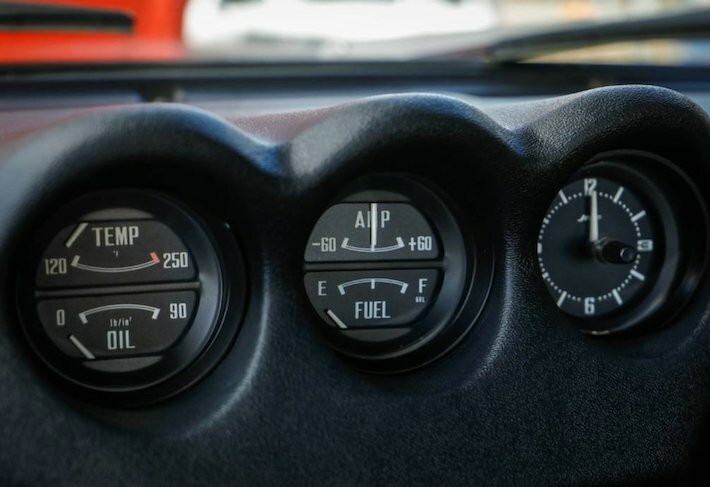 With 1973 came the international petrol crisis, which had profound effects on many specialist car manufacturers worldwide. 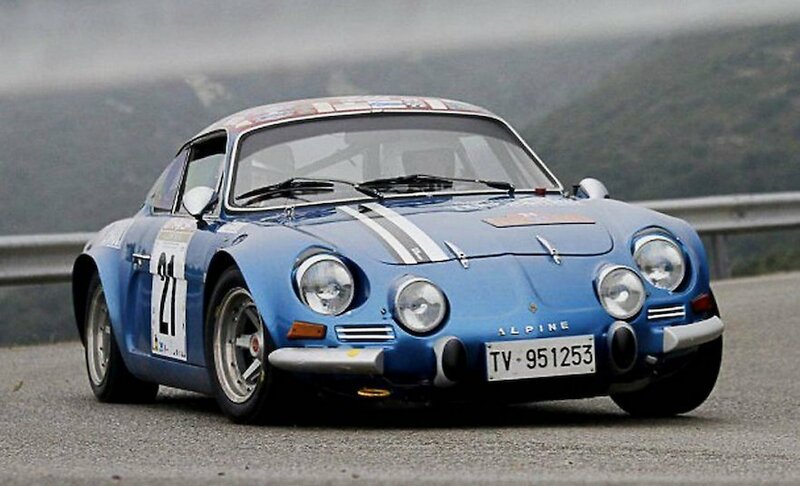 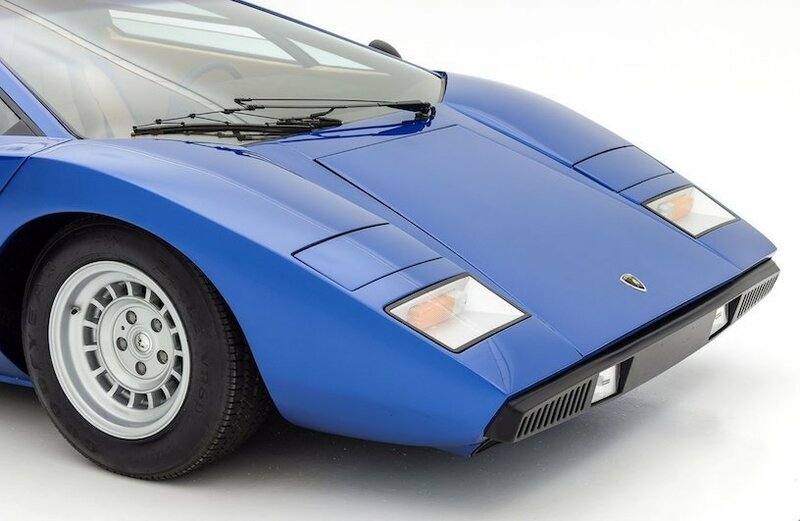 From a total Alpine production of 1421 in 1972, the numbers of cars sold dropped to 957 in 1974 and the company was bailed out via a takeover by Renault. 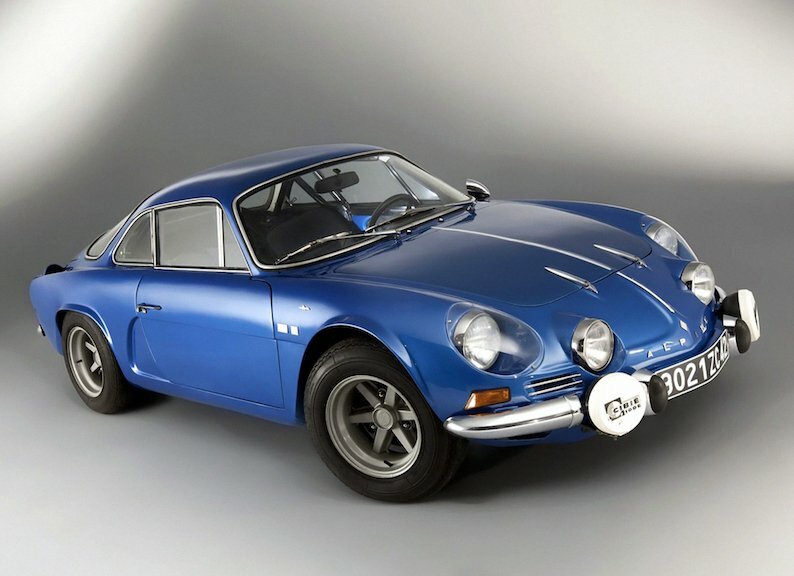 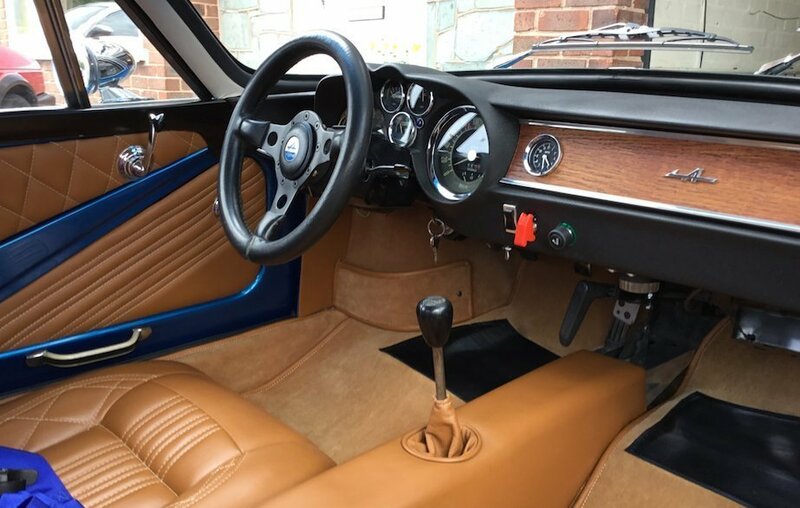 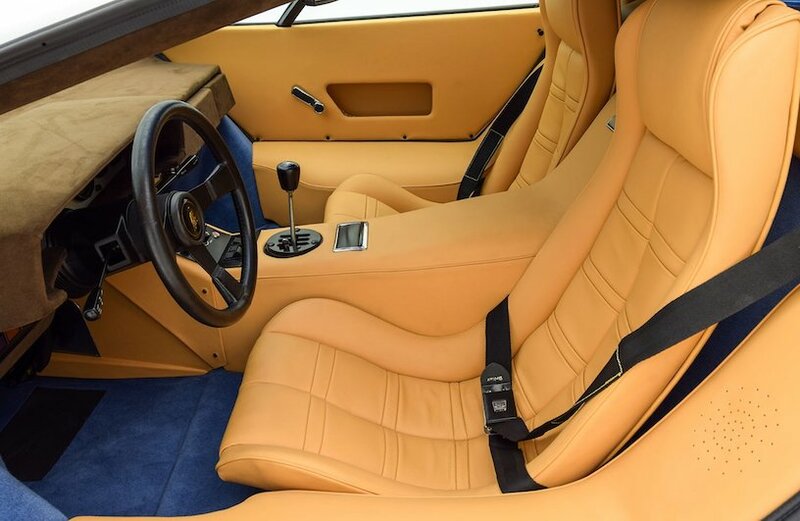 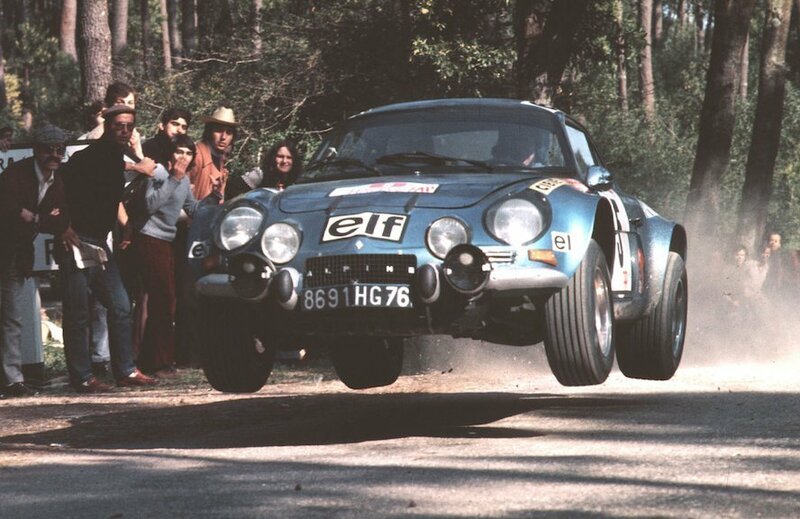 Alpine’s problems had been compounded by the need for them to develop a replacement for the A110 and launch the car just when European petrol prices leaped through the roof. 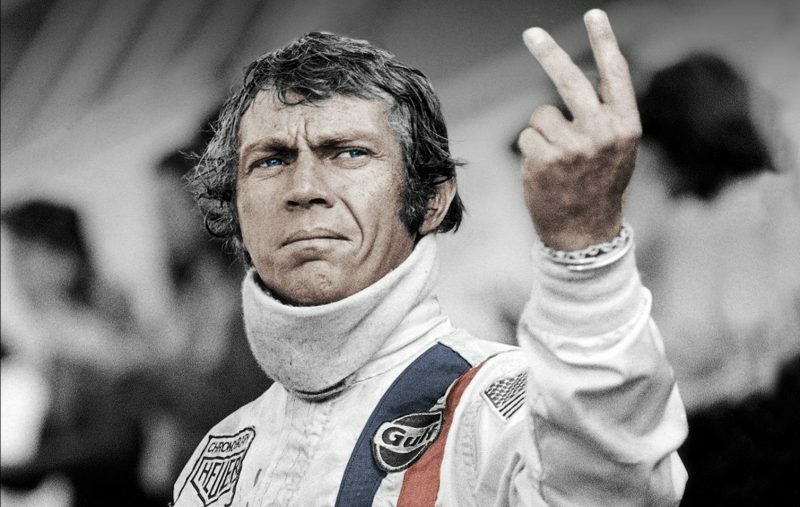 The legend remains. 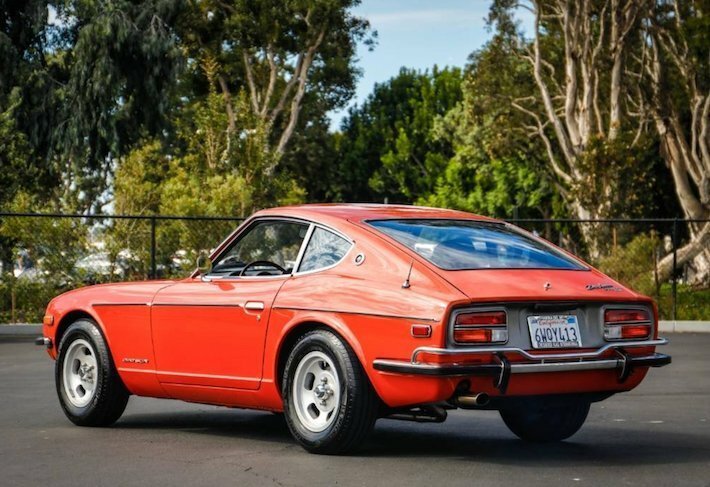 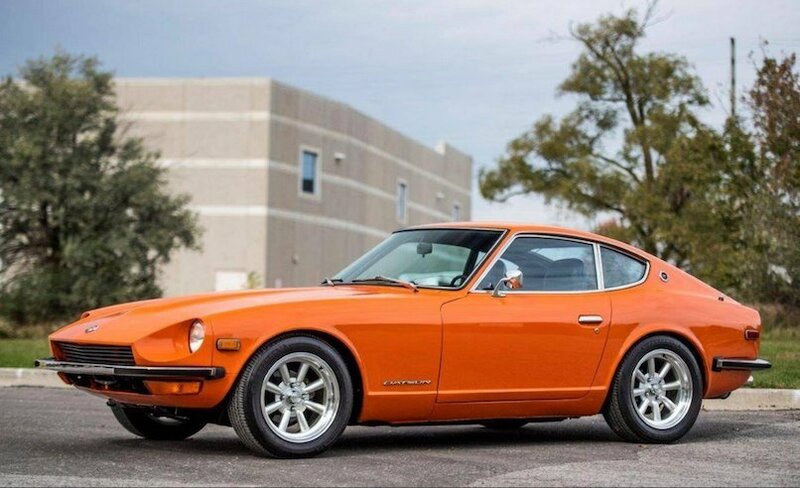 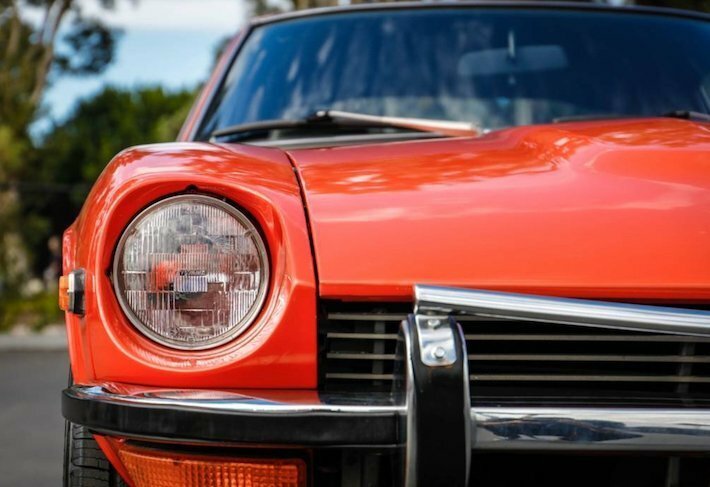 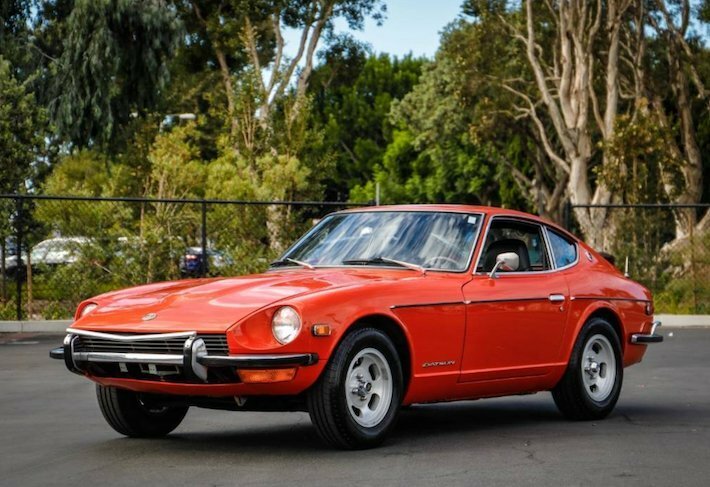 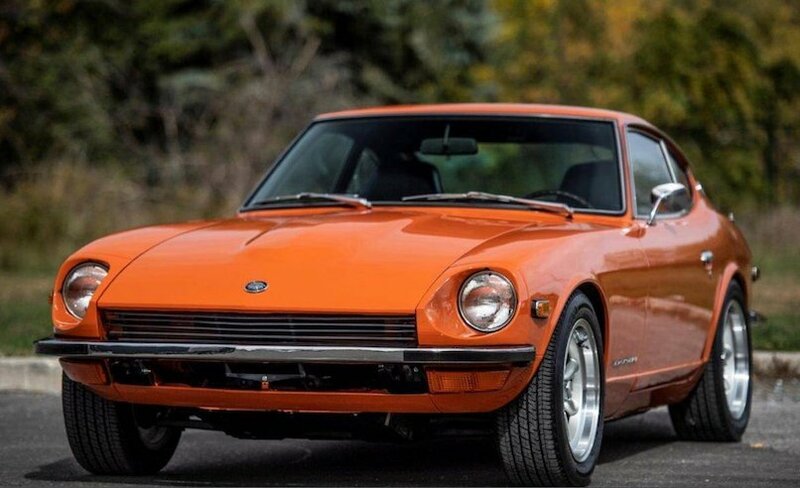 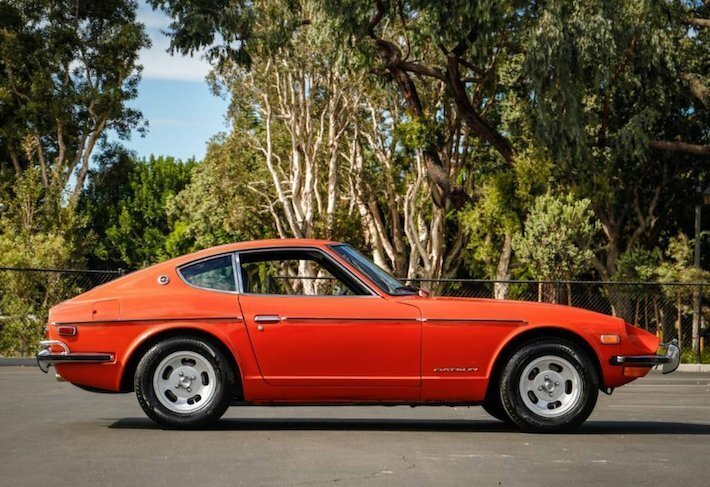 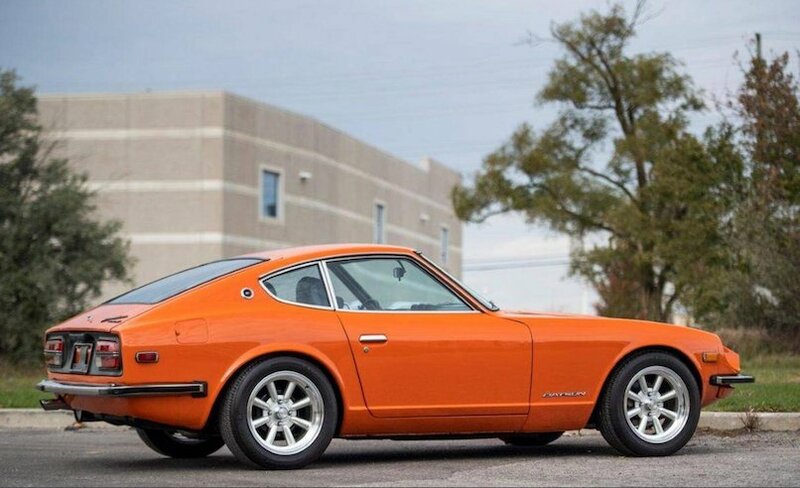 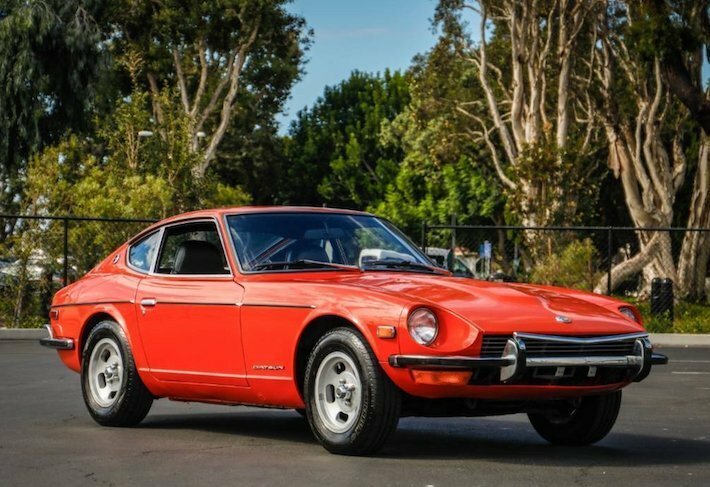 The Nissan S30 (sold in Japan as the Nissan Fairlady Z and in other markets as the Datsun 240Z, then later as the 260Z and 280Z) was the first generation of the ZGT two-seat coupes, produced by Nissan Motors, Ltd. of Japan from 1969 to 1978. 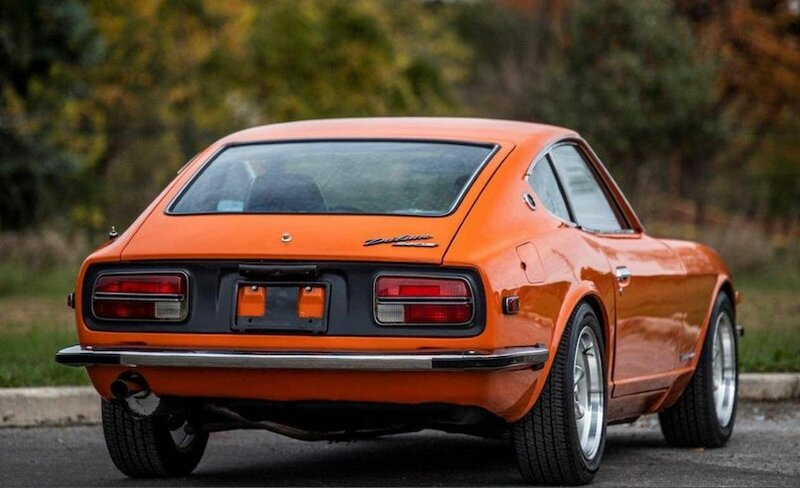 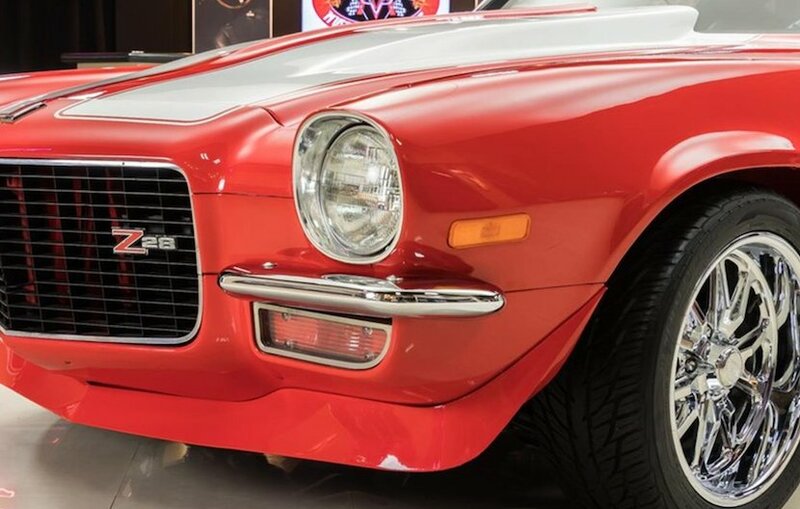 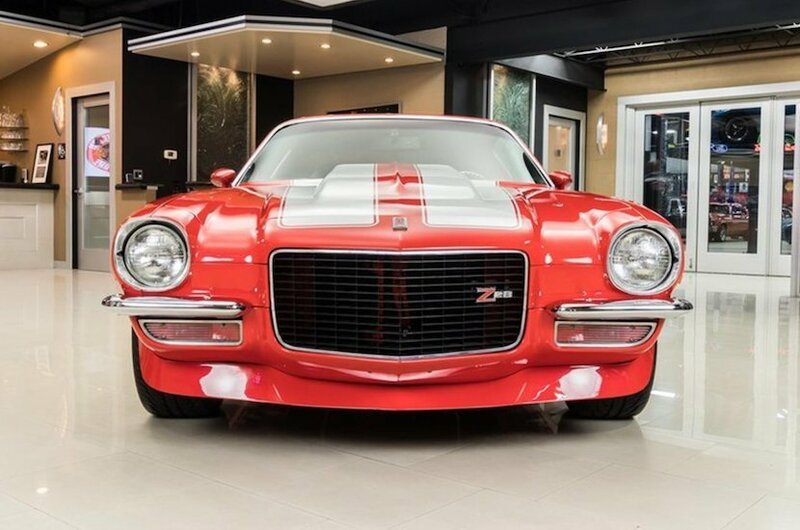 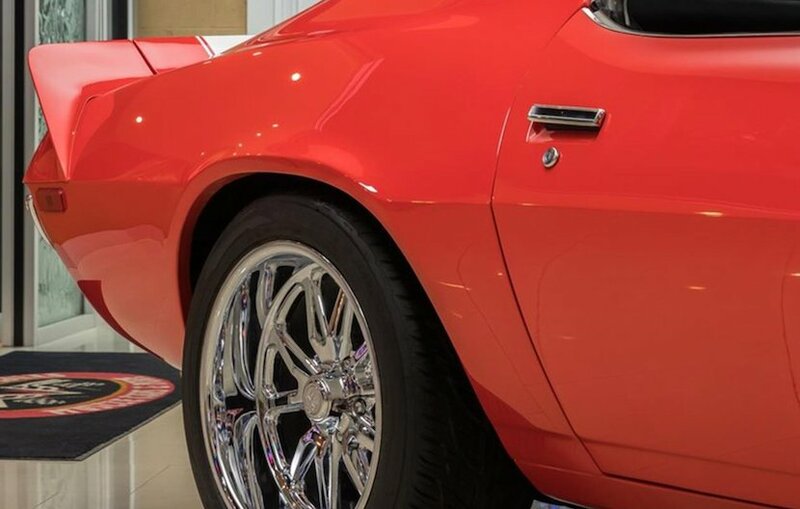 One of the most successful sports car lines ever produced, the trend-setting S30 was designed by a team led by Yoshihiko Matsuo, the head of Nissan’s Sports Car Styling Studio. 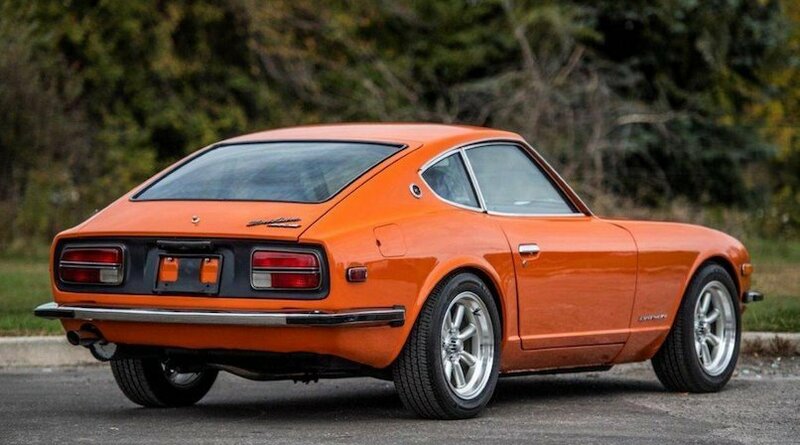 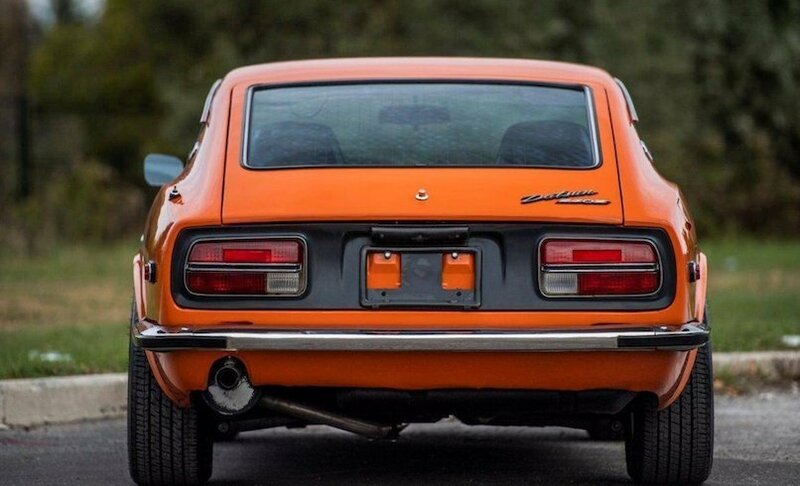 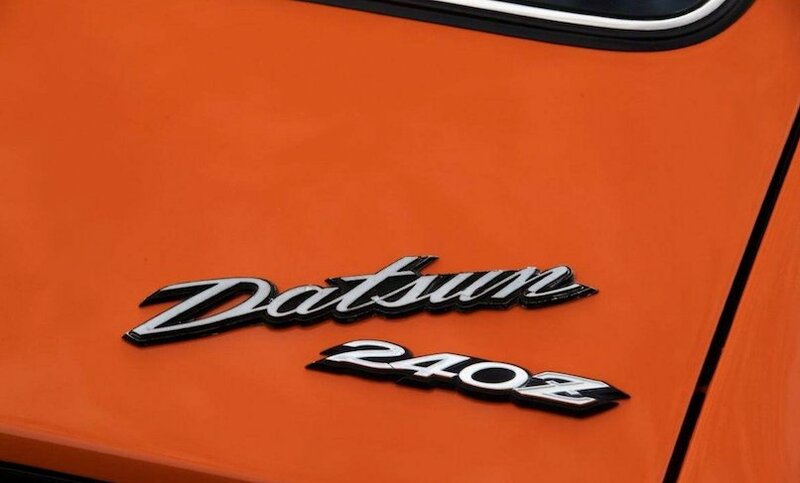 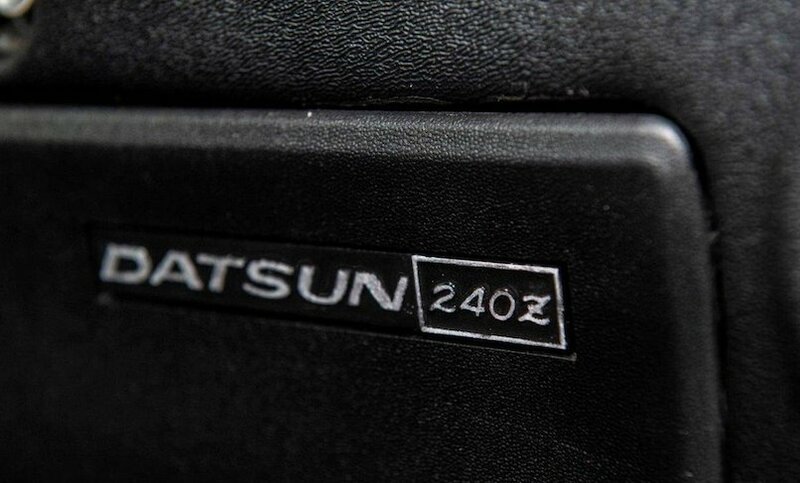 The 240Z used twin SU-style Hitachi one-barrel side-draft carburetors. 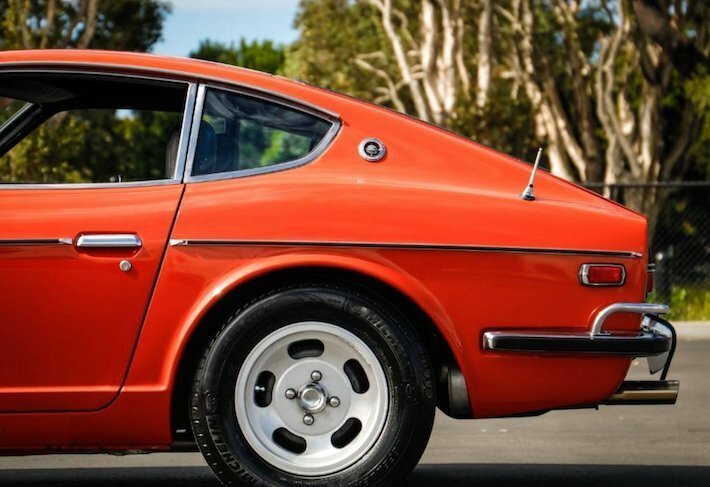 These were replaced on the 260Z with Hitachi one-barrel side-draft carburetors beginning with the model year 1973 to comply with emissions regulations, resulting in diminished overall performance. 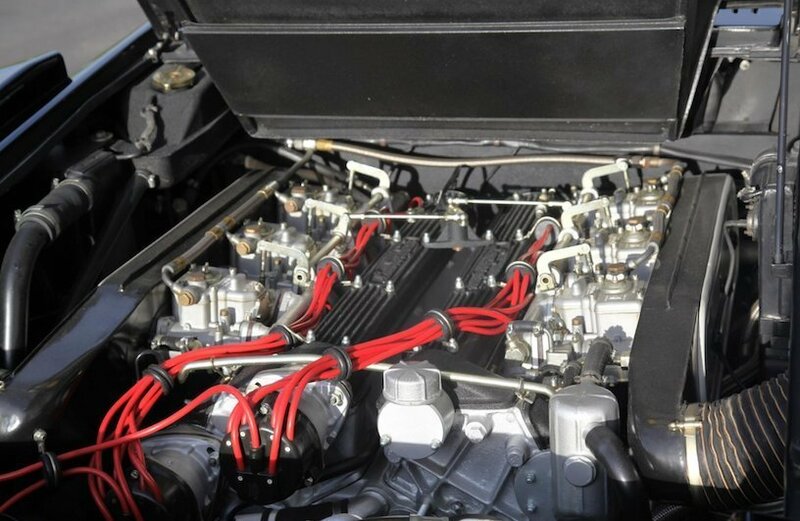 A Bosch designed L-Jetronic electronic fuel injection was added to US market 280Zs in 1975 to compensate. 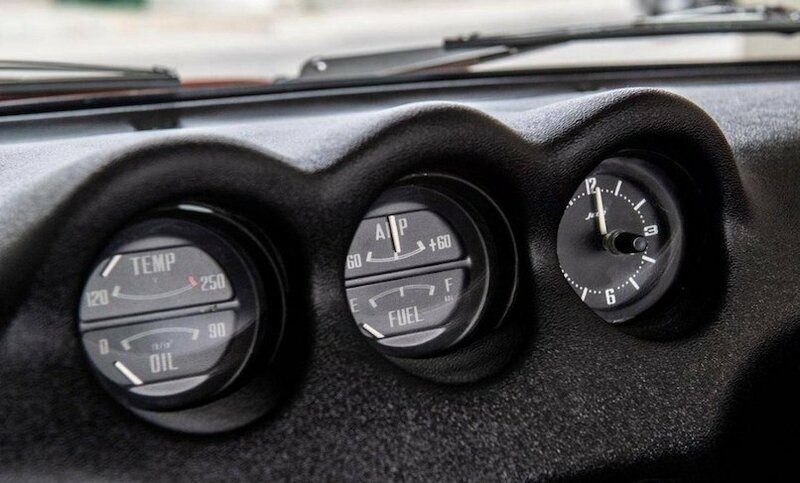 The 1970 models were introduced in October 1969, received the 2.4-liter engine (150 bhp) with a manual choke and a four-speed manual. 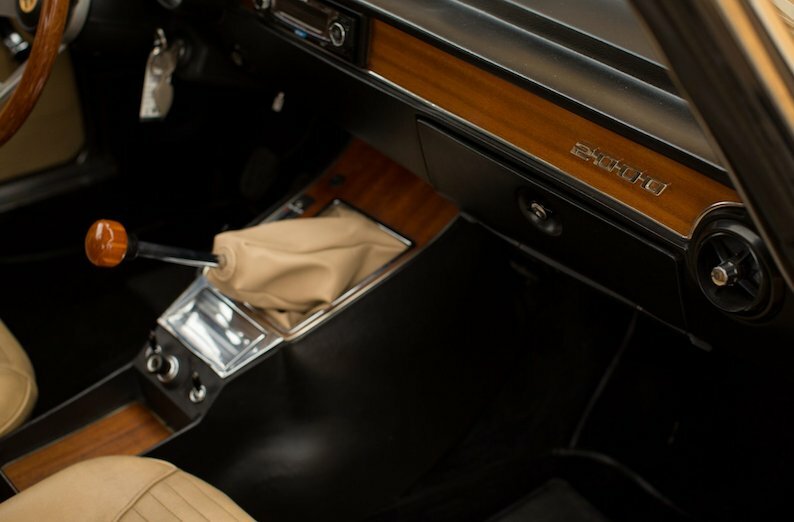 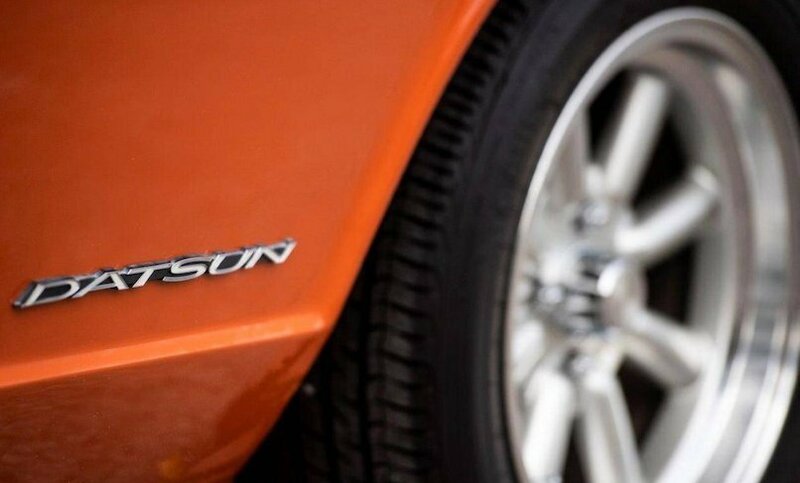 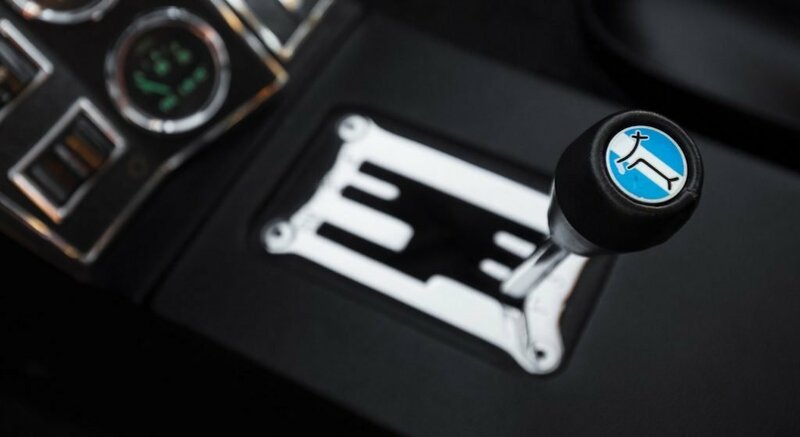 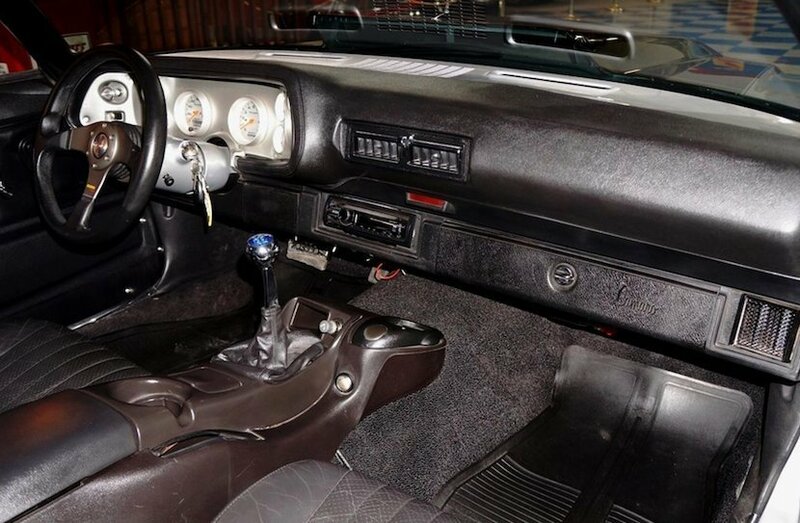 A less common three-speed Automatic Transmission was optional from 1971 on and had a “Nissan full automatic” badge. 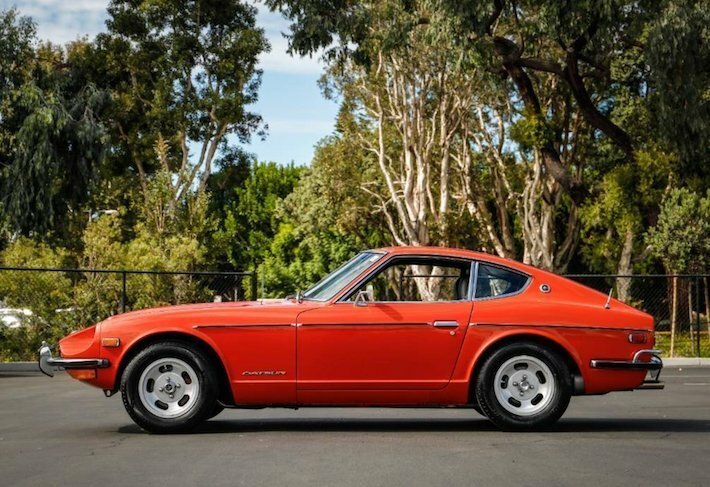 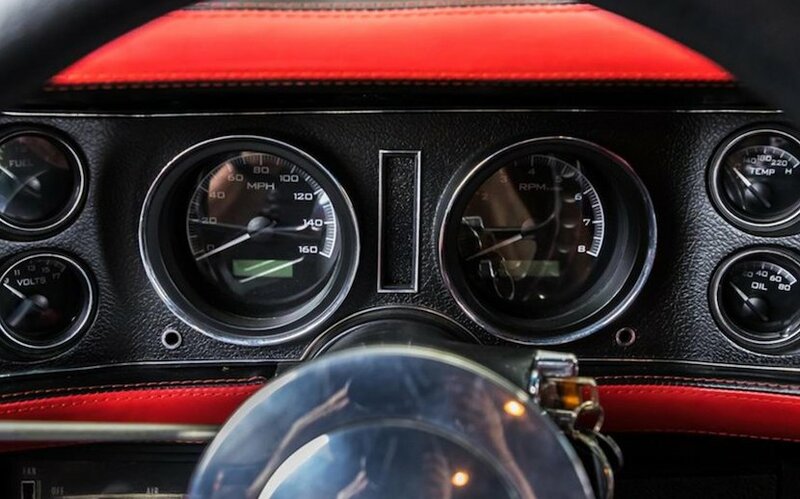 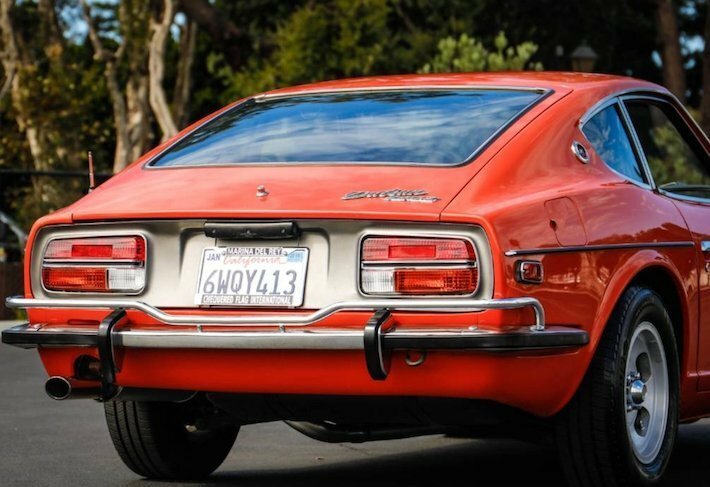 in 1976 only, the 260Z claimed a few updates and improvements over the 240Z. 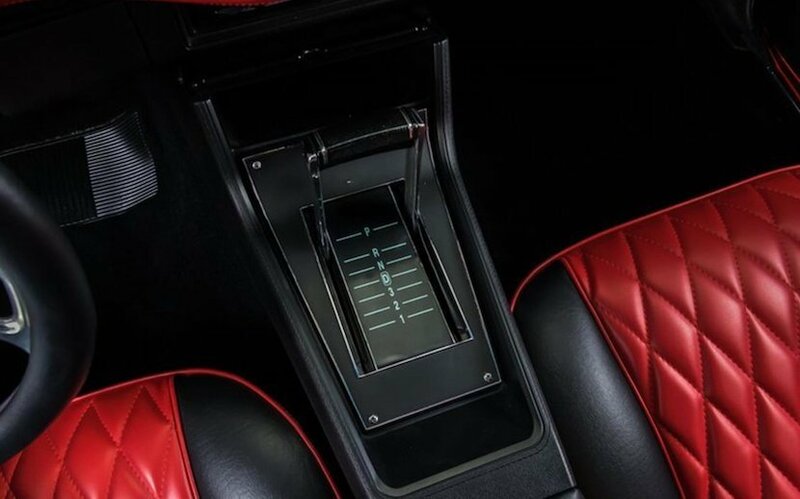 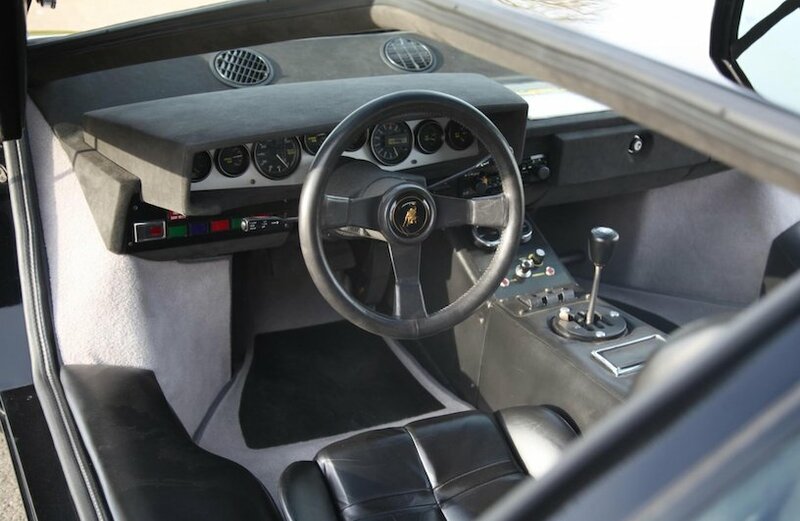 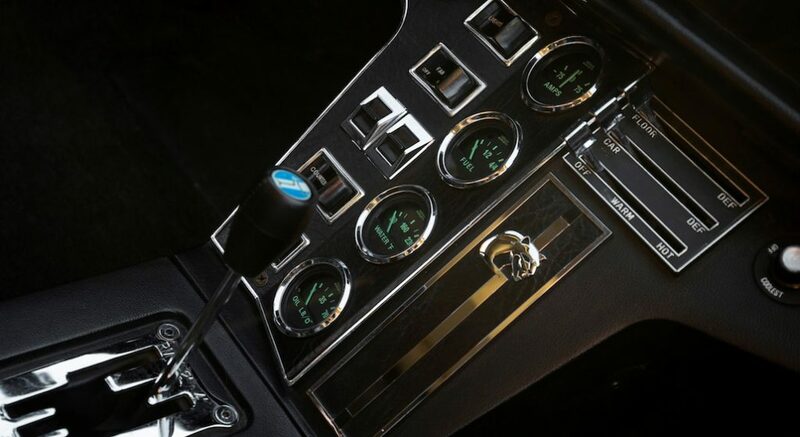 The climate controls were more sensibly laid out and easier to work, and those cars with air conditioning now had the A/C system integrated into the main climate control panel. 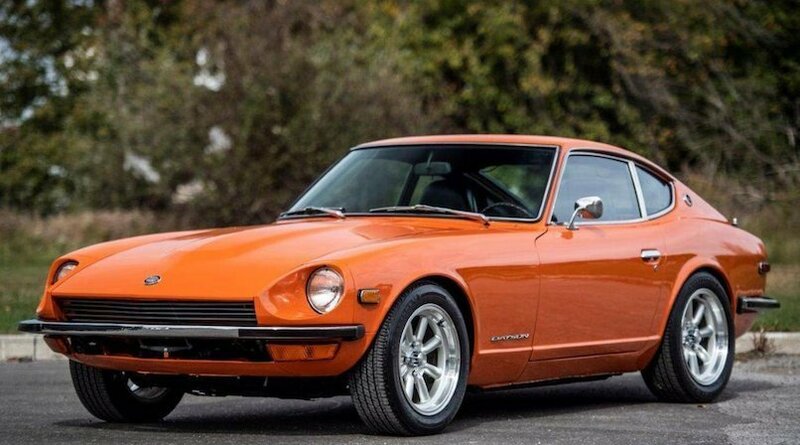 Surely the beginning of the Japanese sports cars legacy.